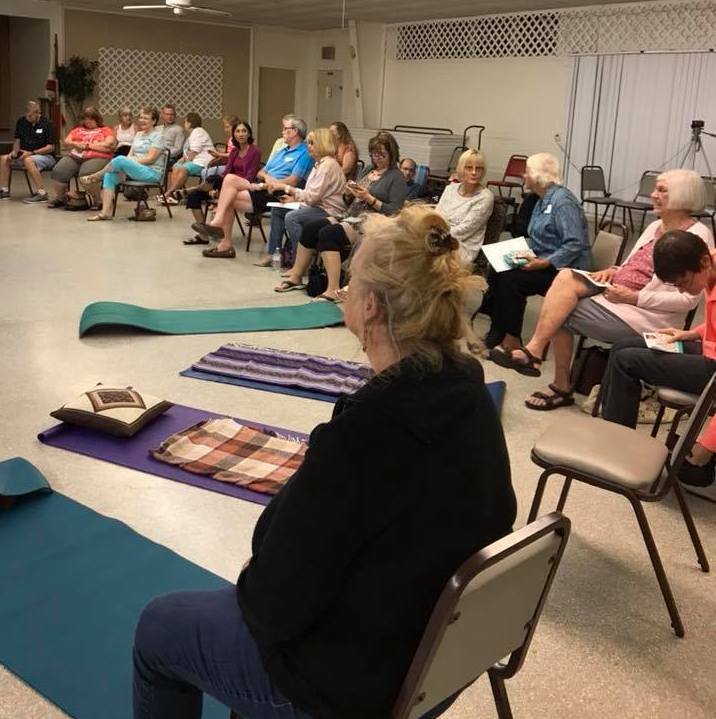 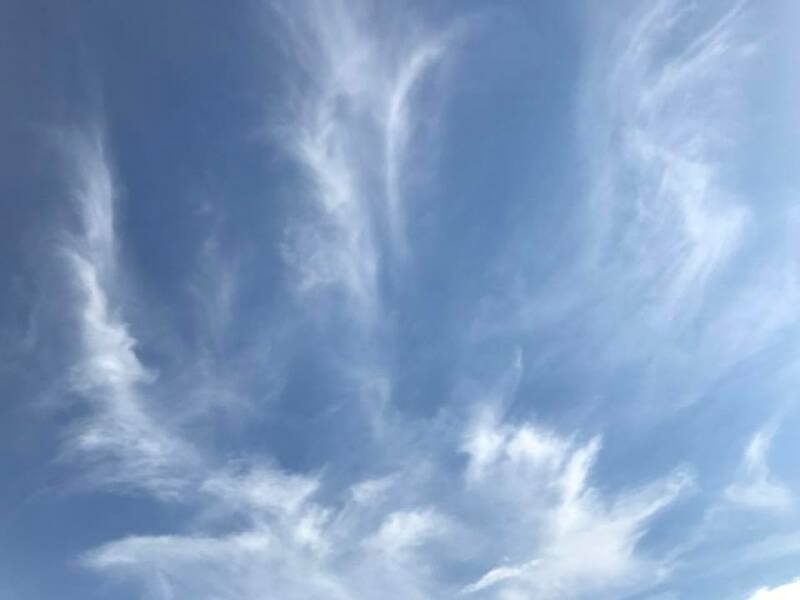 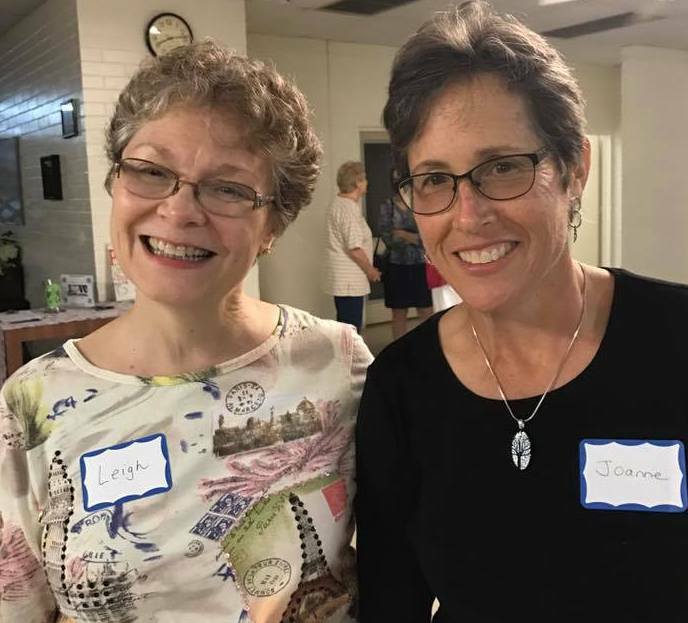 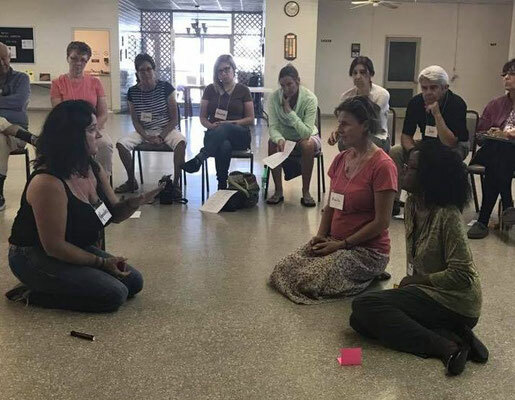 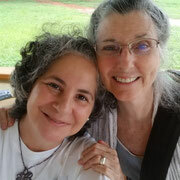 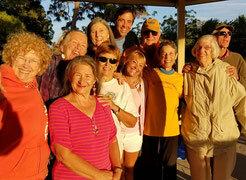 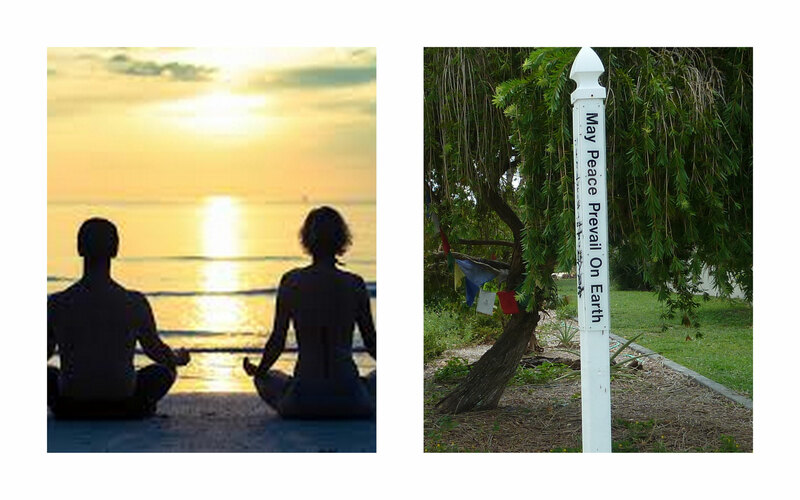 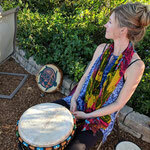 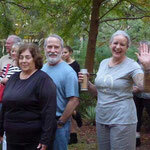 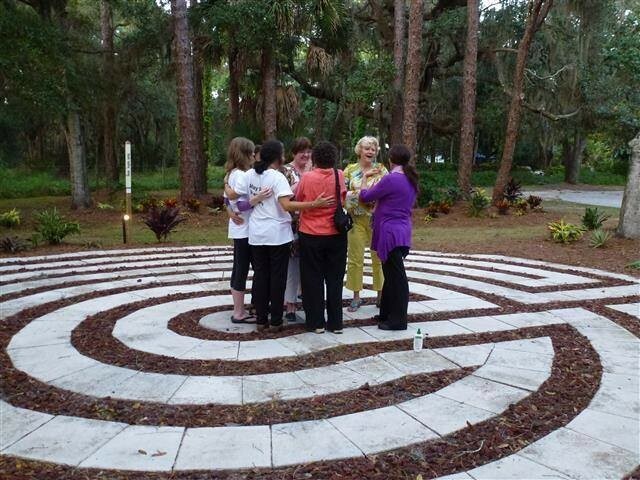 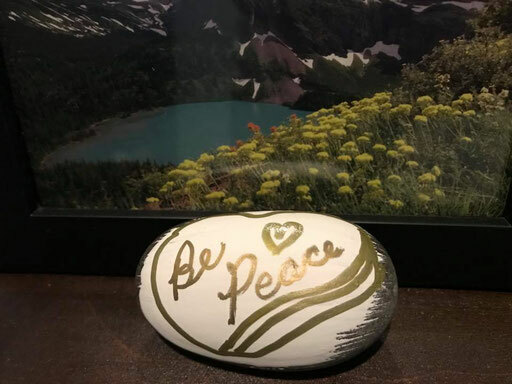 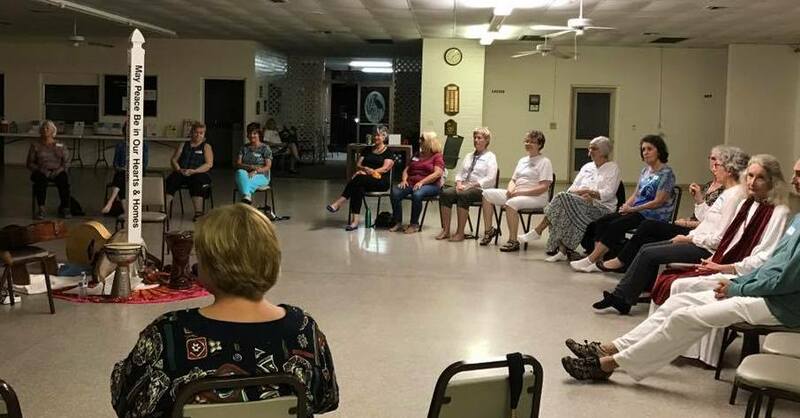 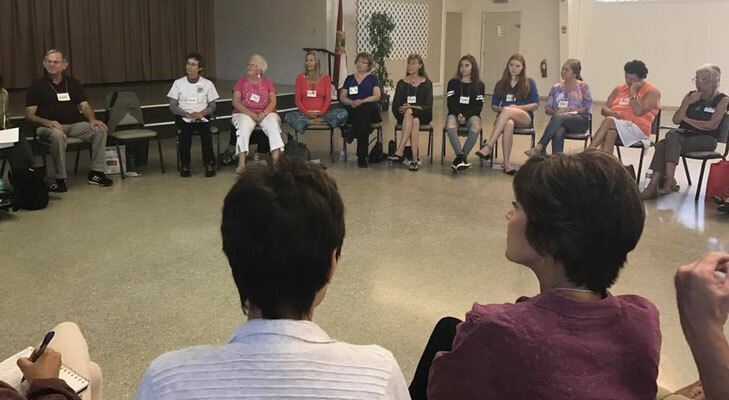 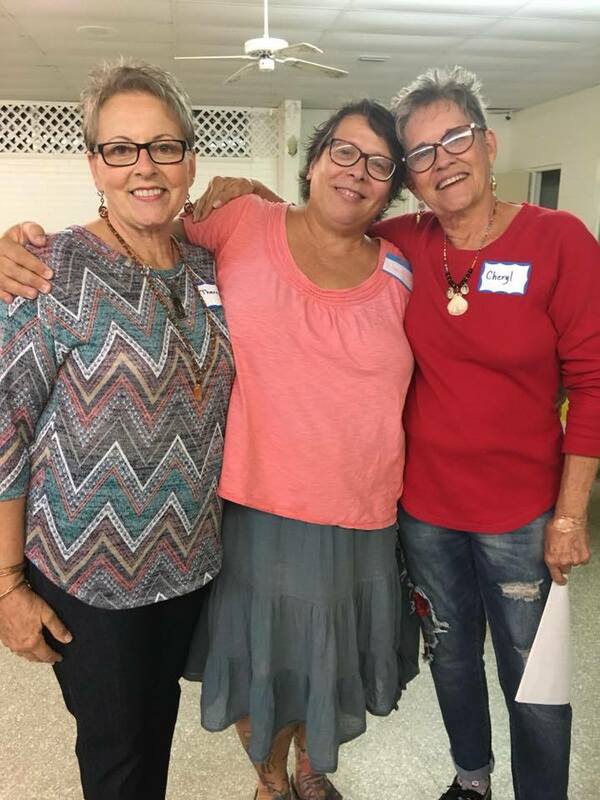 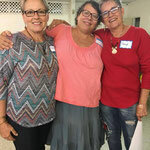 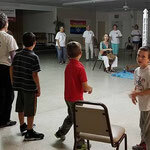 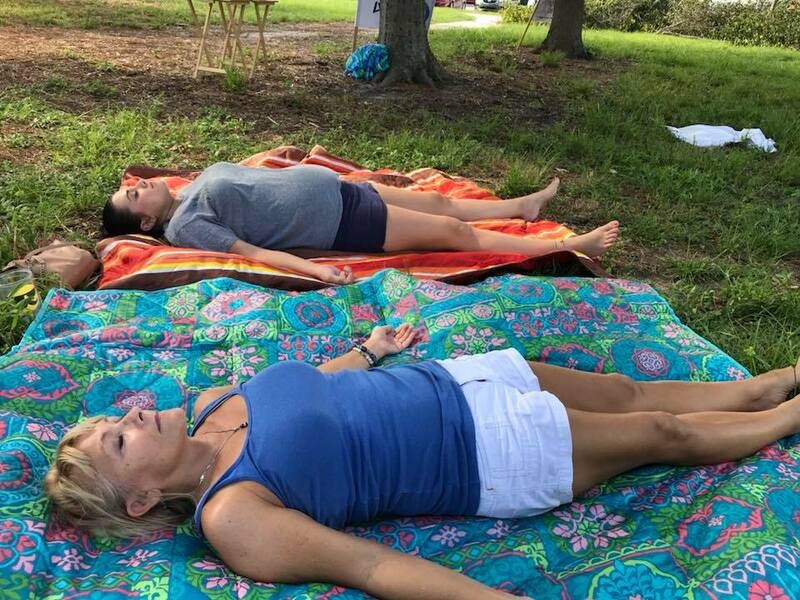 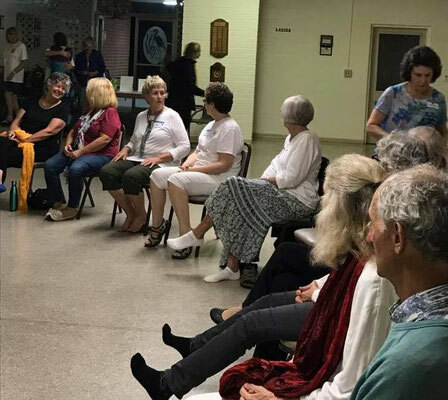 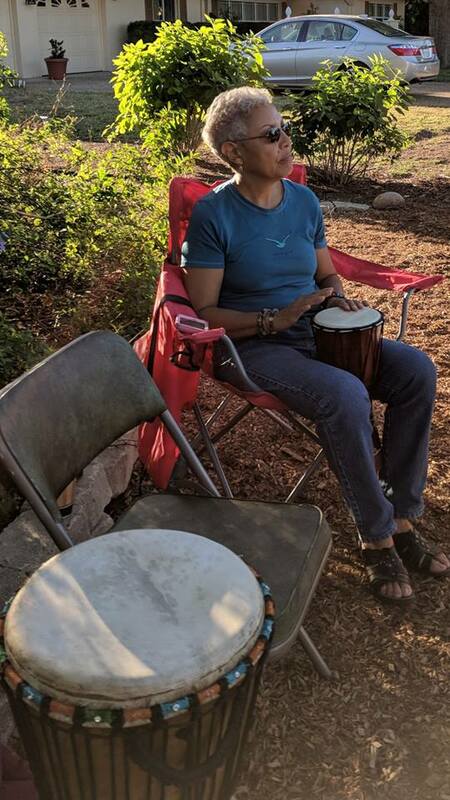 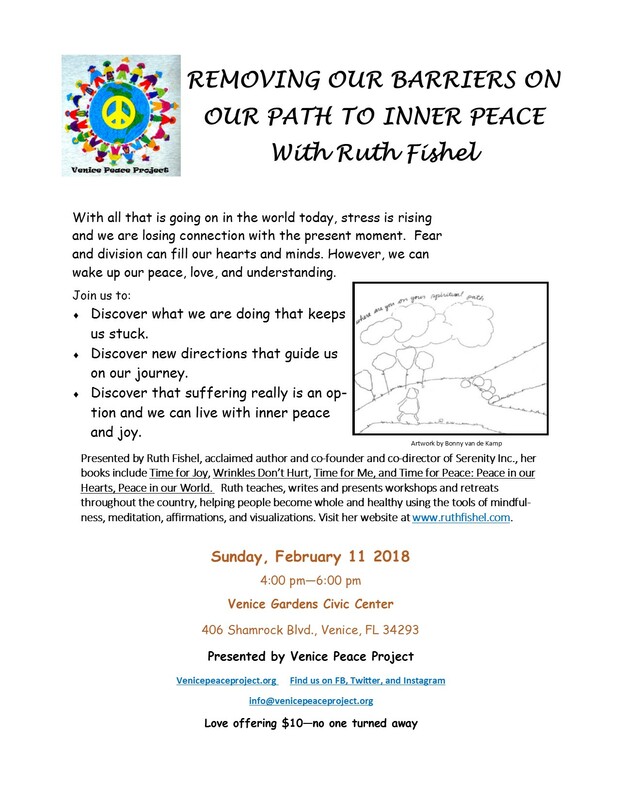 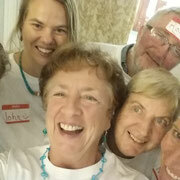 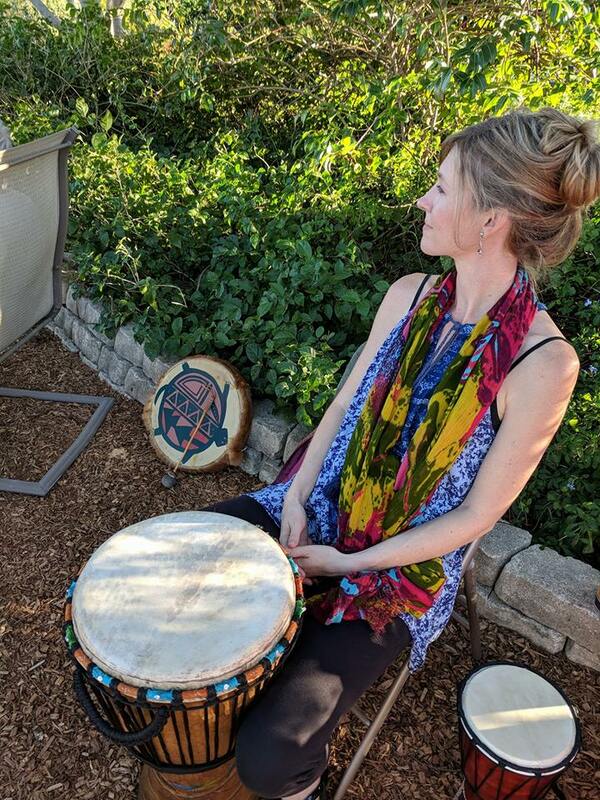 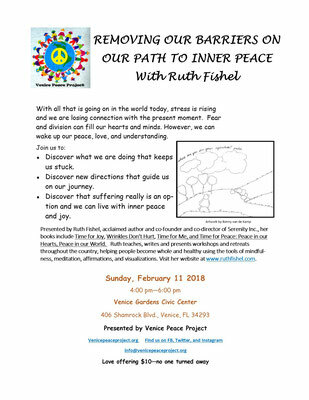 Evening of Peace and Potluck - Experiencing and nurturing inner peace- 1.27.19 - in home gathering. 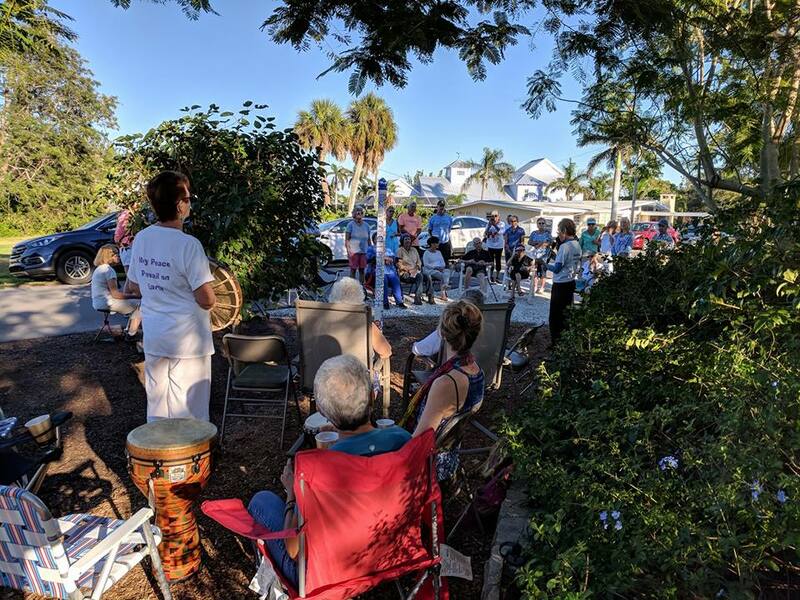 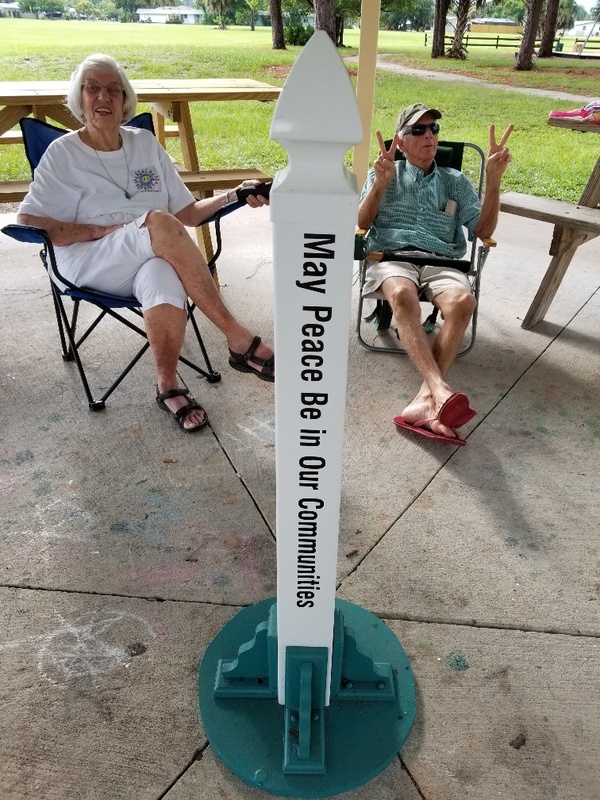 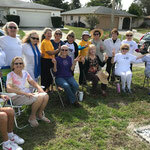 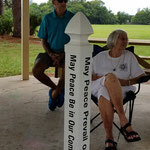 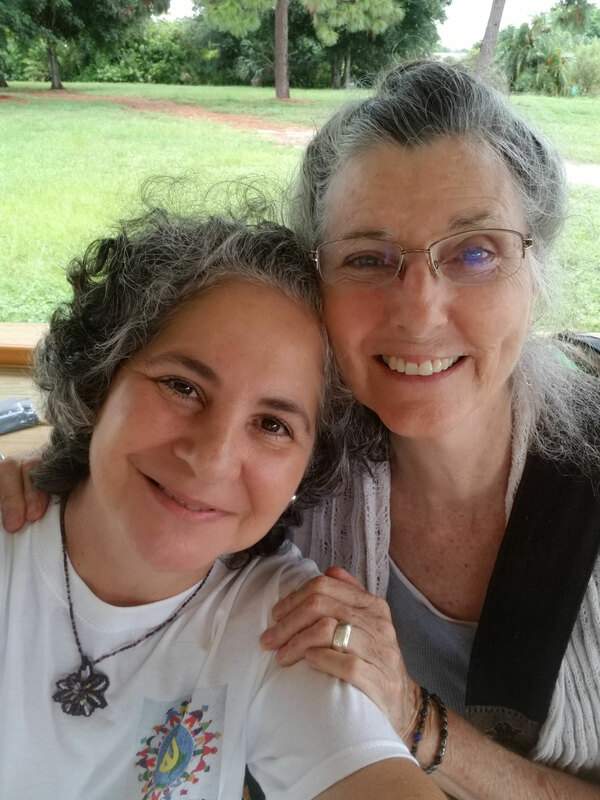 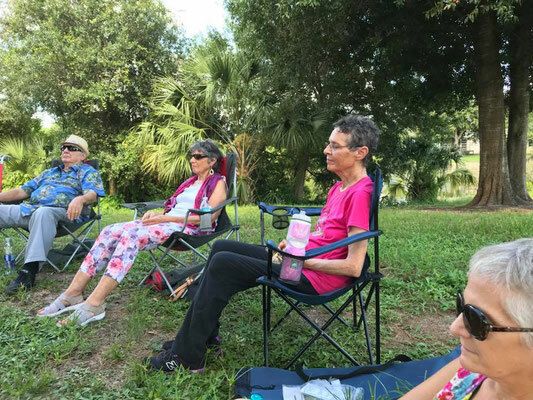 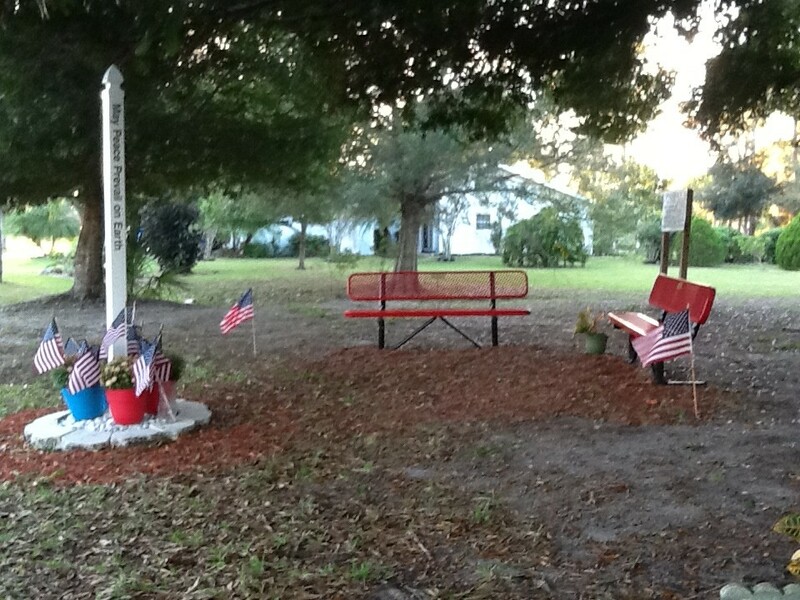 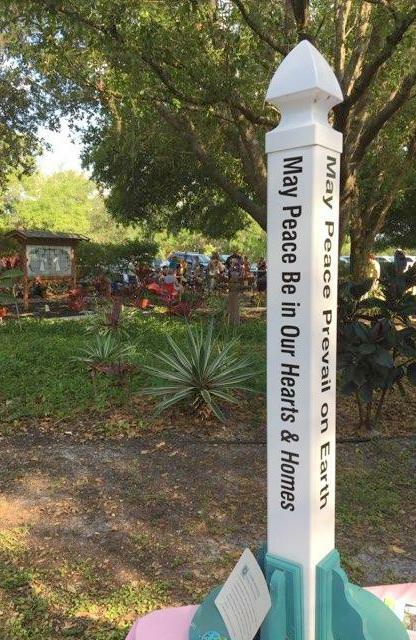 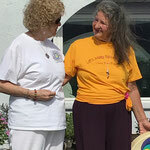 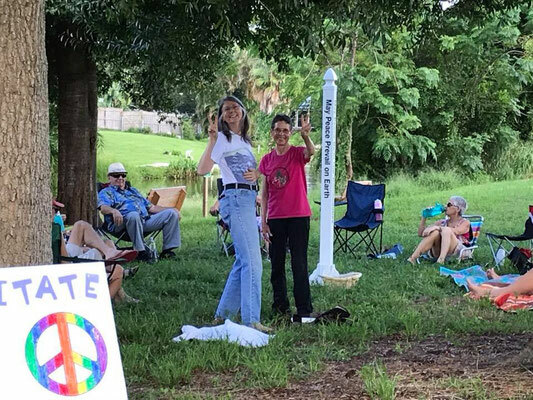 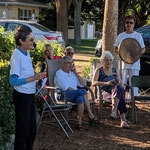 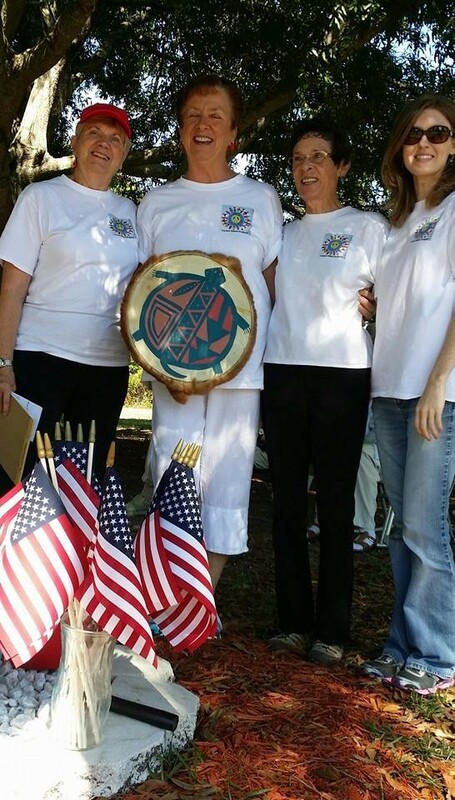 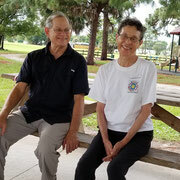 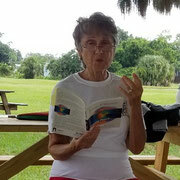 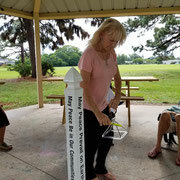 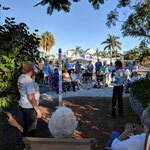 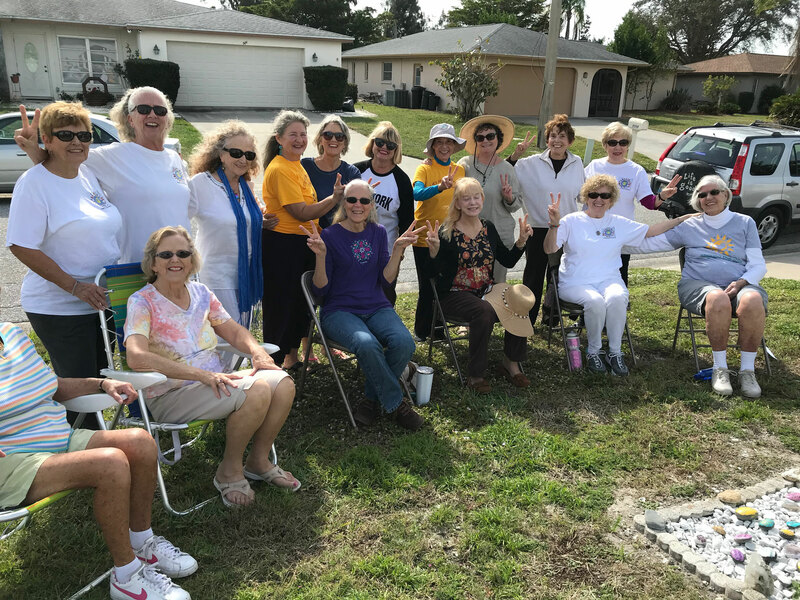 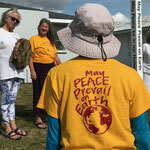 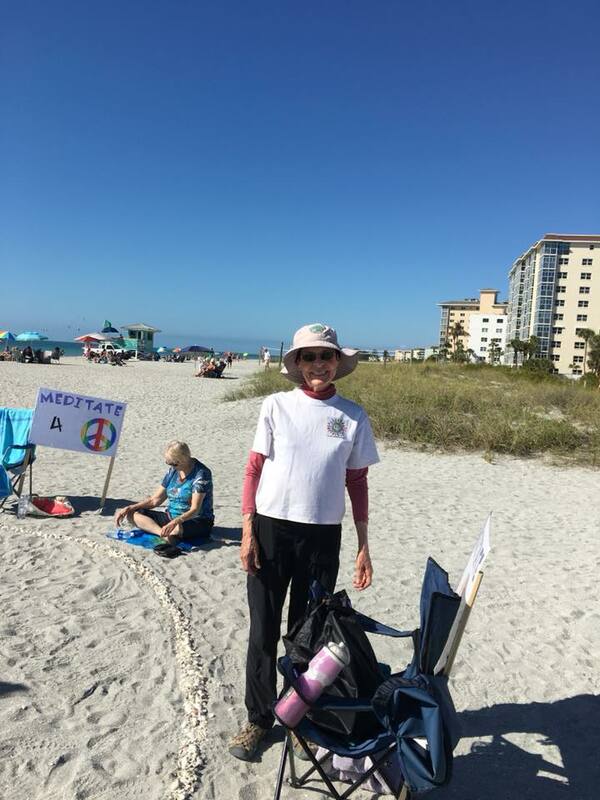 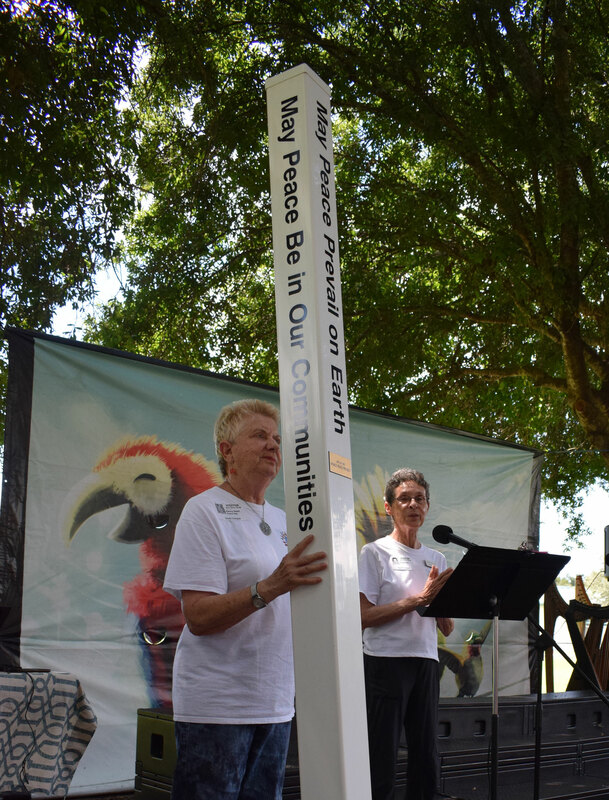 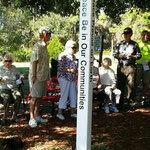 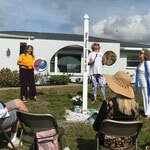 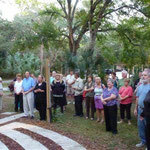 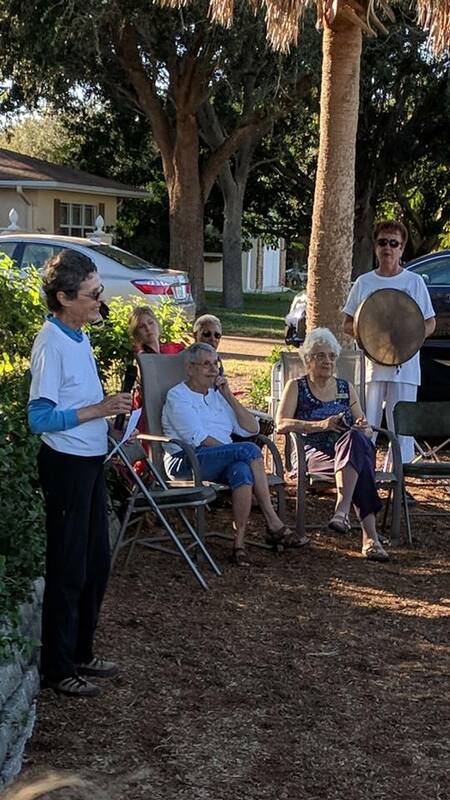 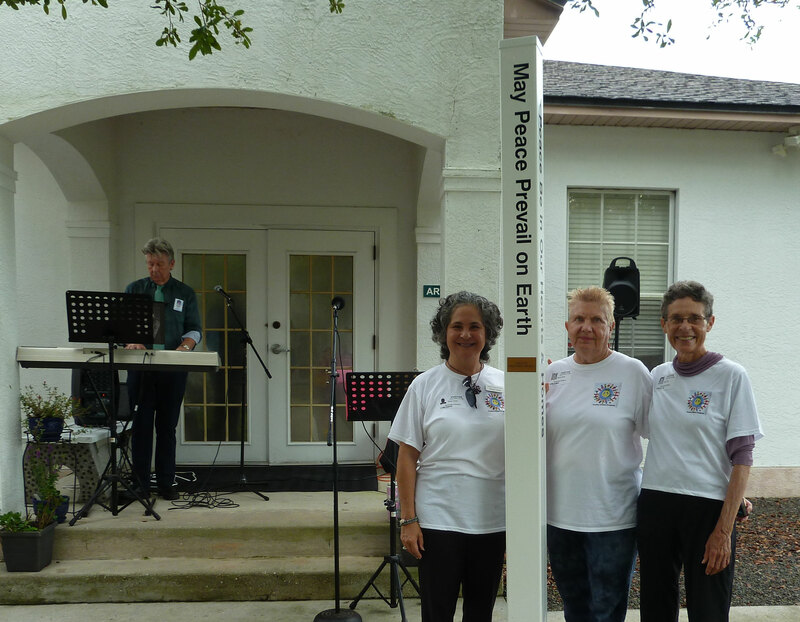 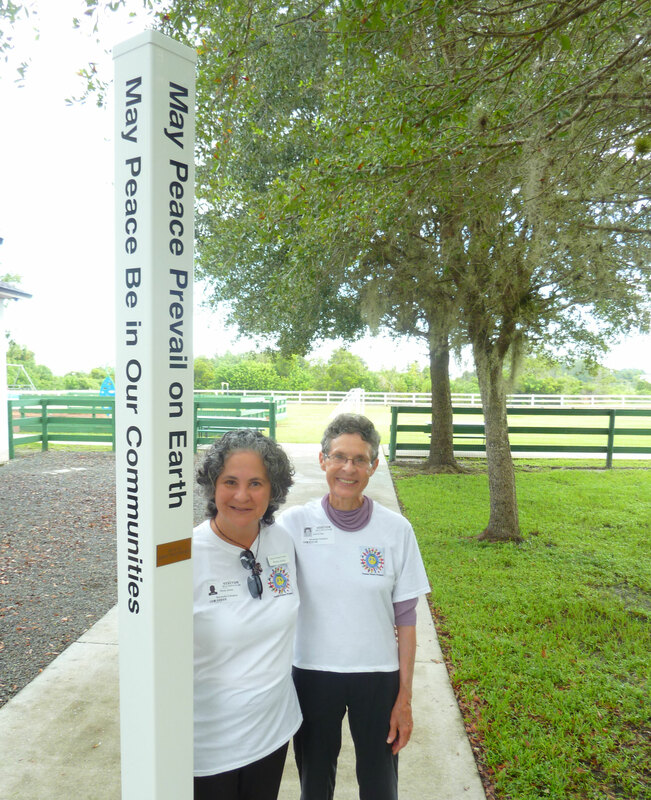 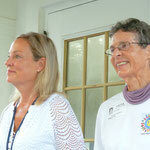 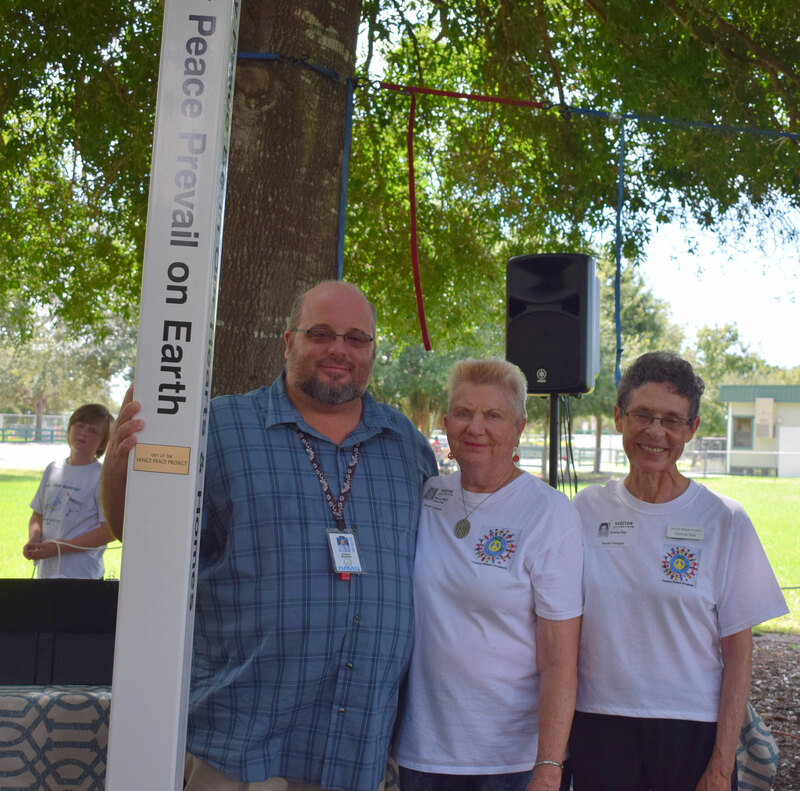 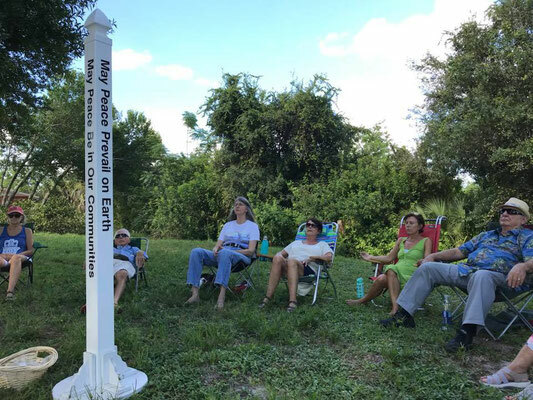 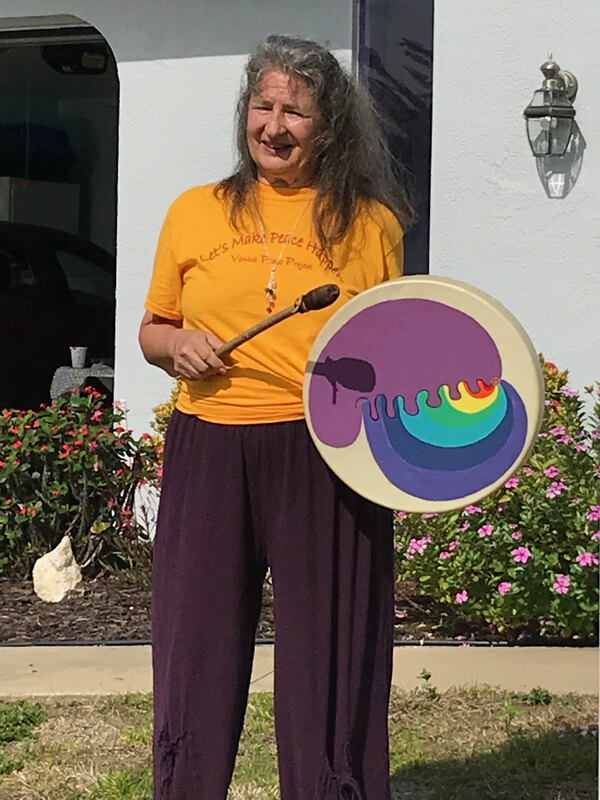 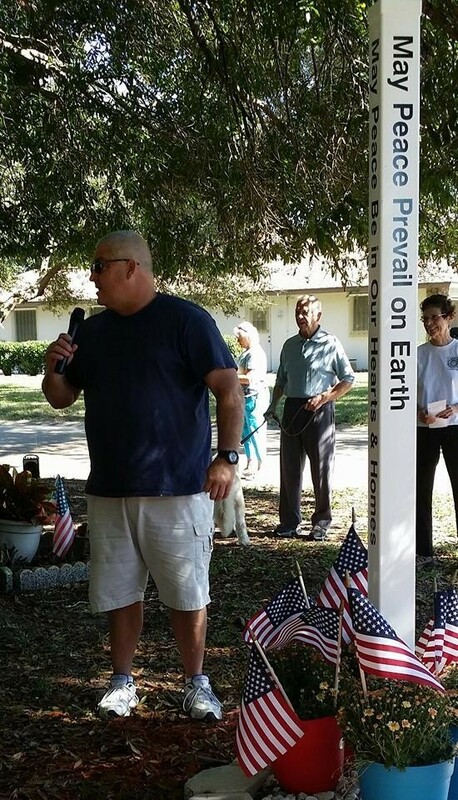 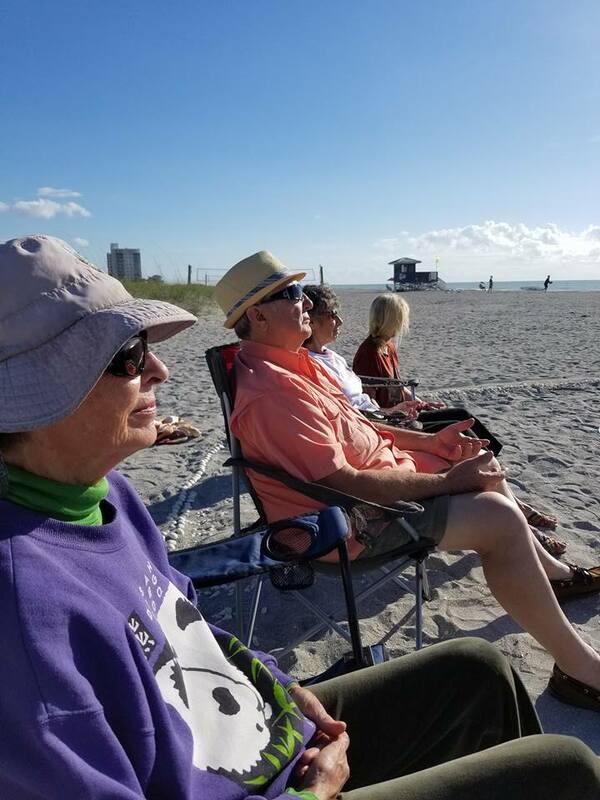 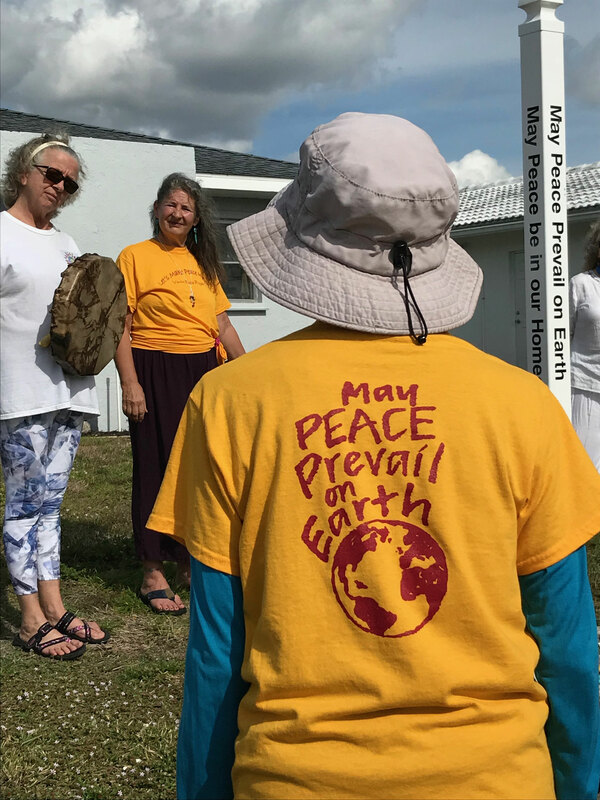 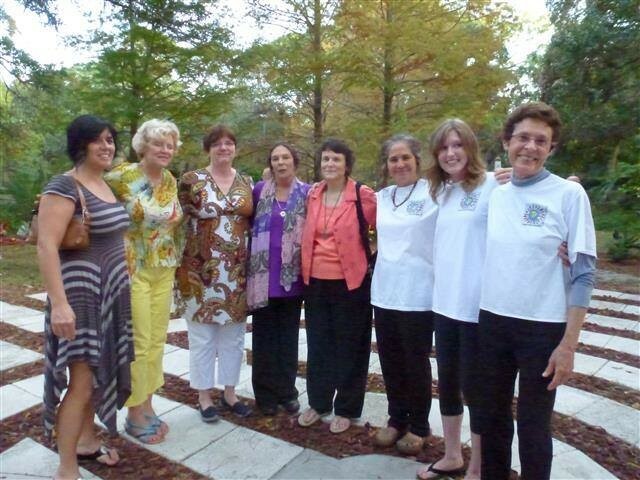 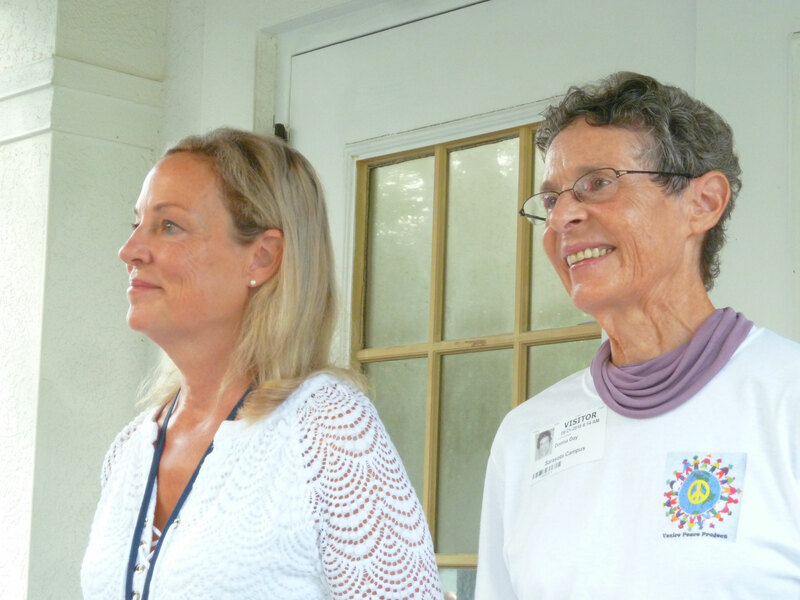 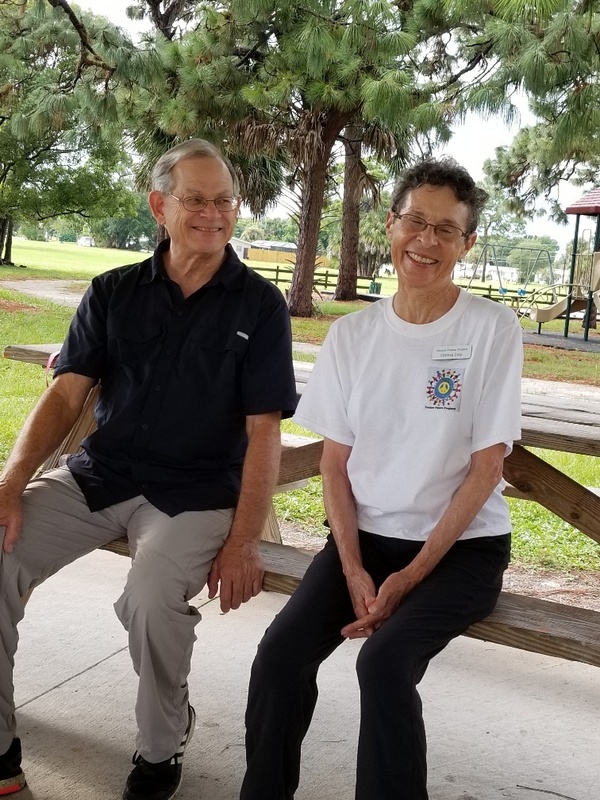 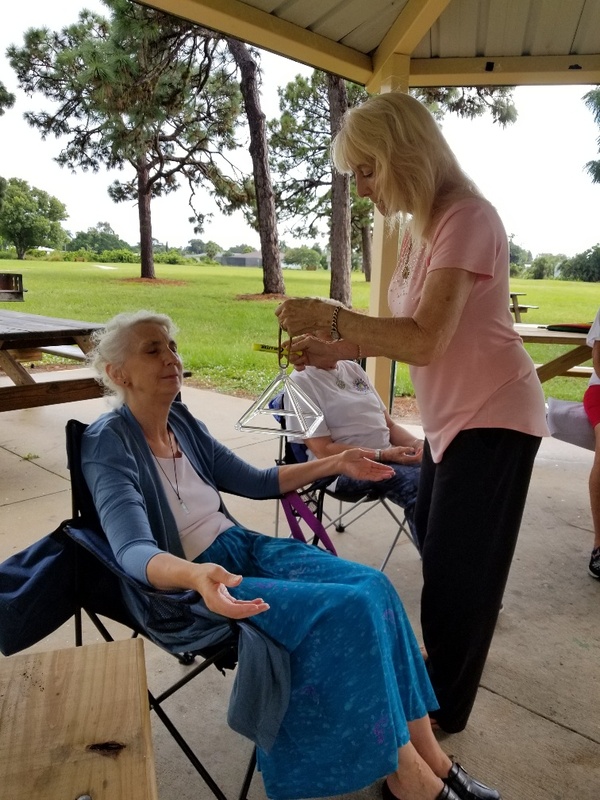 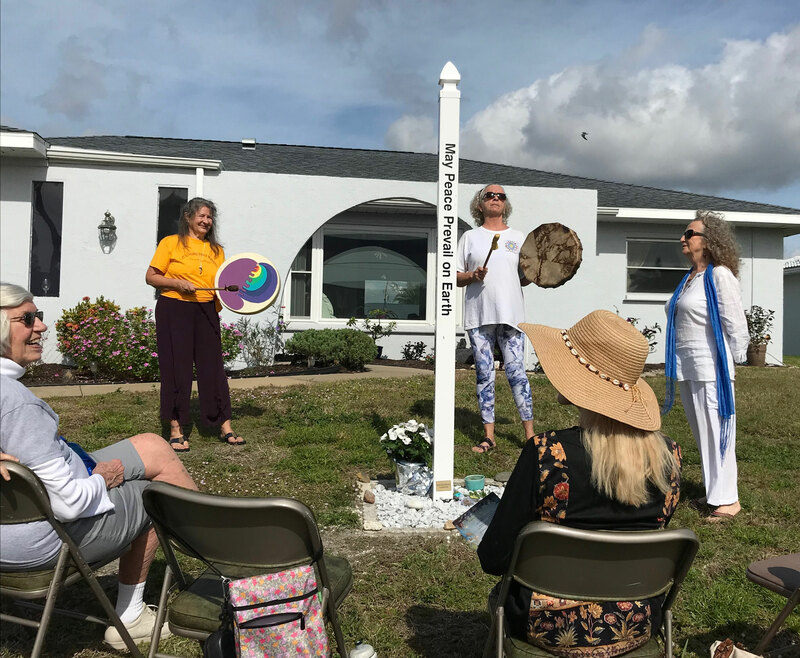 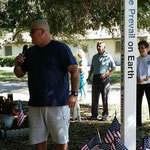 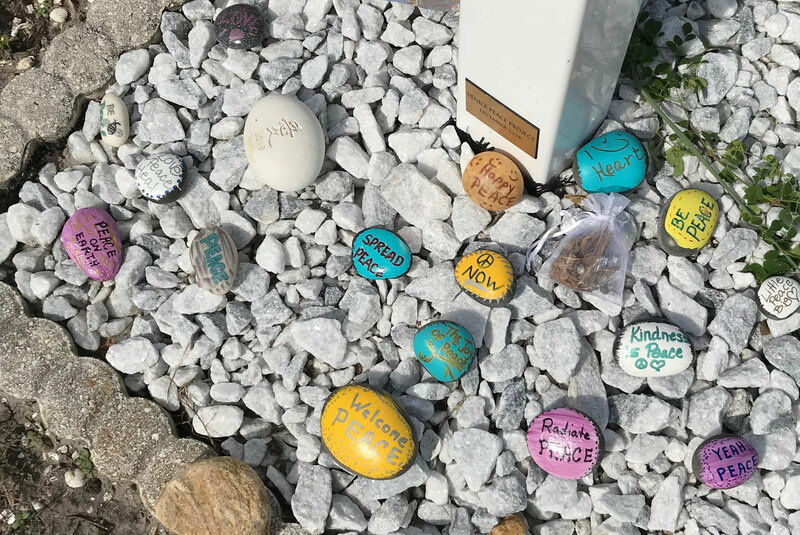 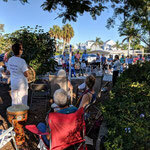 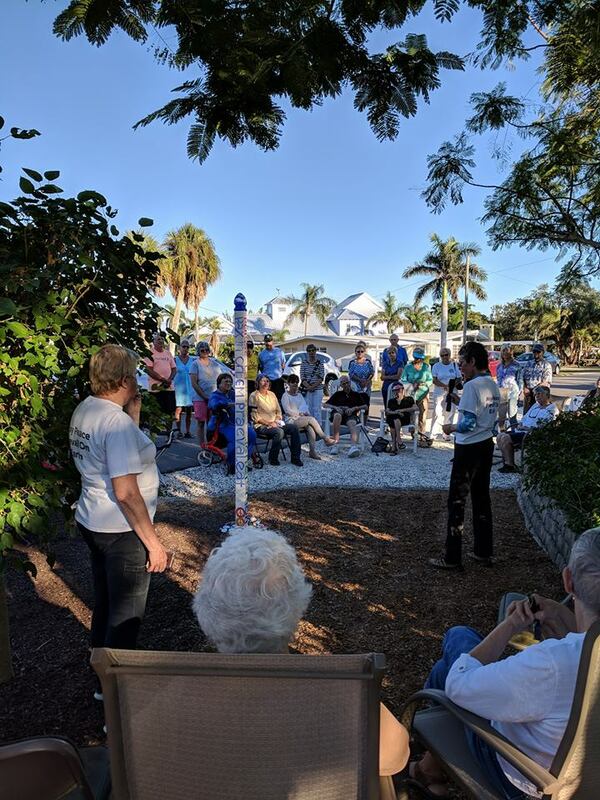 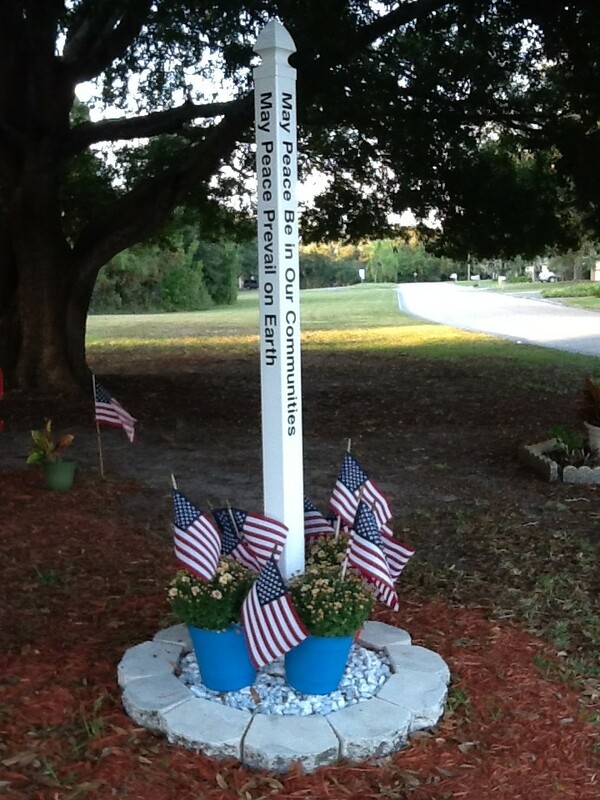 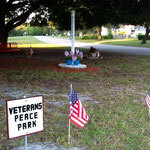 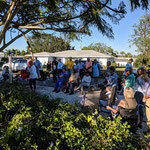 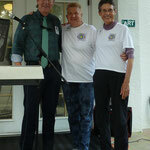 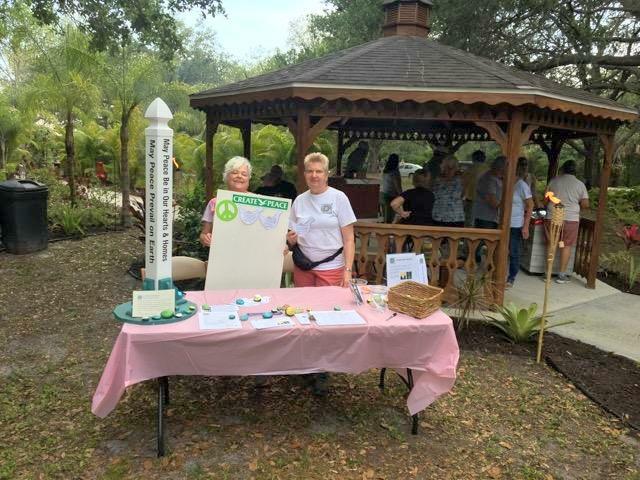 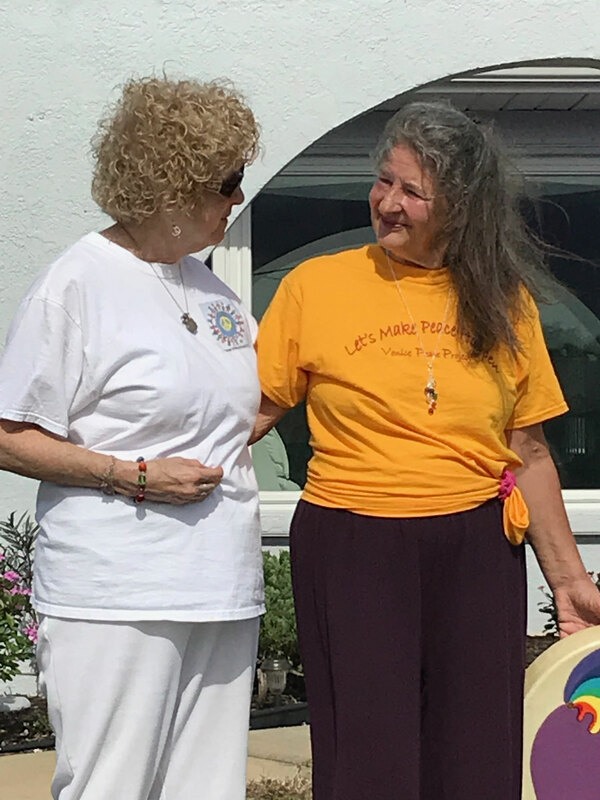 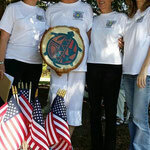 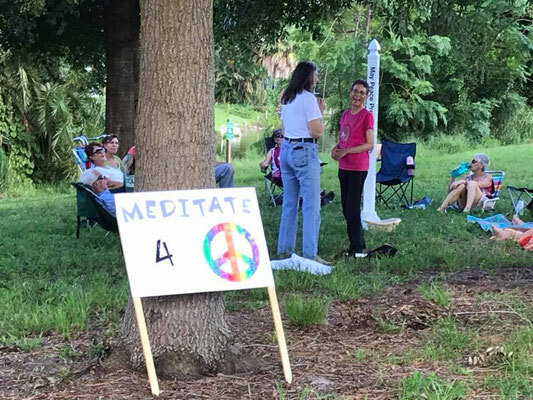 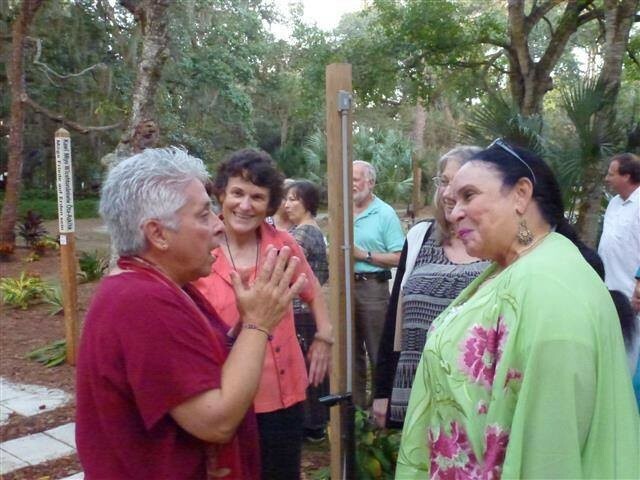 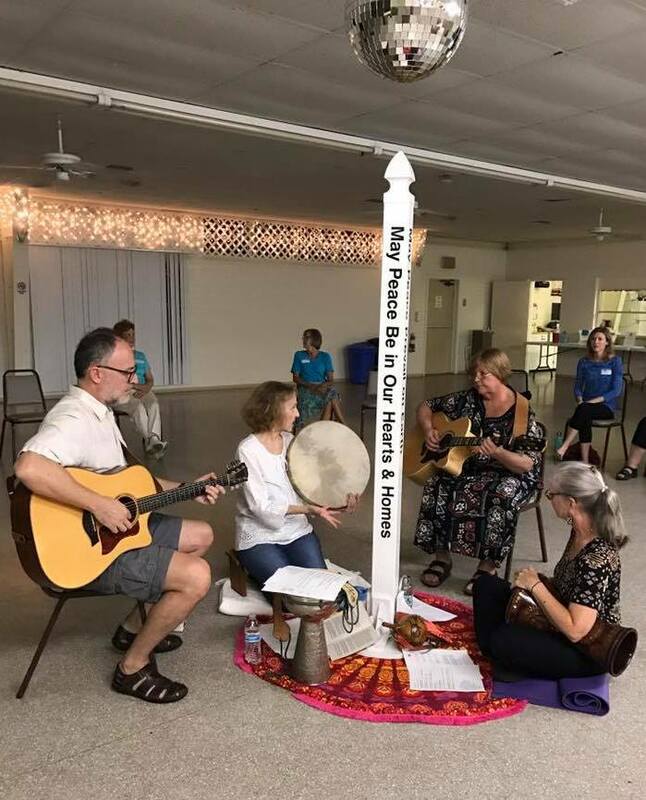 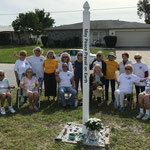 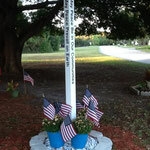 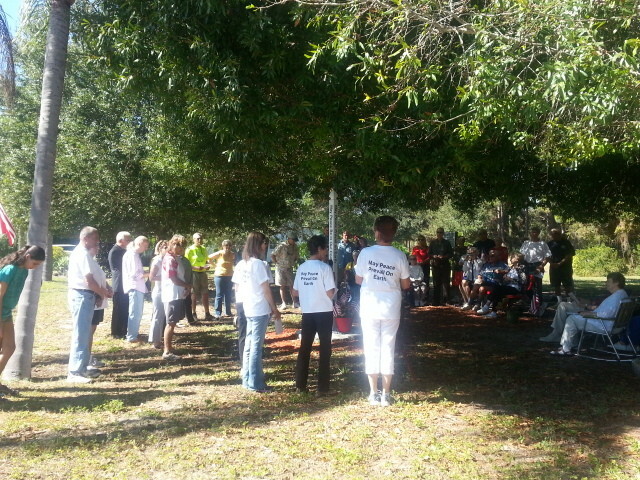 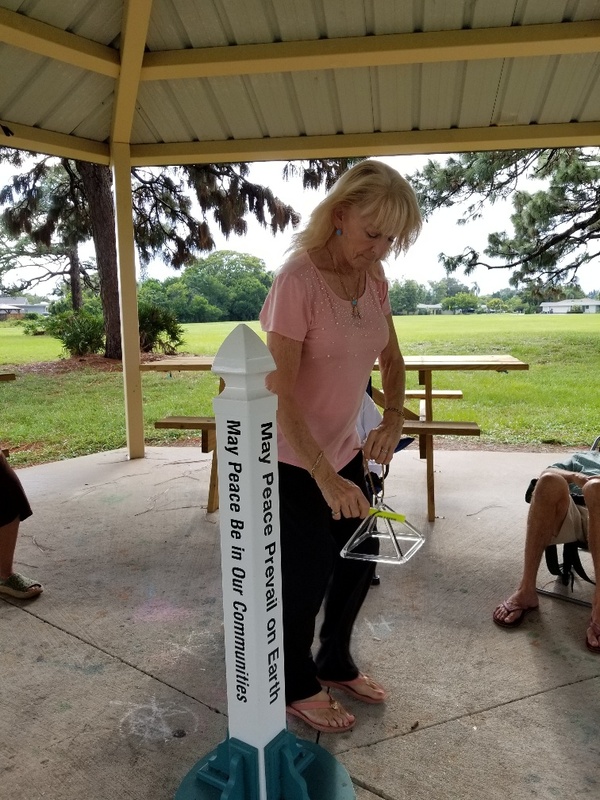 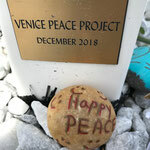 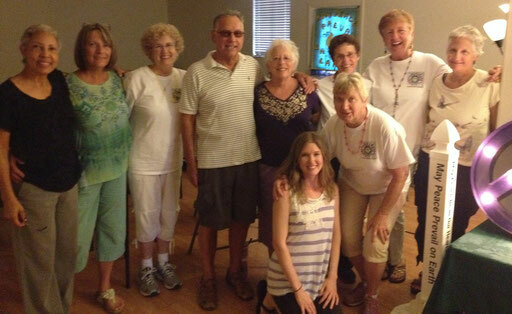 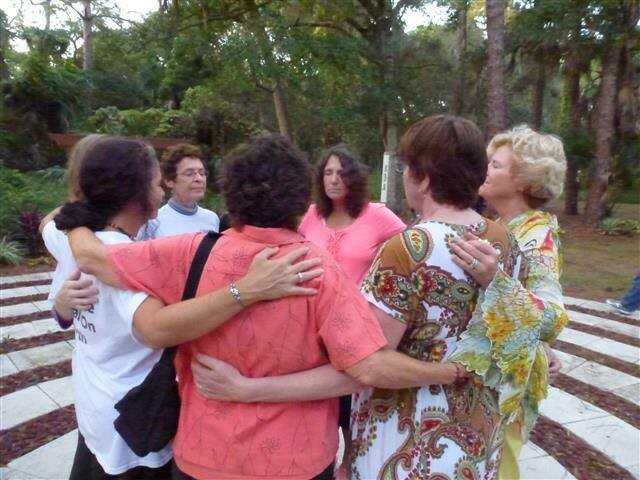 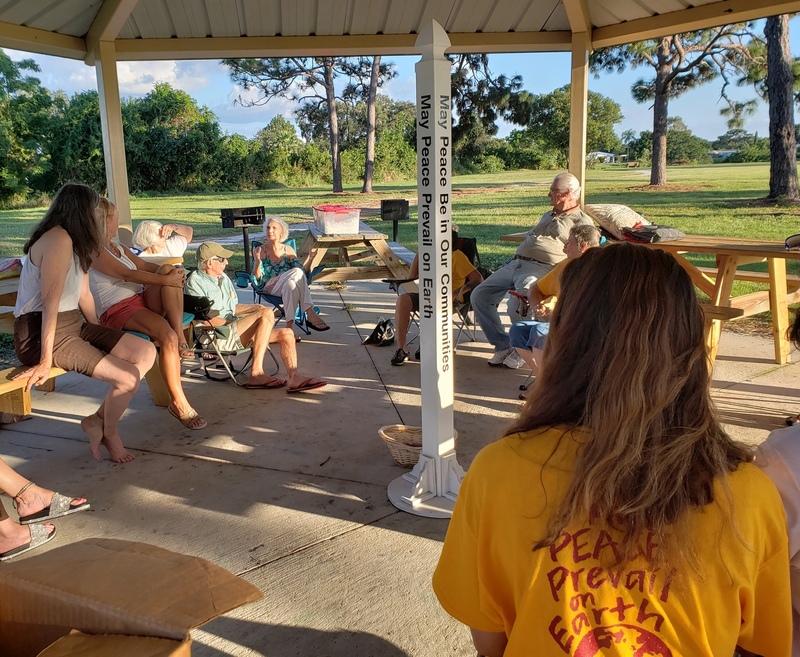 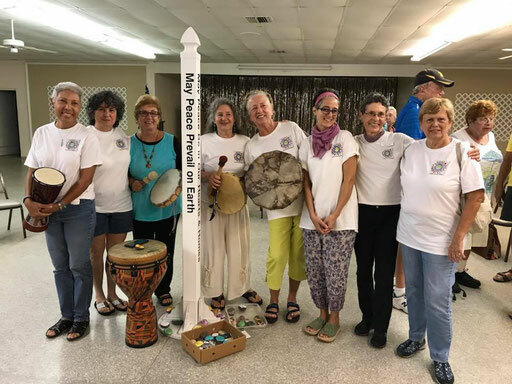 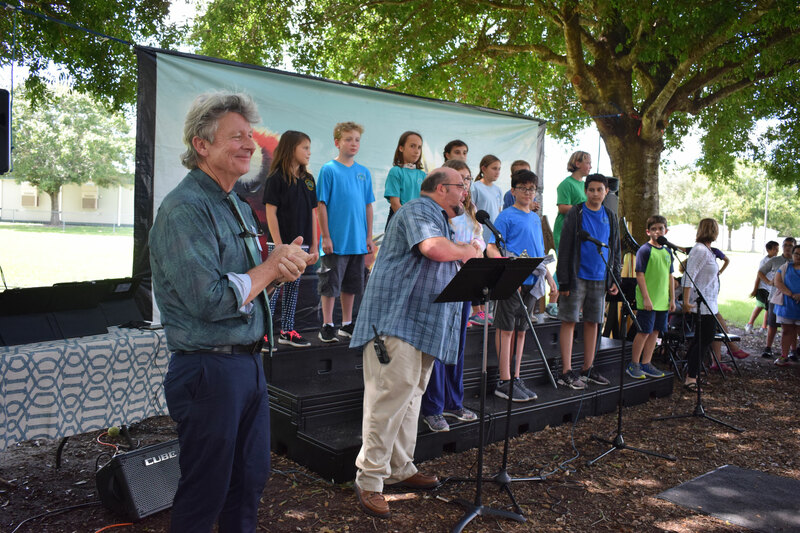 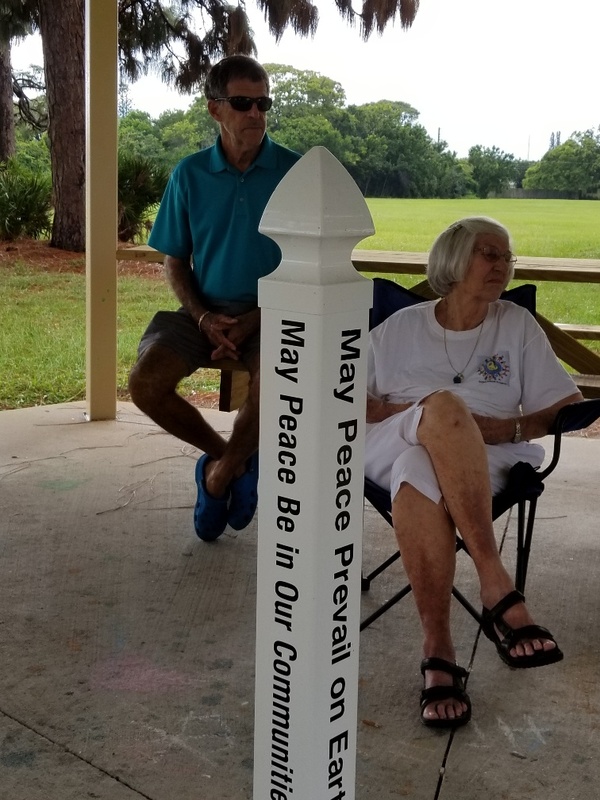 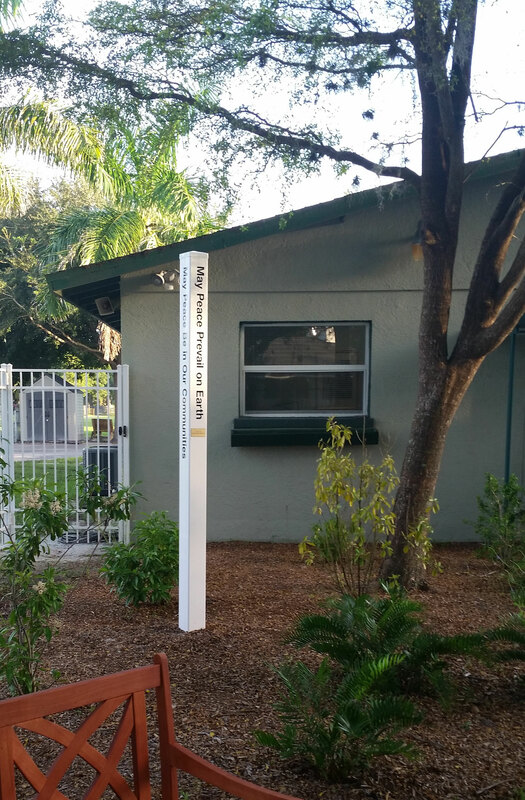 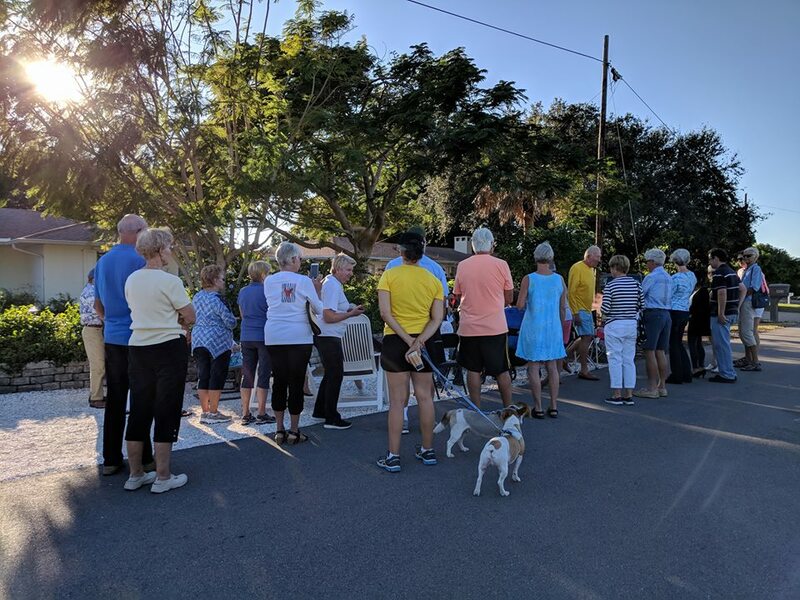 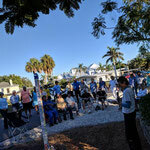 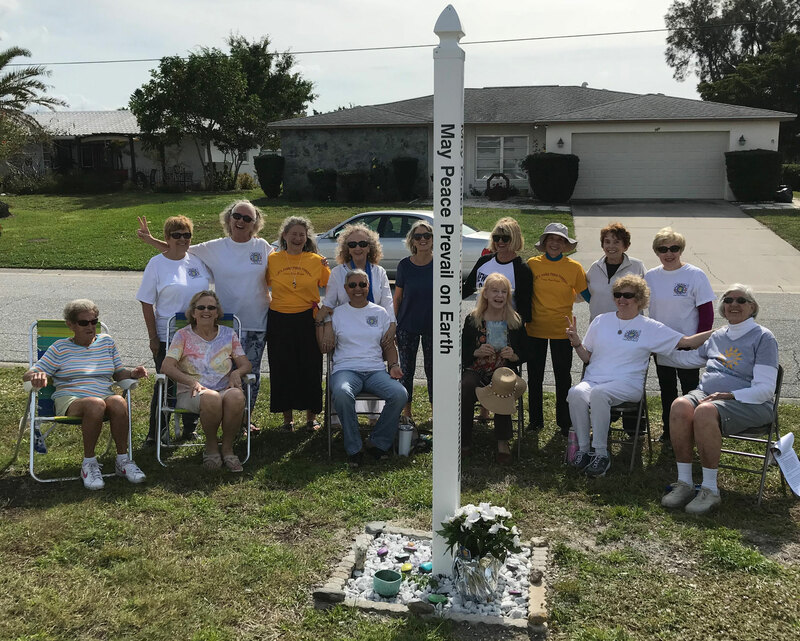 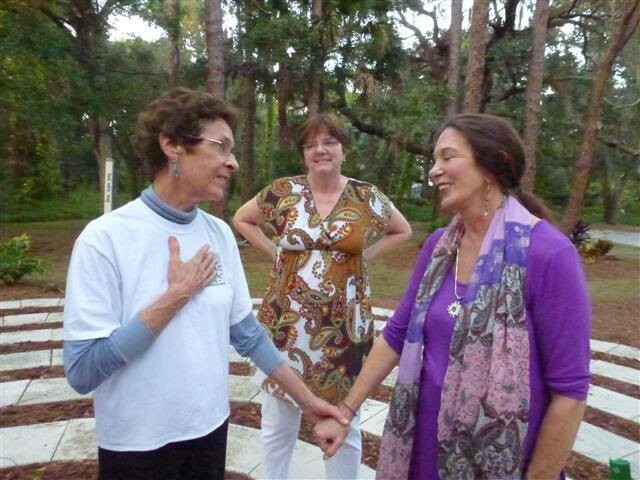 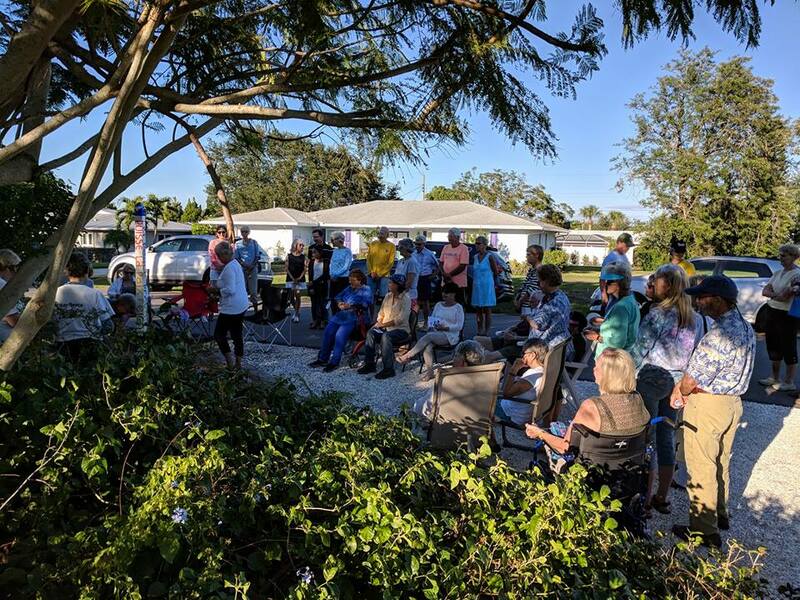 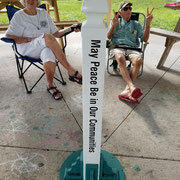 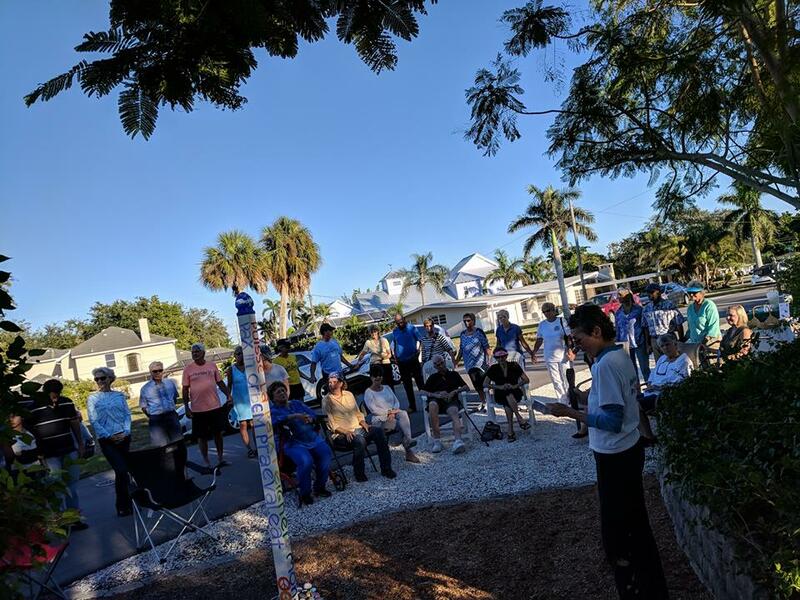 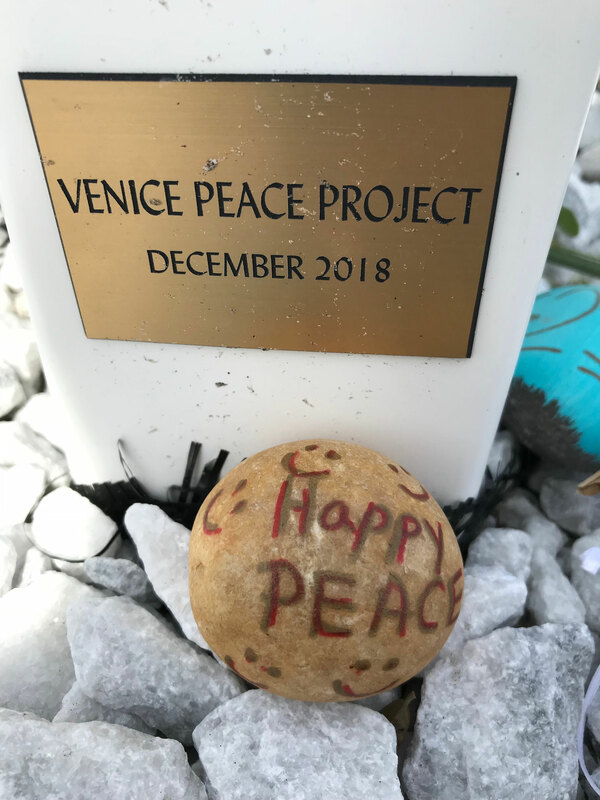 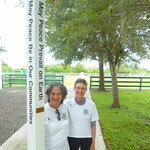 Peace Pole Dedication - 1..9.19 - at Jackie and Herbie's home in Venice, Florida. 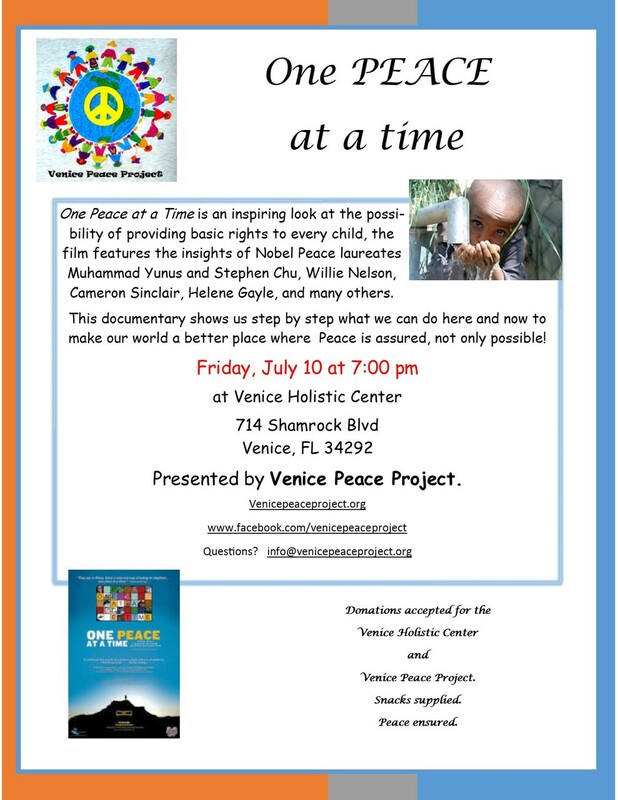 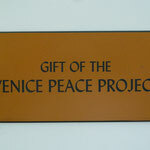 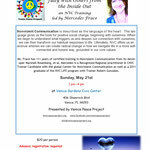 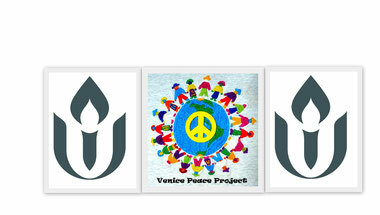 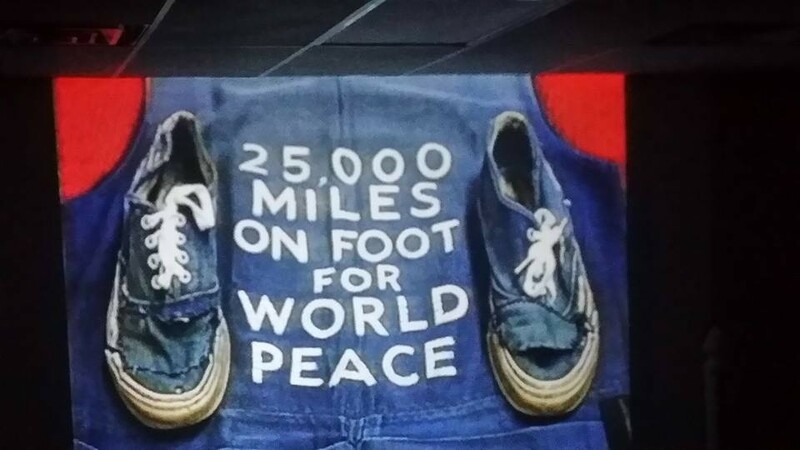 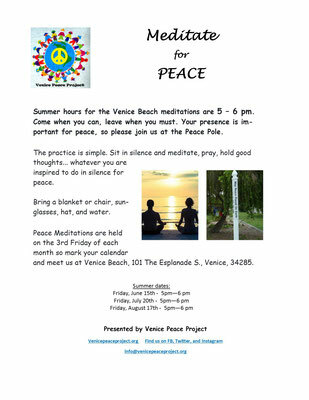 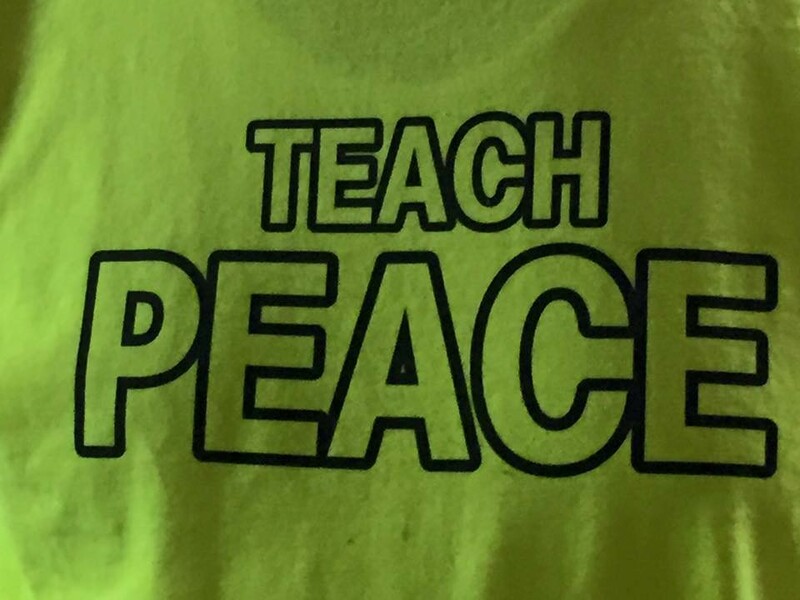 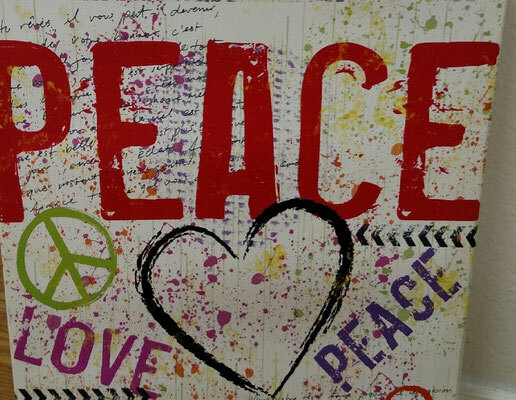 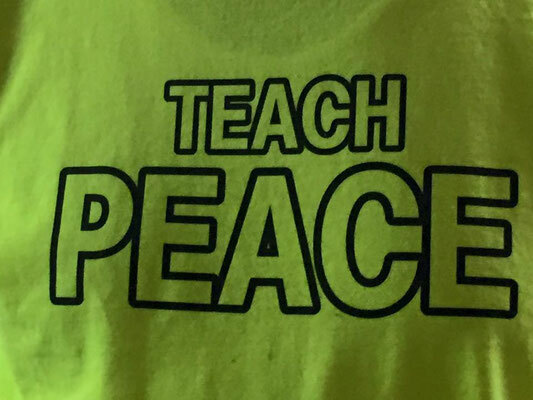 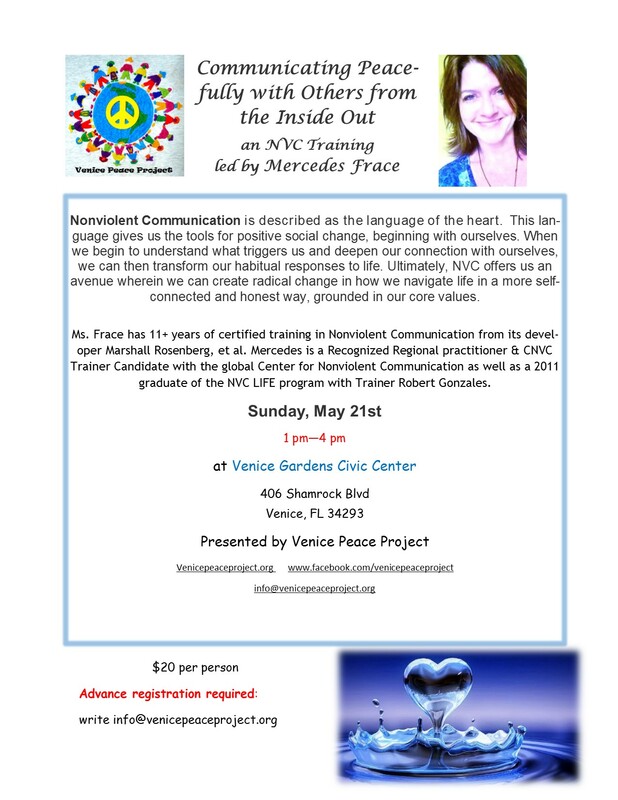 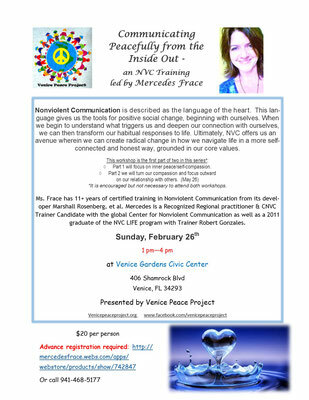 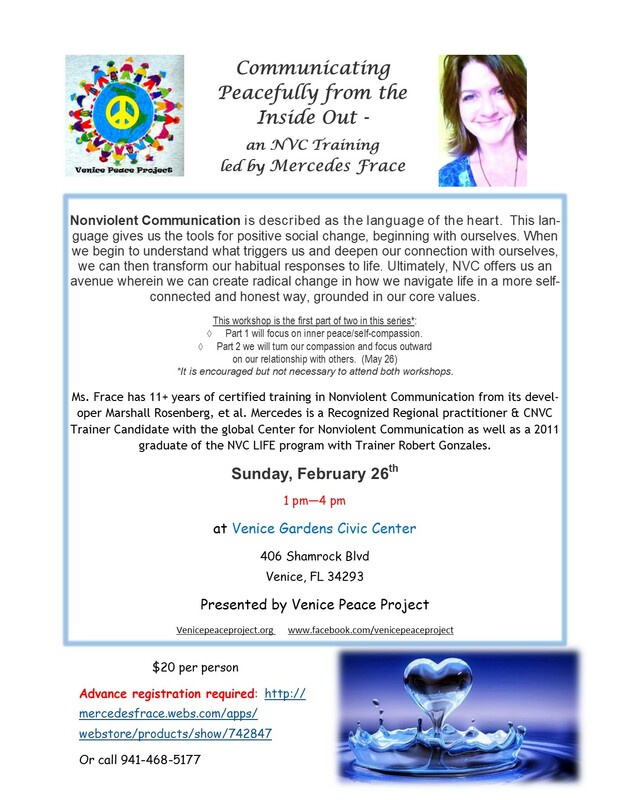 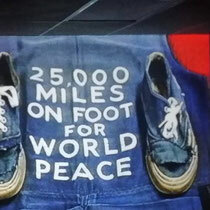 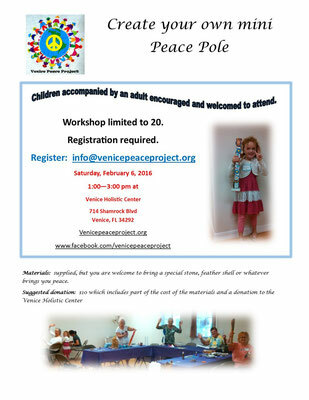 Want to find out more about Venice Peace Project? 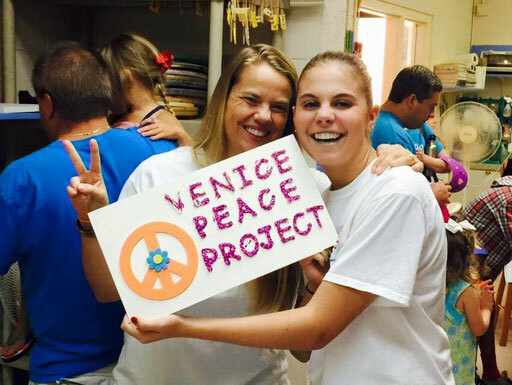 Want to be involved in helping without a specific monthly commitment? The orientation will offer background on VPP and help you decide whether being part of this group with flexible service could be of interest to you. 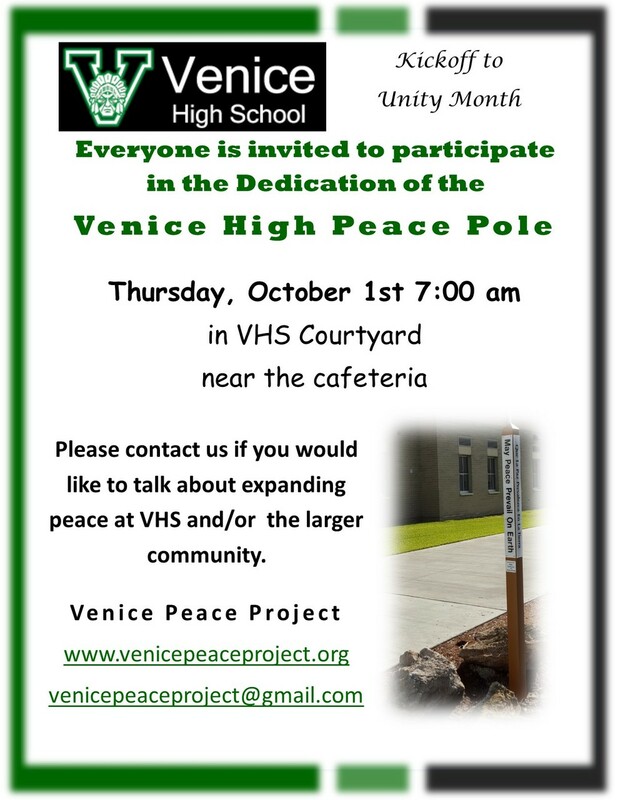 The orientation will include an introductory video, discussion of our Vision, Mission, Guiding Principles and what you might do to hep us out! 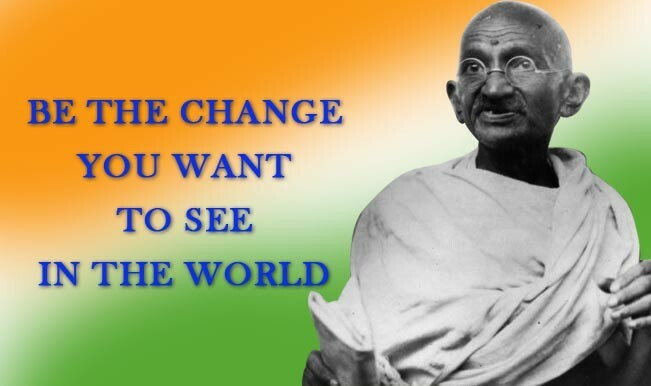 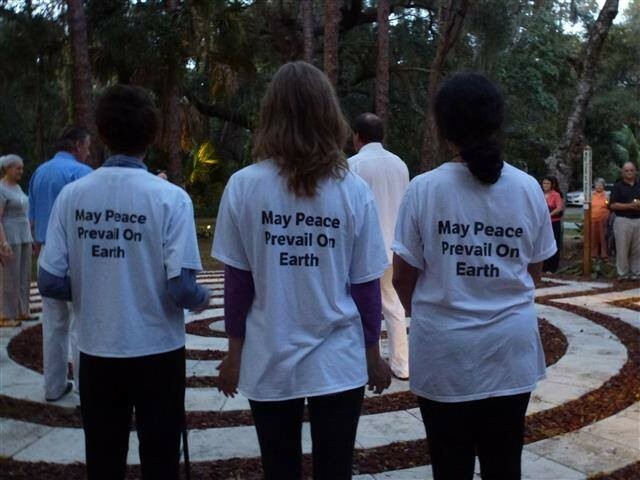 Decide whether you want to be part of spreading our vision of "Peace in our hearts, peace in our community, and peace in our world." 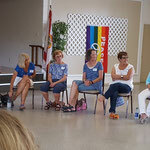 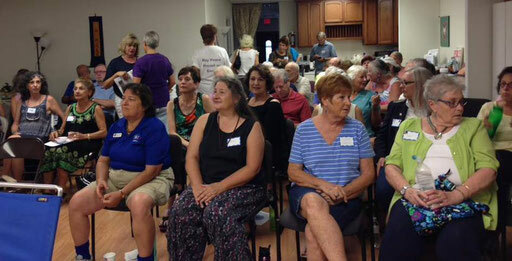 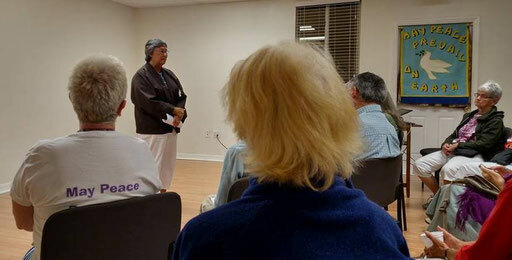 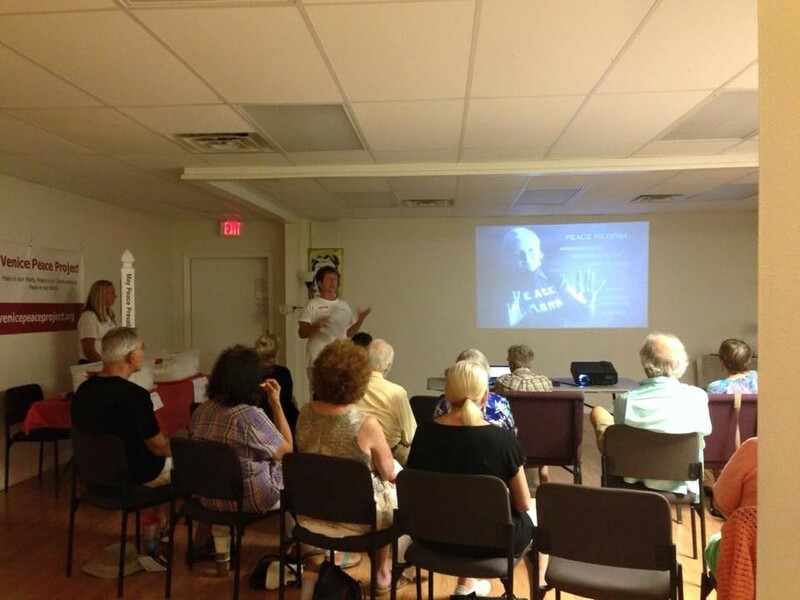 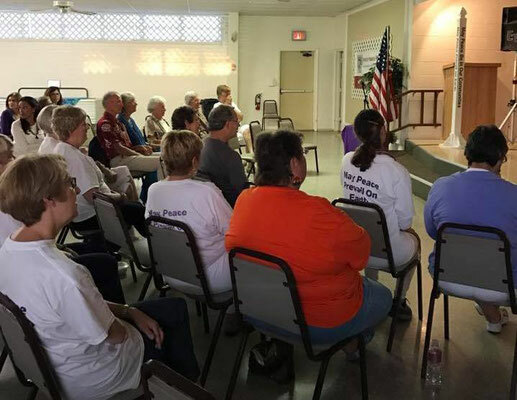 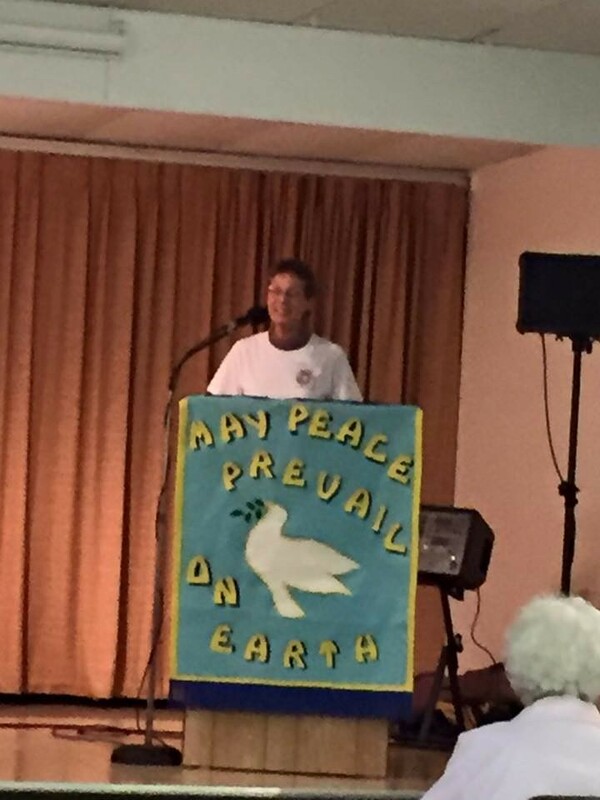 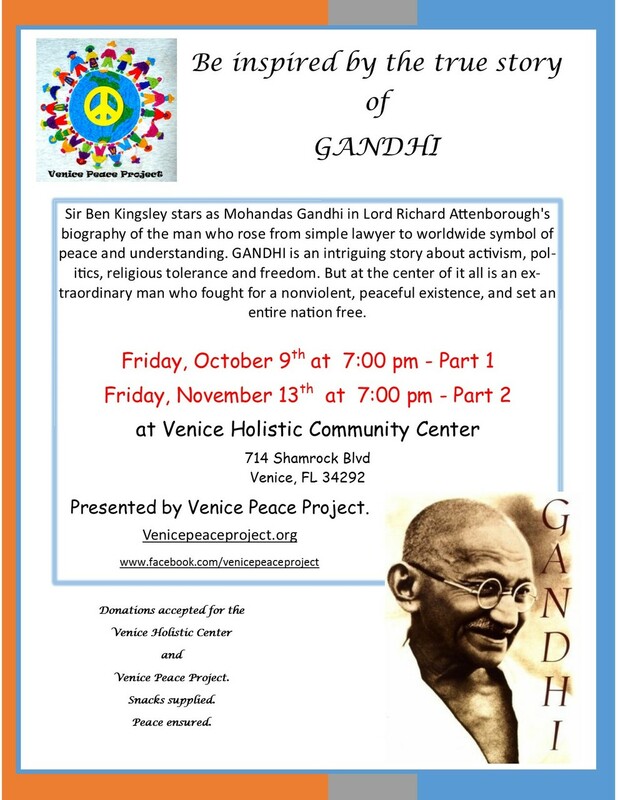 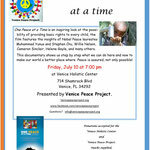 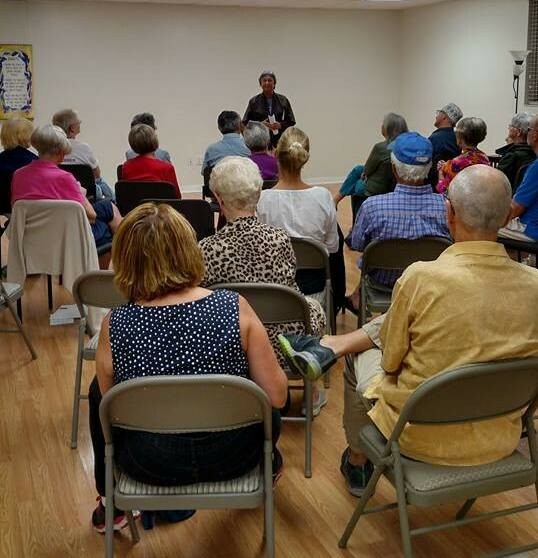 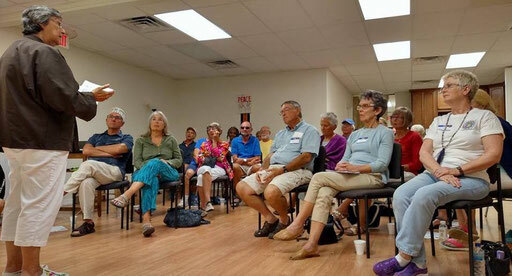 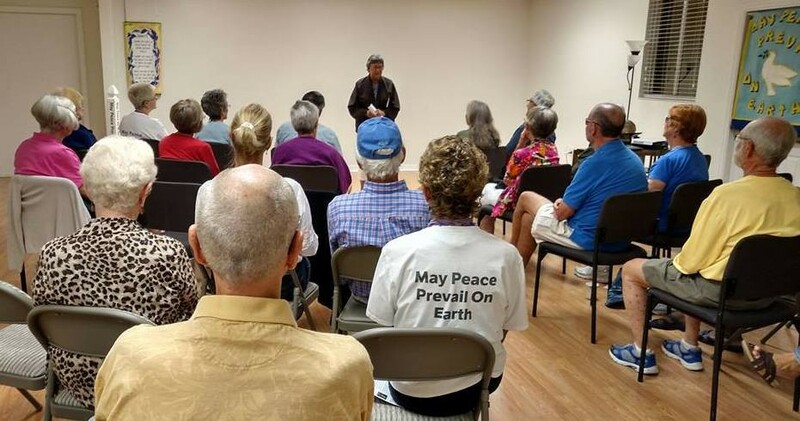 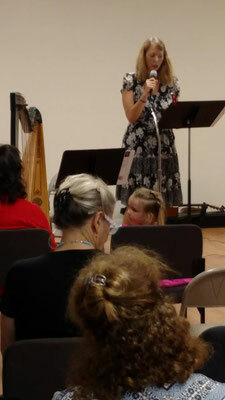 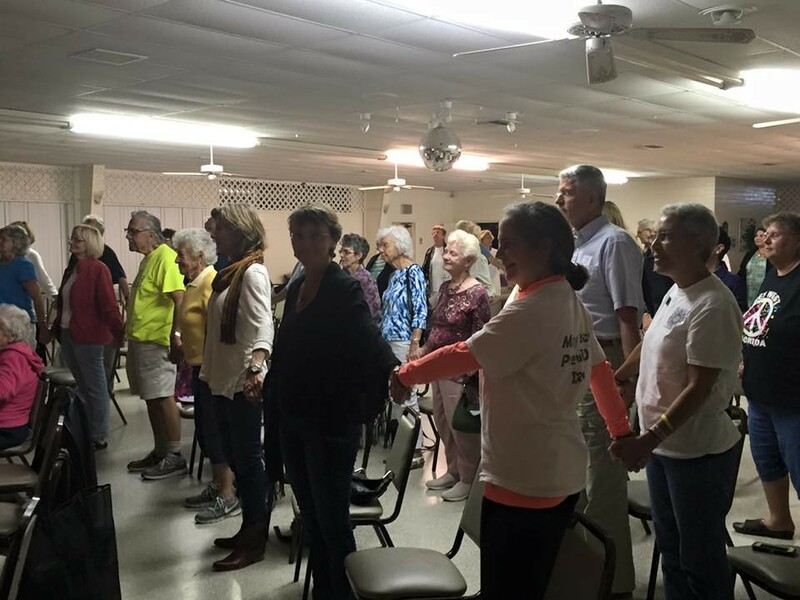 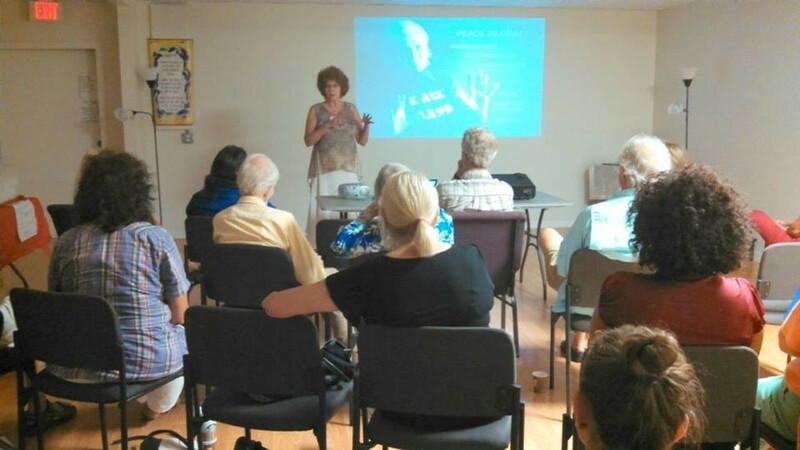 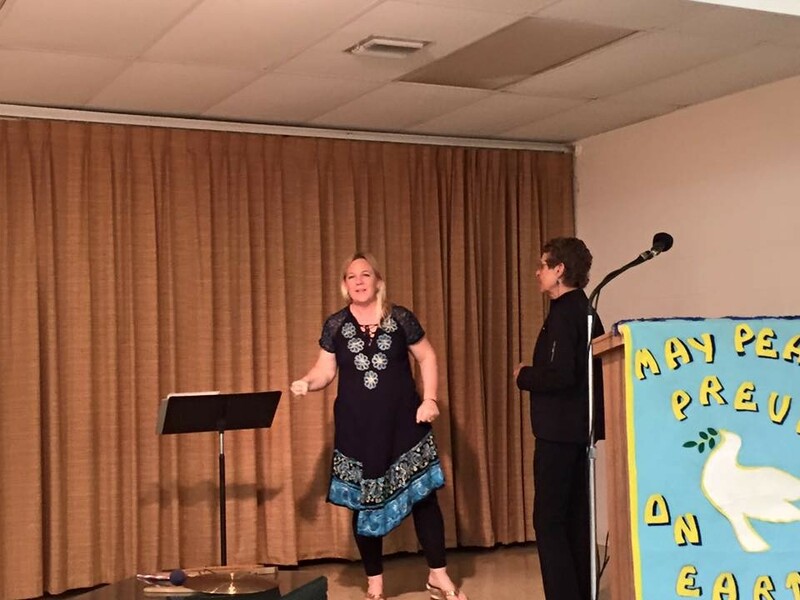 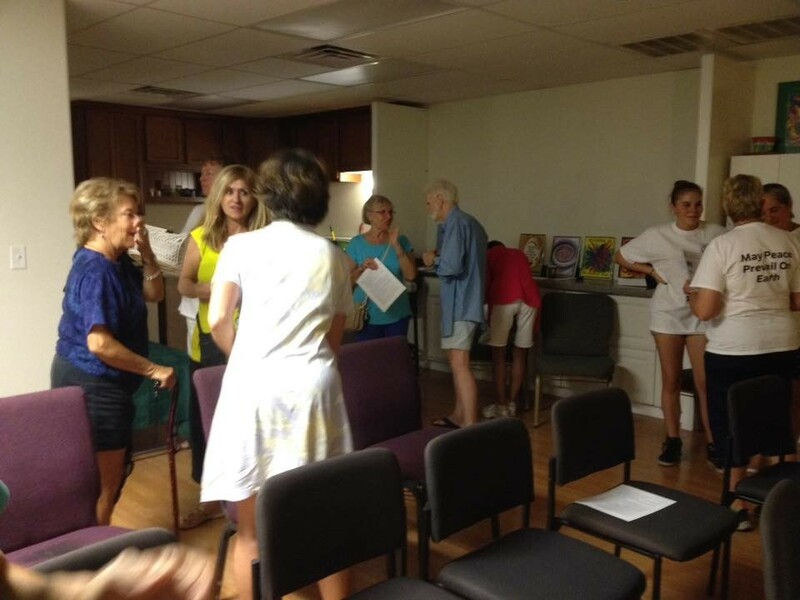 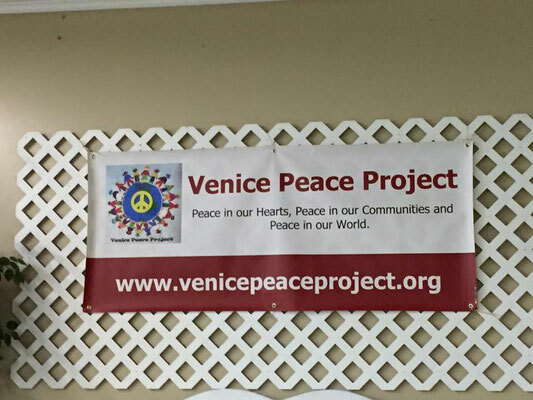 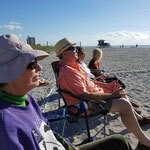 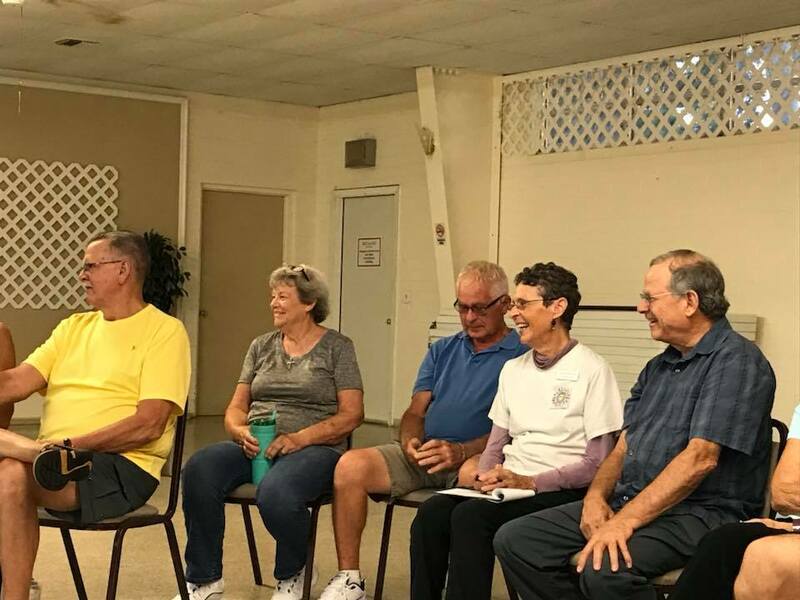 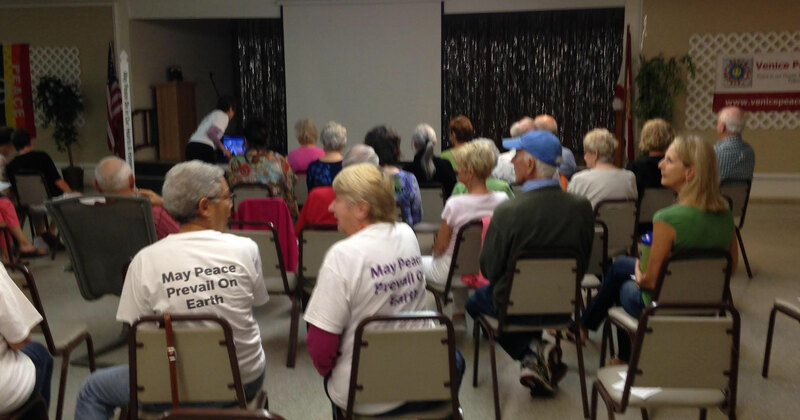 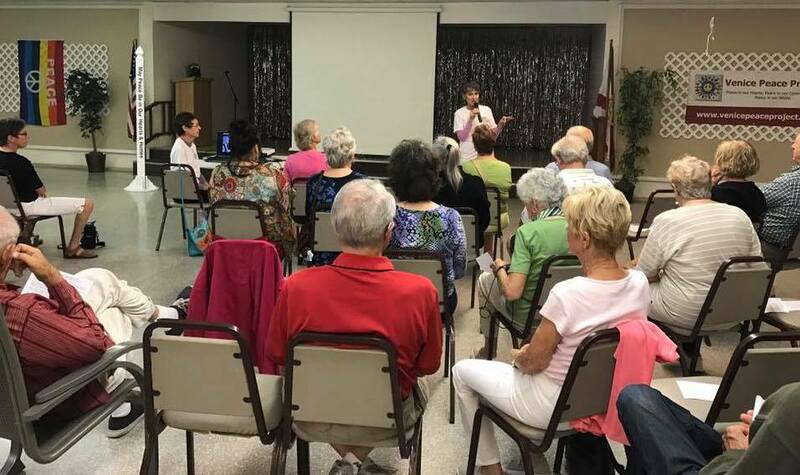 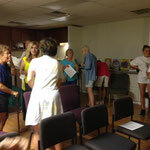 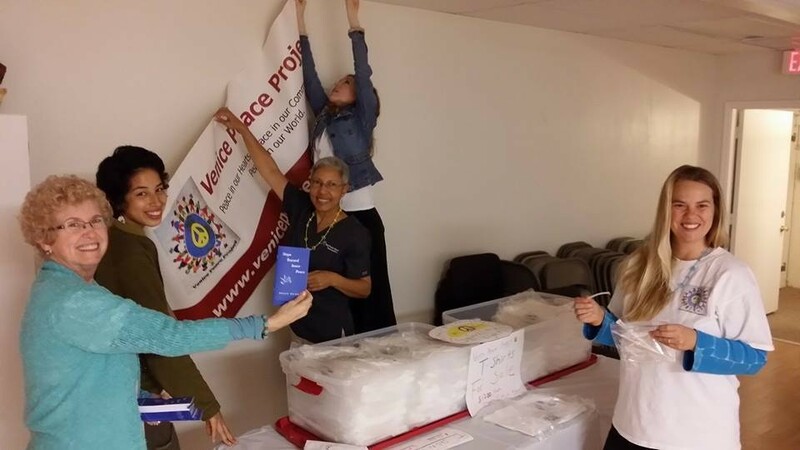 Venice Peace Project presented information on the activities they have undertaken to promote peace in our area. 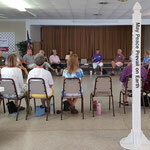 A thought-provoking discussion followed on steps to promote and enhance peace on an individual and community level. 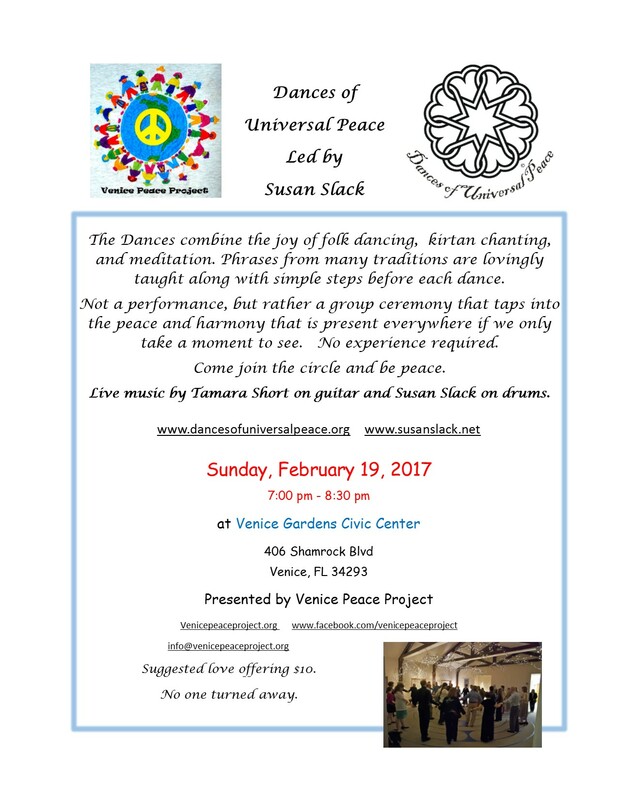 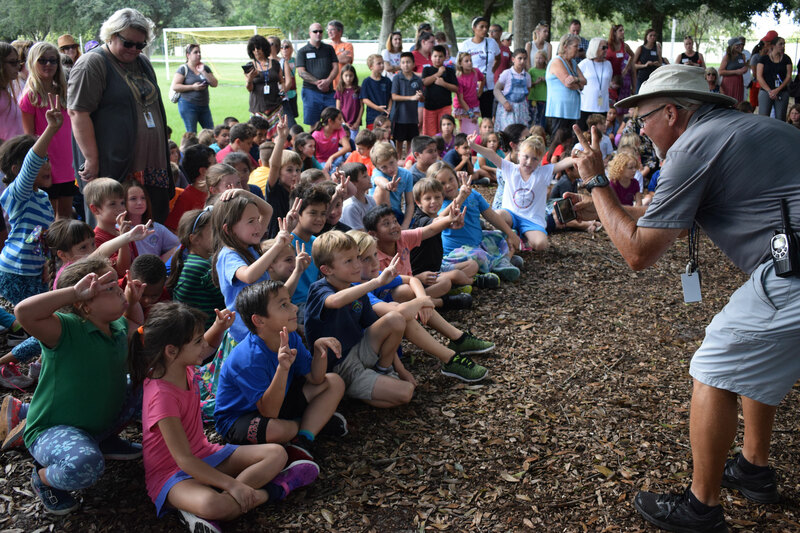 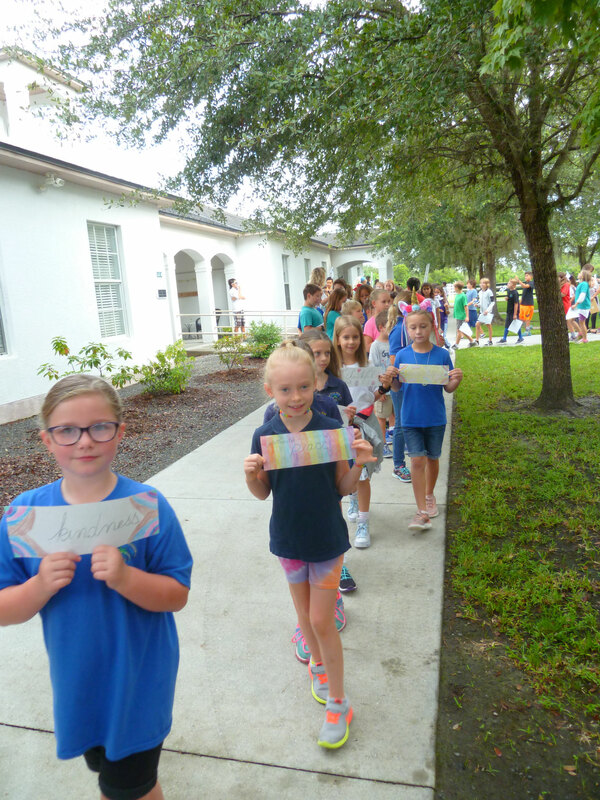 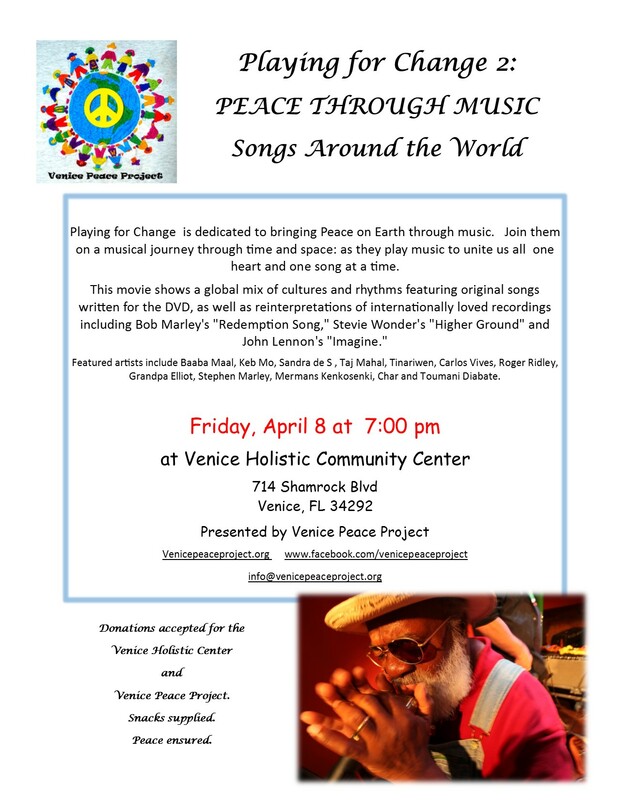 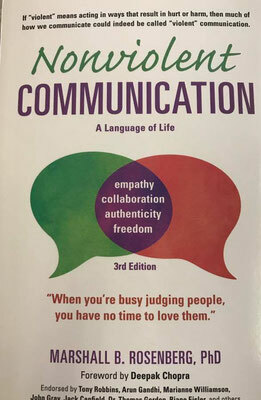 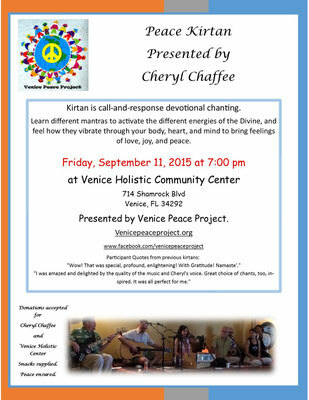 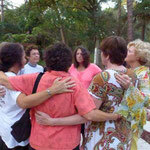 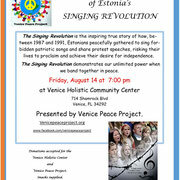 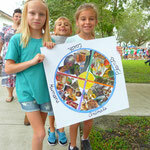 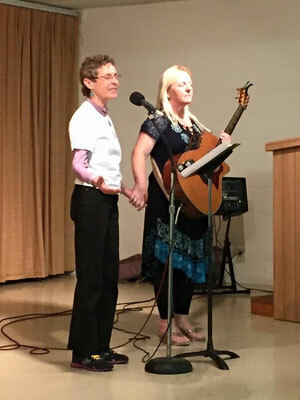 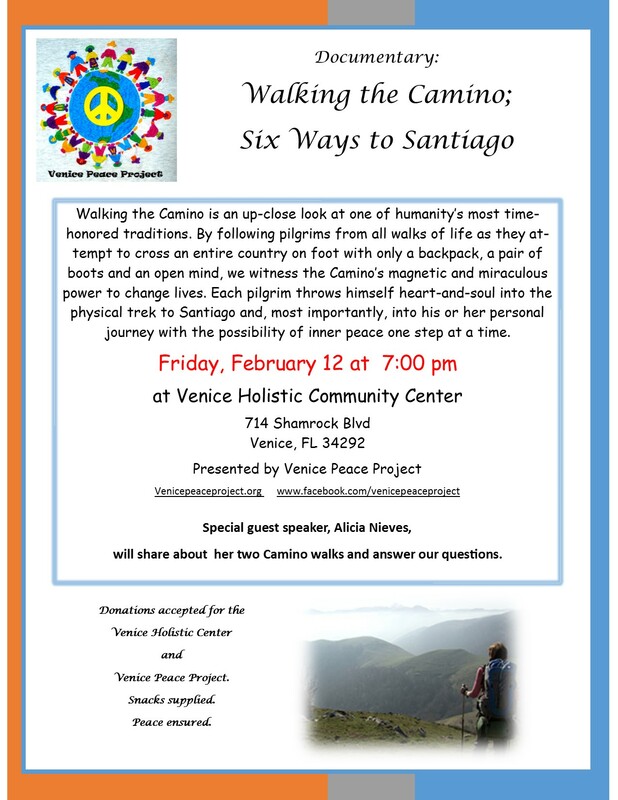 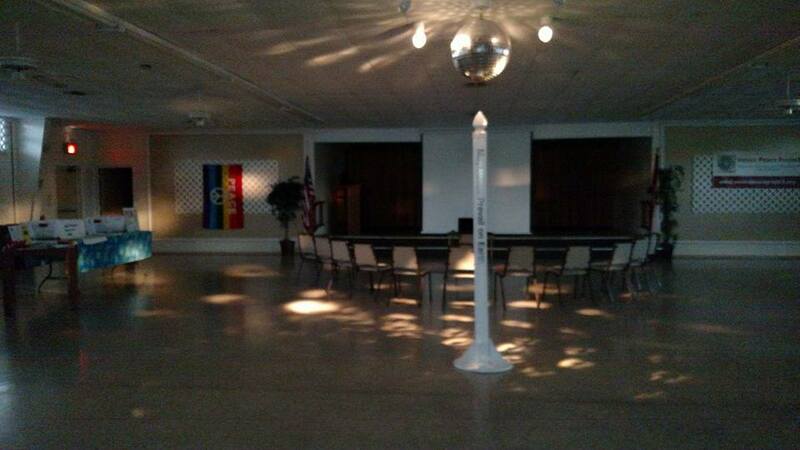 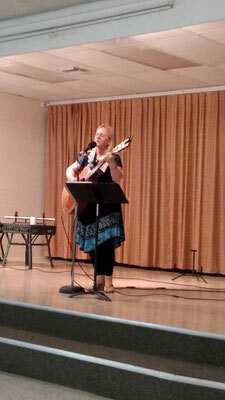 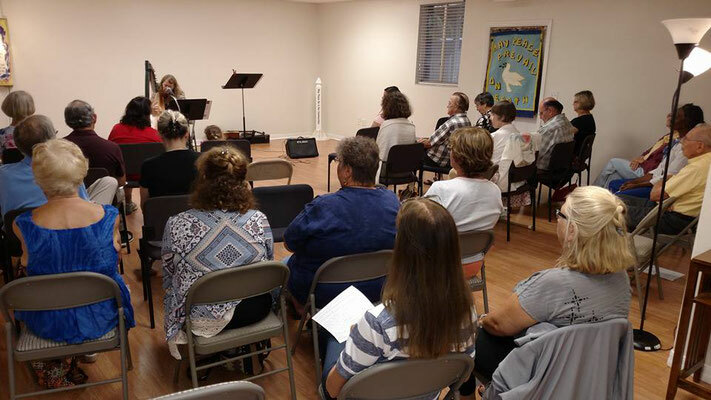 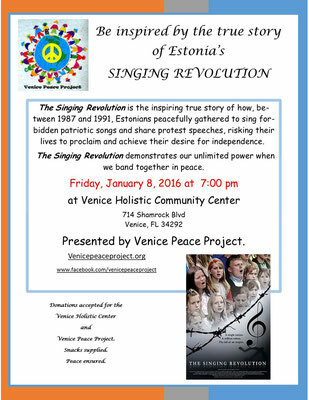 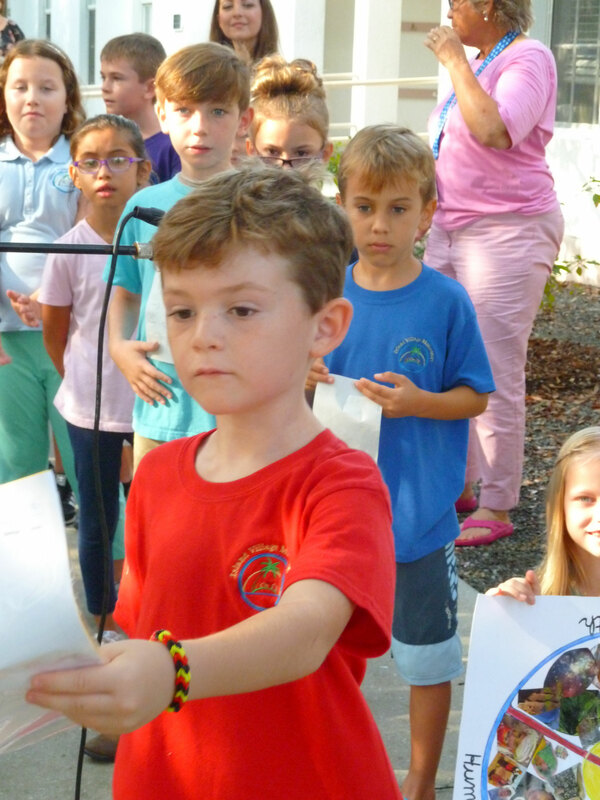 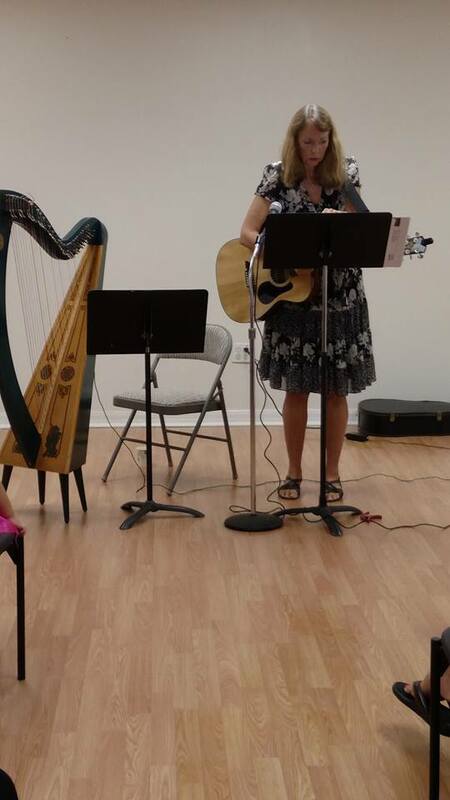 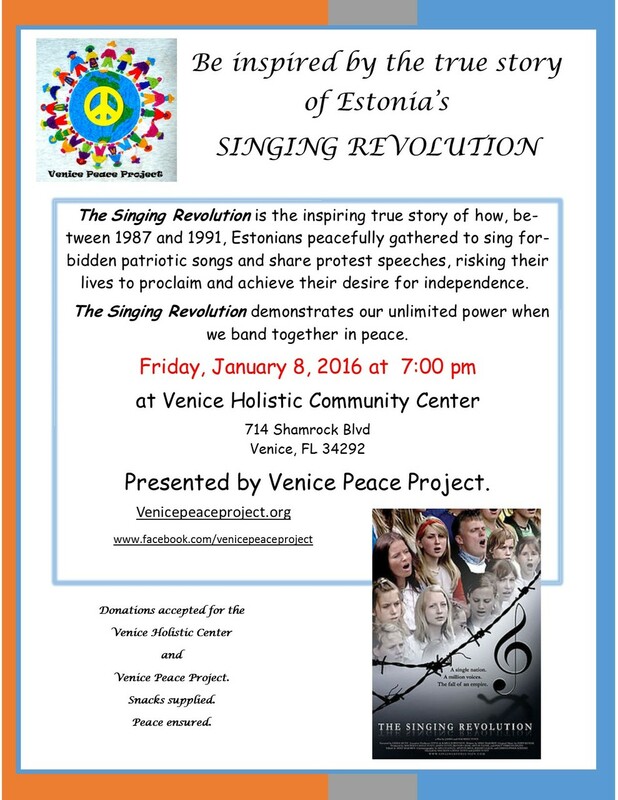 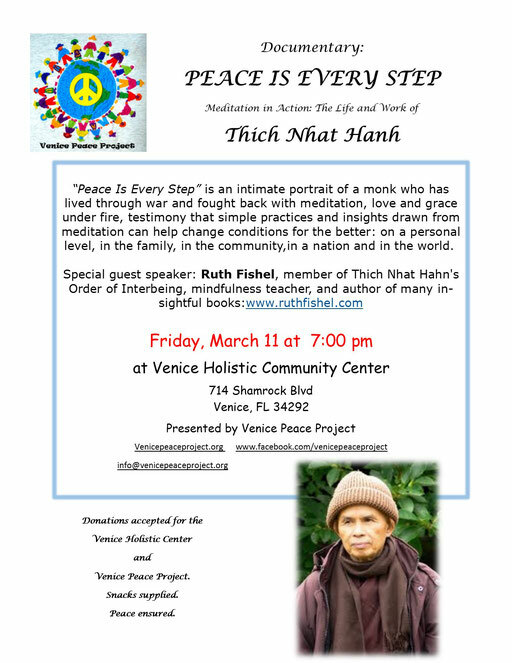 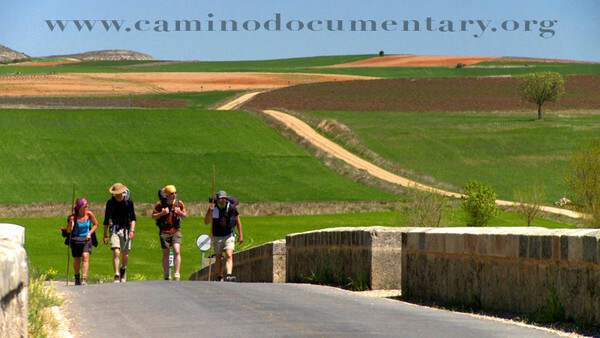 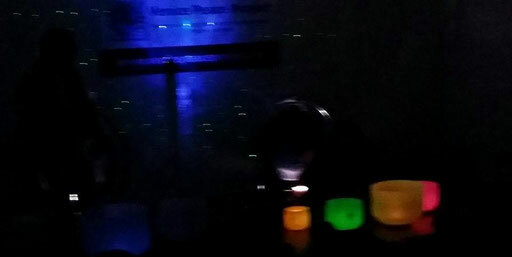 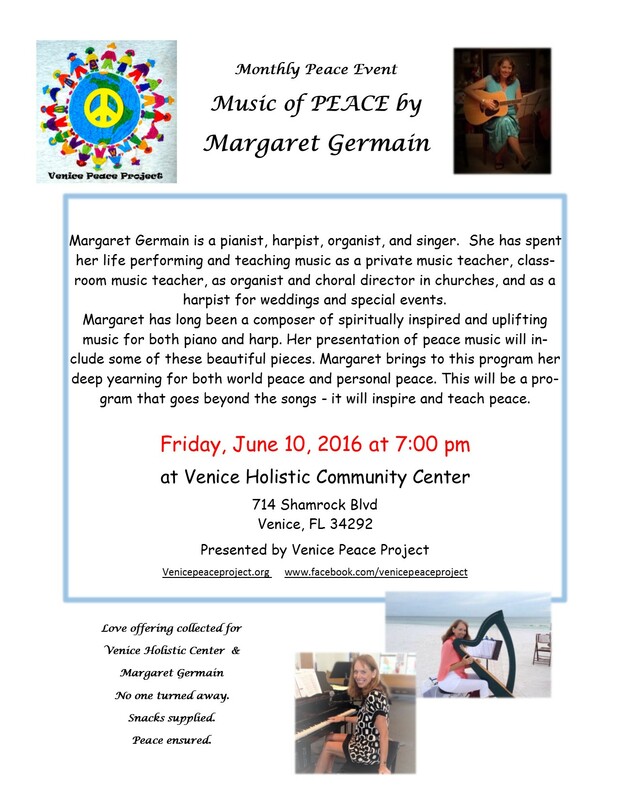 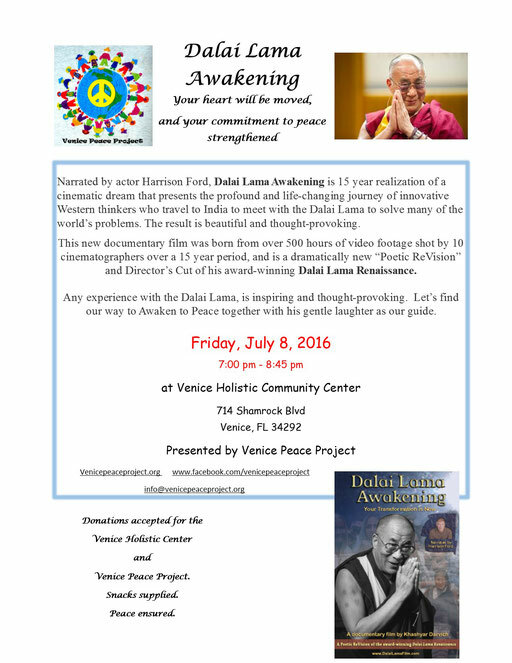 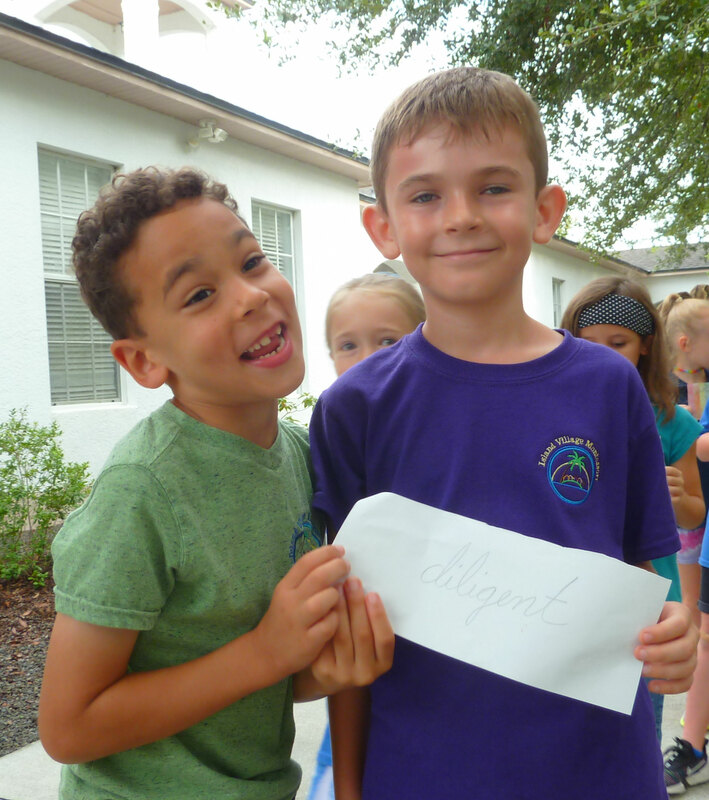 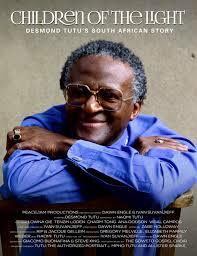 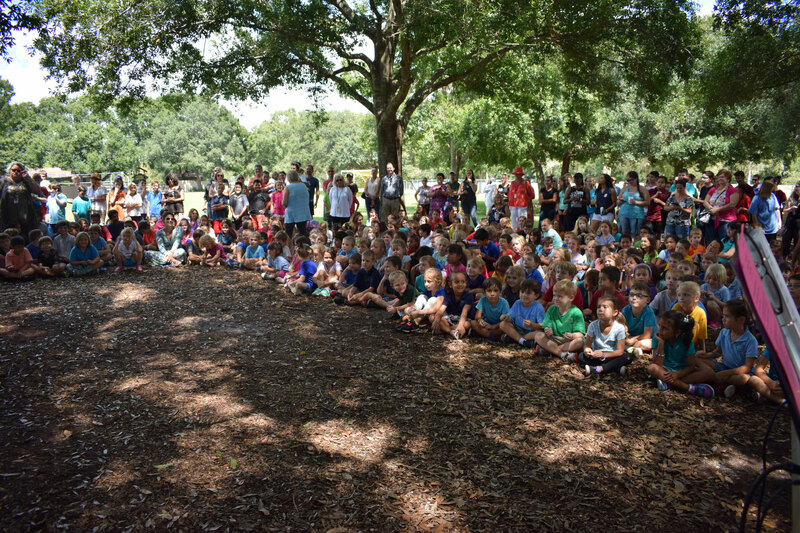 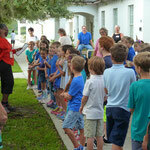 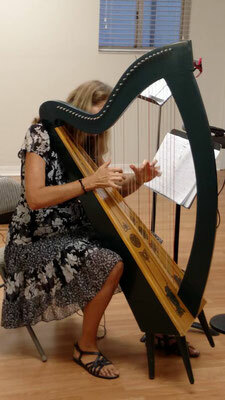 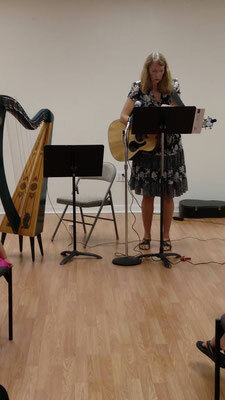 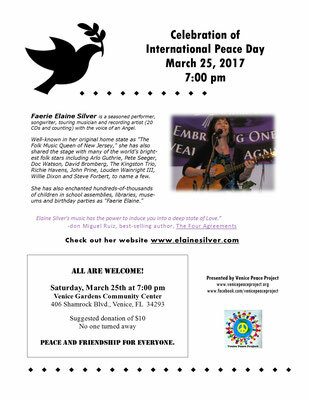 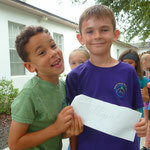 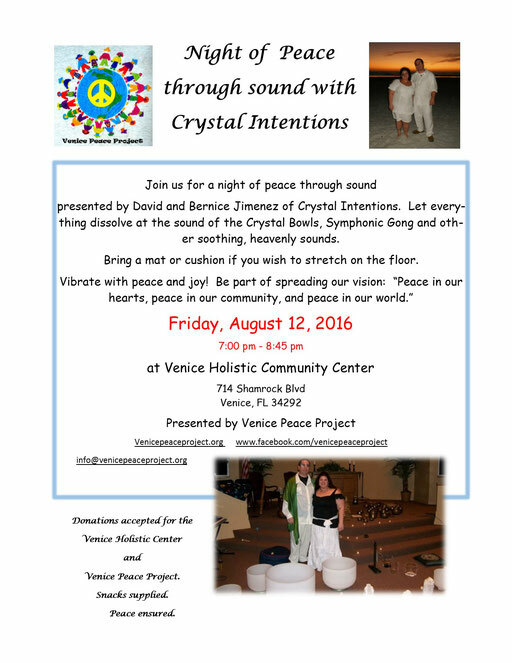 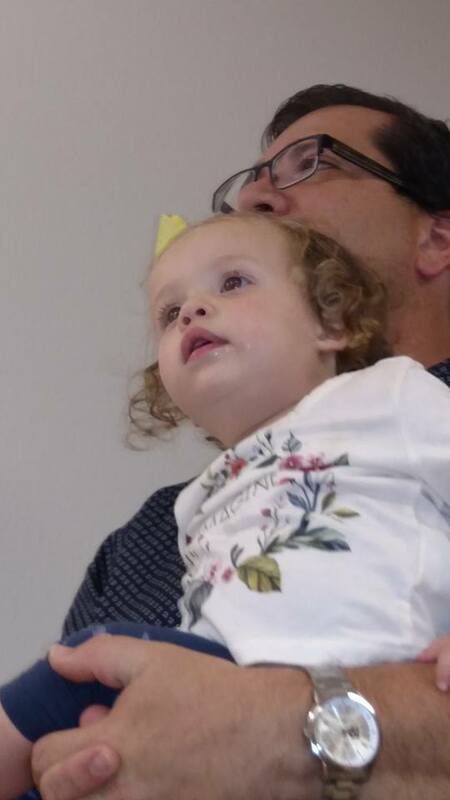 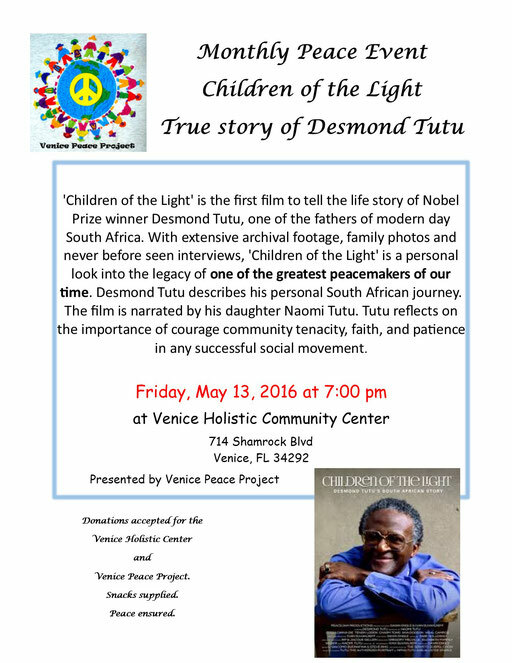 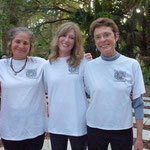 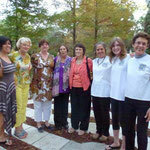 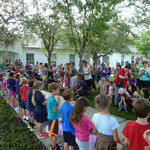 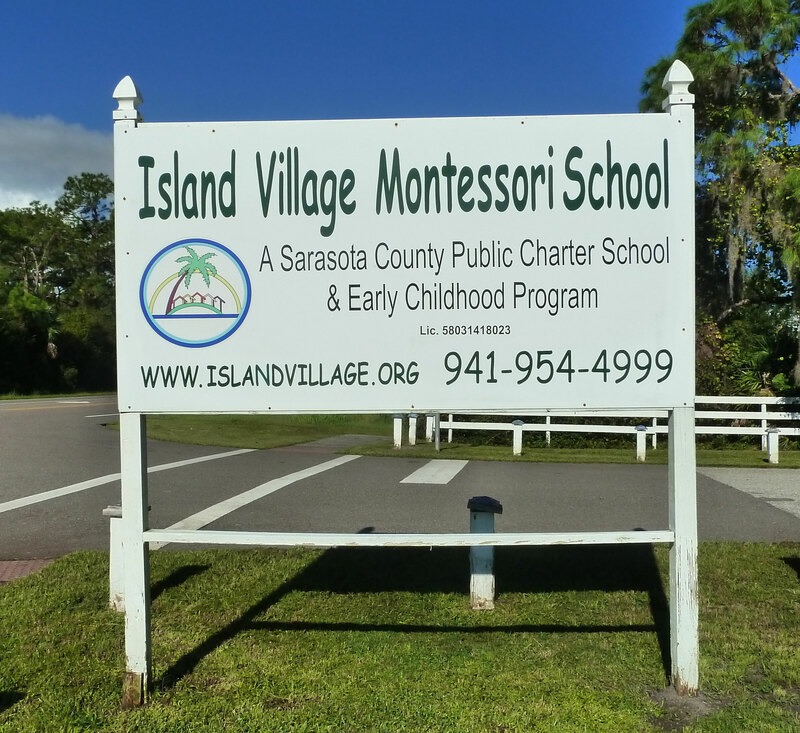 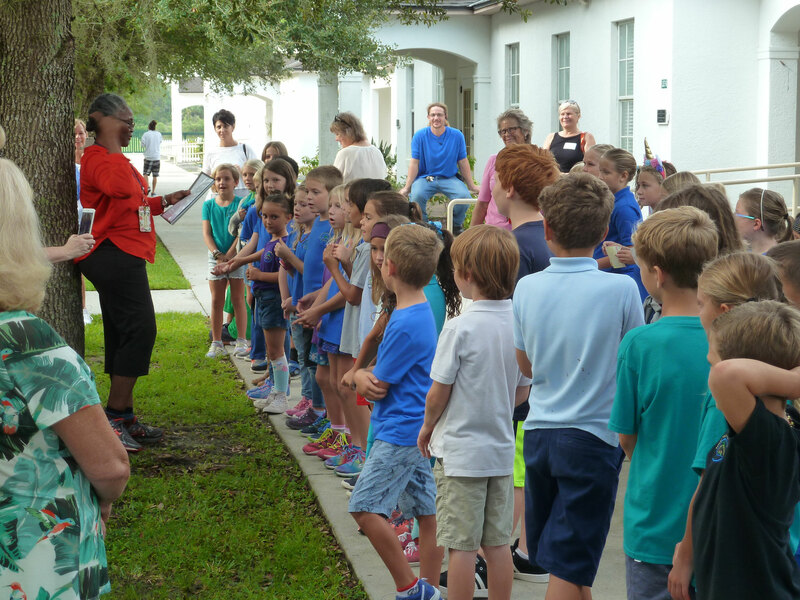 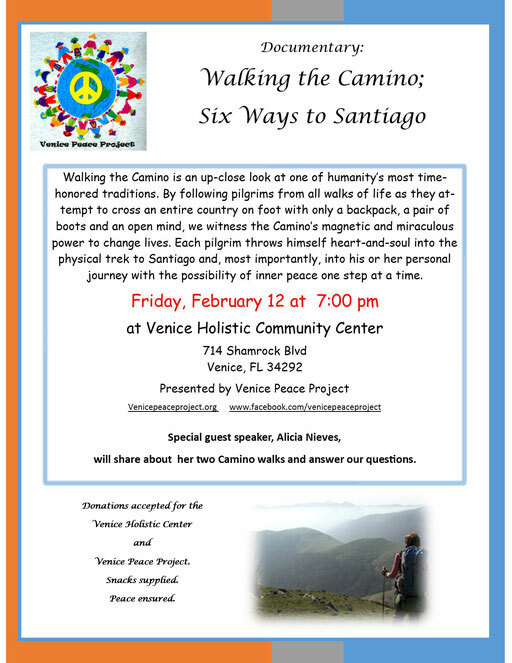 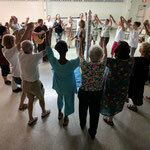 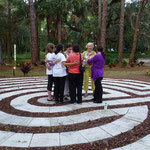 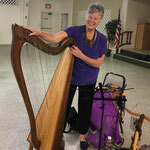 This event will took place at the Unitarian Universalist Congregation of Venice. 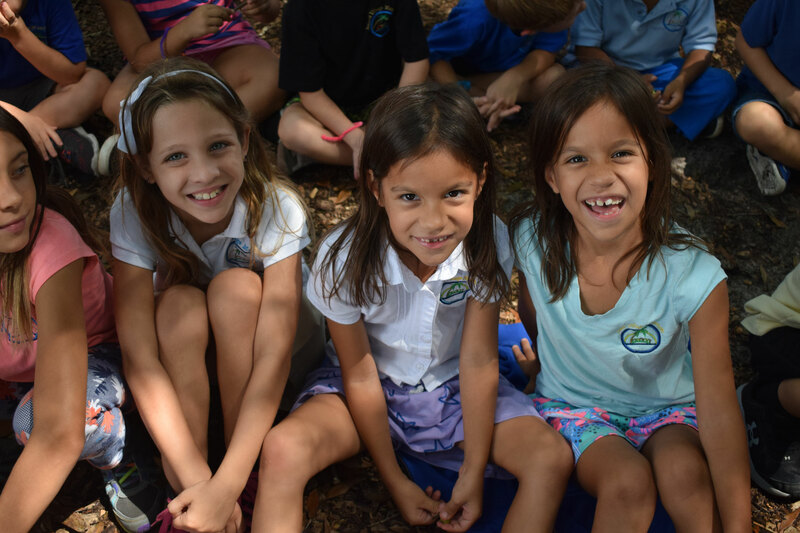 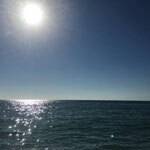 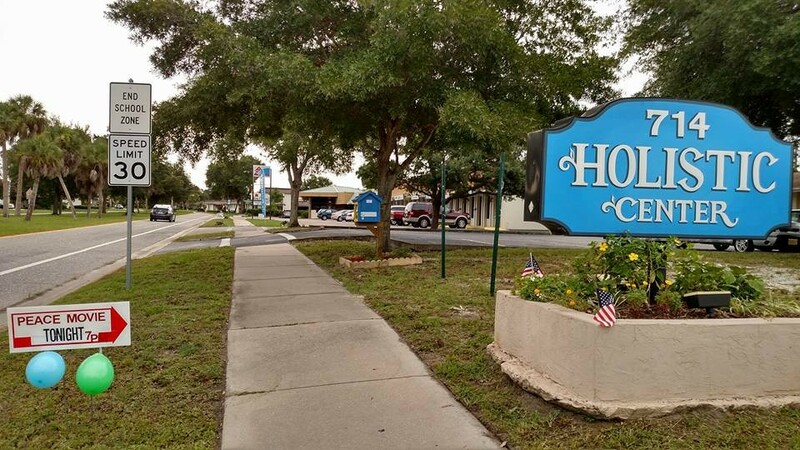 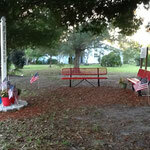 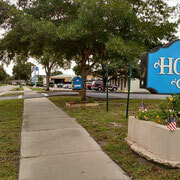 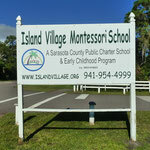 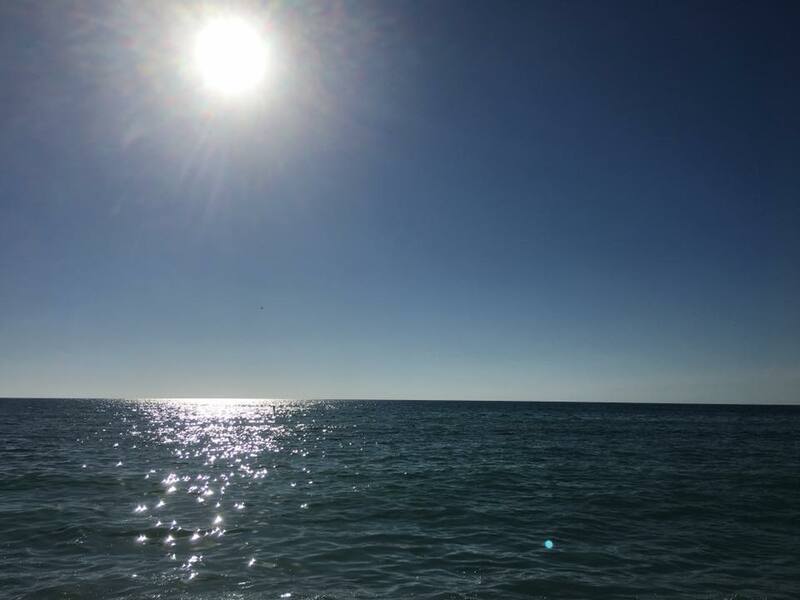 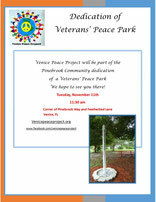 1971, Pinebrook Road, Venice, FL 34292 from 1 - 2:30 pm on Thursday, November 3rd. 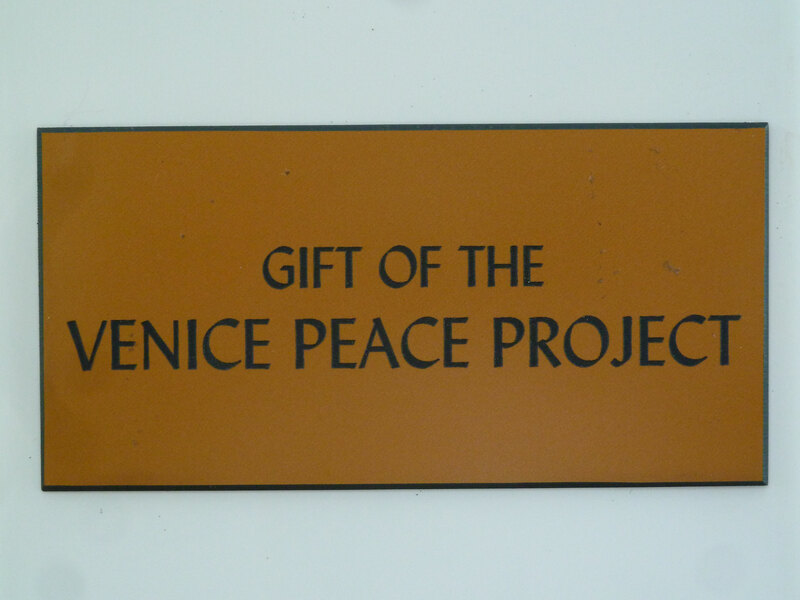 Want to find out more about Venice Peace Project? Want to be involved in helping without a specific monthly commitment? 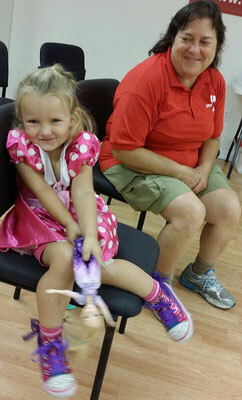 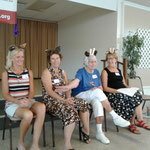 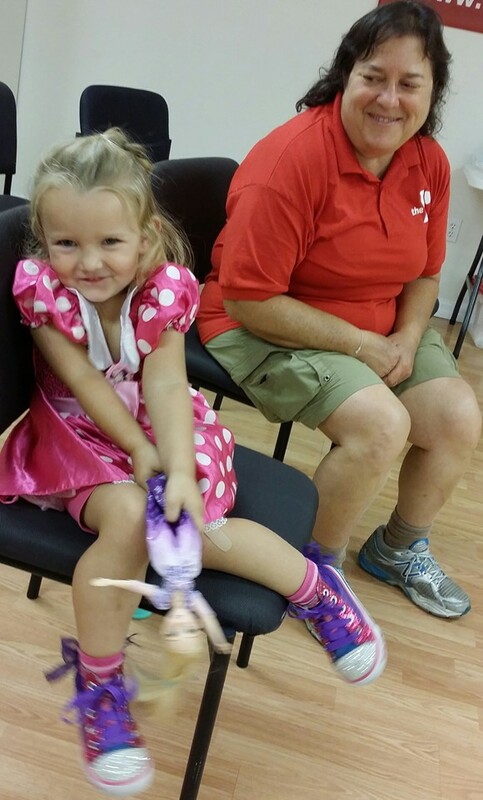 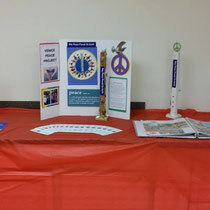 Come to our Volunteer Corps Orientation to learn more about us and how you might help. 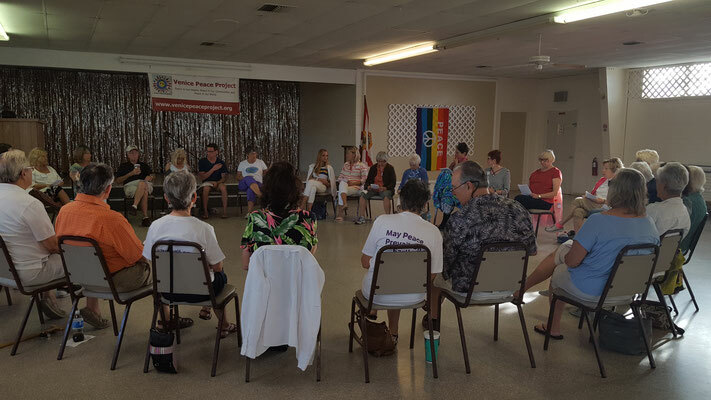 The orientation will offer background on VPP and hep you decide whether being part of this group with flexible service could be of interest to you. 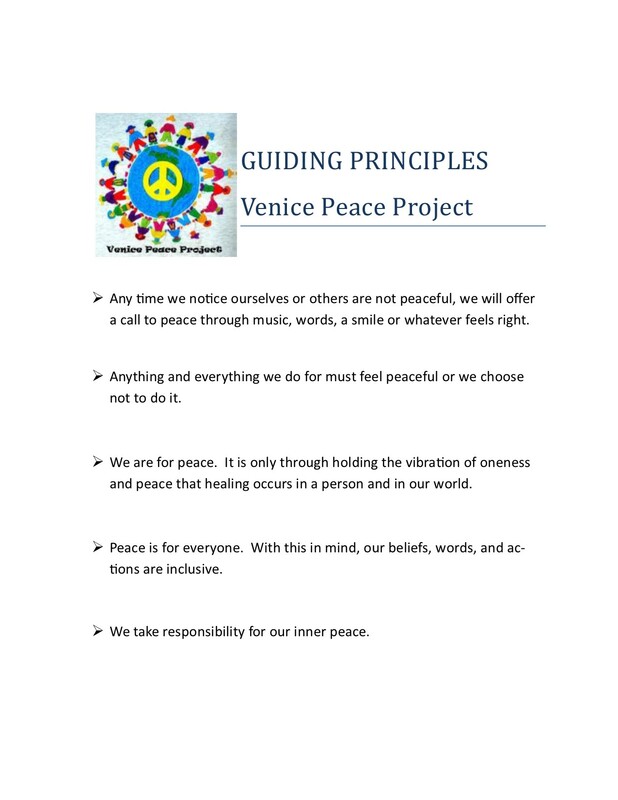 The orientation will include an introductory video, discussion of our Vision, Mission, Guiding Principles and what you might do to help us out! 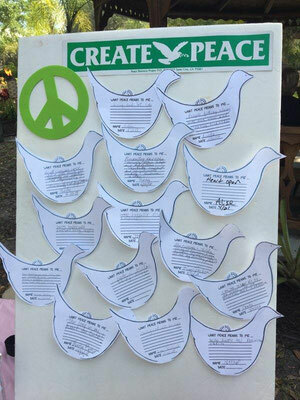 Decide whether you want to be part of spreading our vision of "Peace in our hearts, peace in our community, and peace in our world." 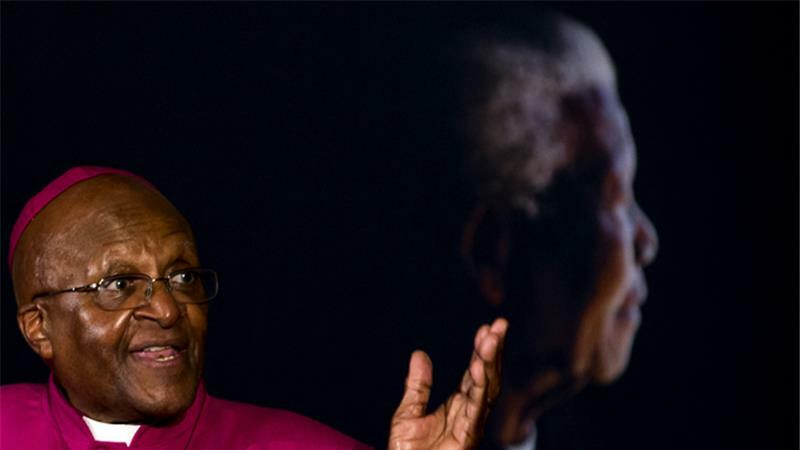 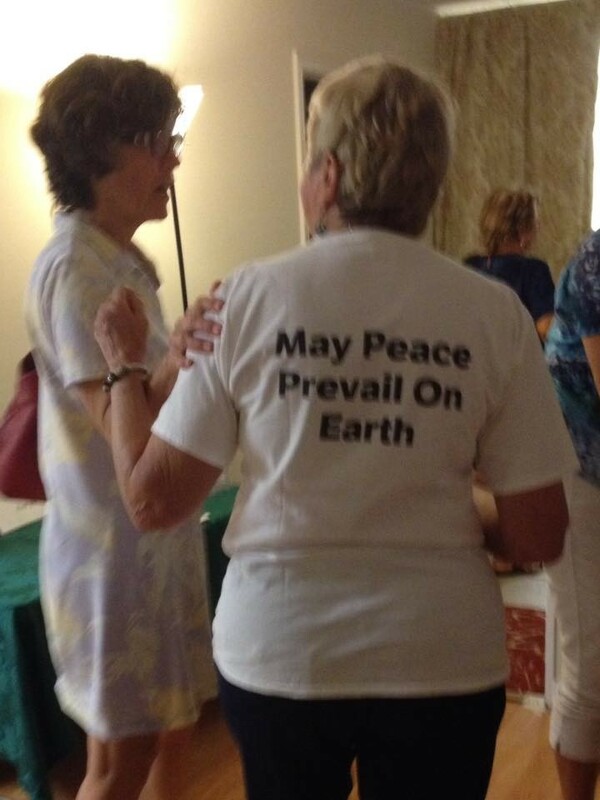 What an inspiring woman! 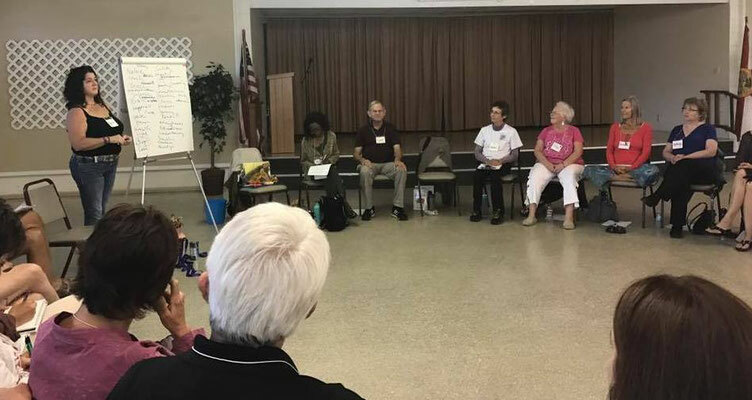 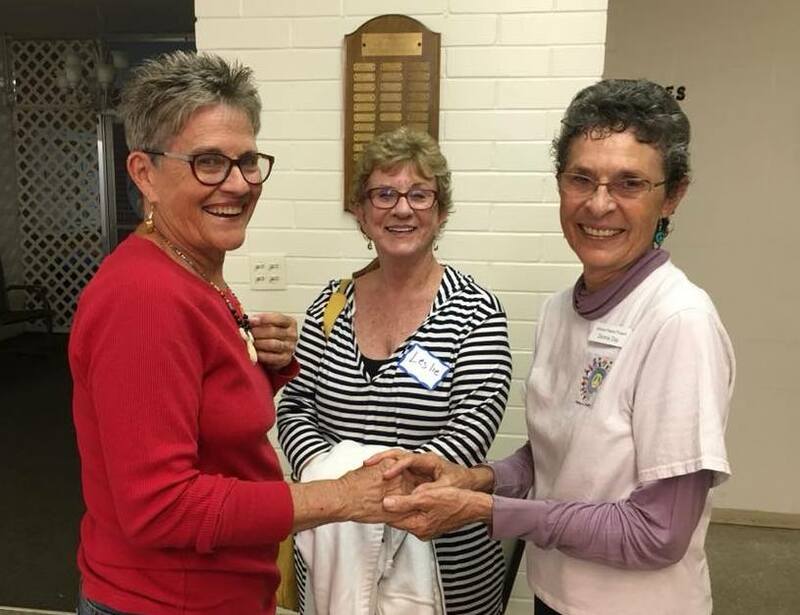 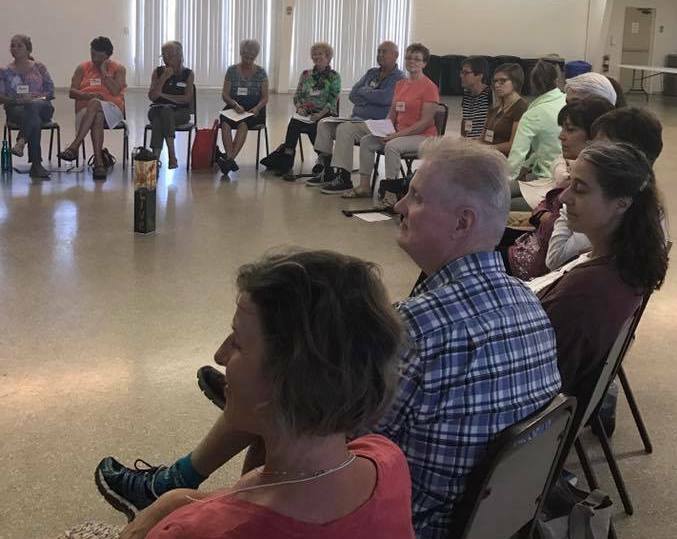 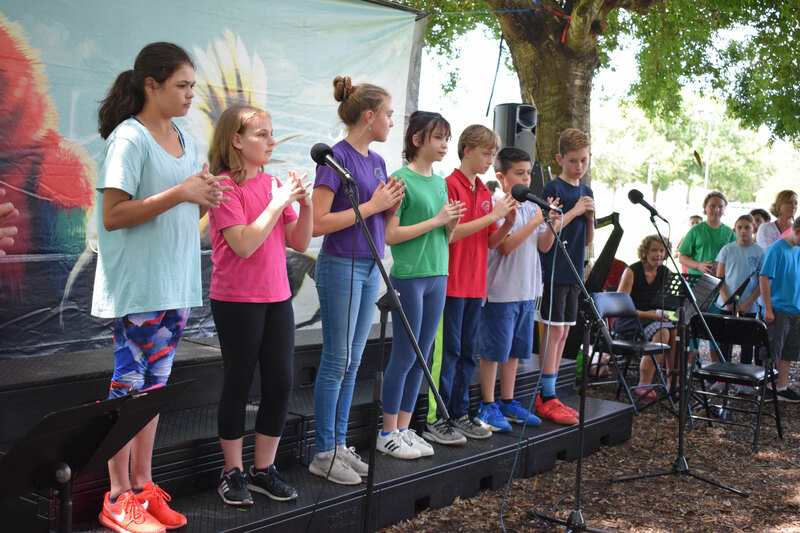 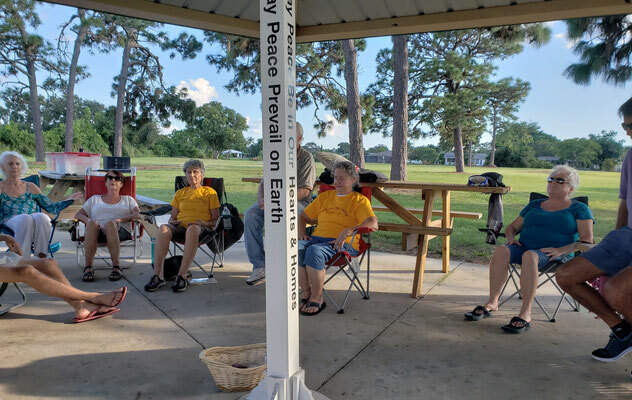 We were honored by the presence of many peace advocates who share our vision of "Peace in our hearts, peace in our community, and peace in our world." Thank you all so very much! 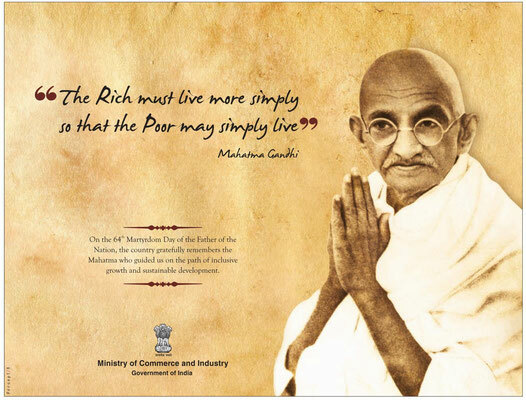 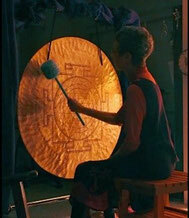 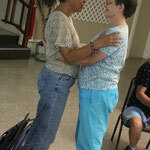 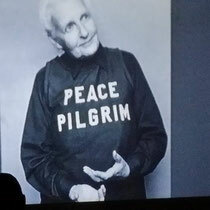 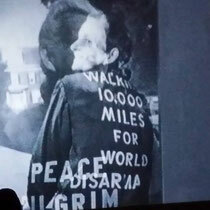 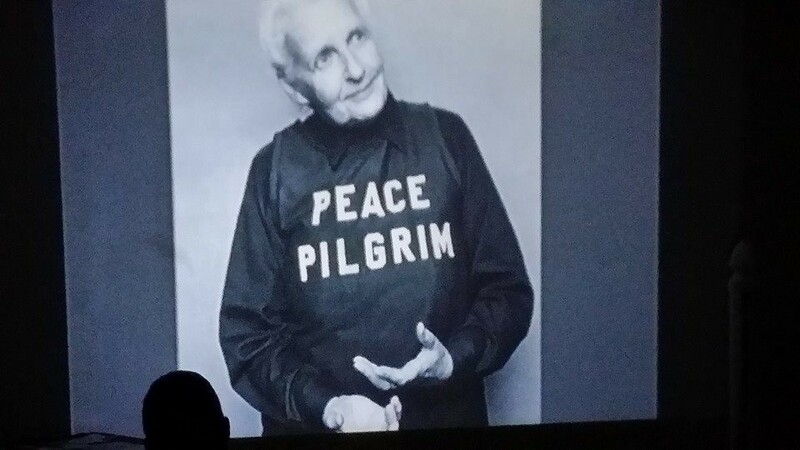 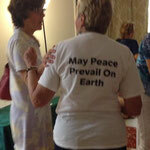 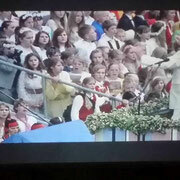 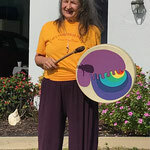 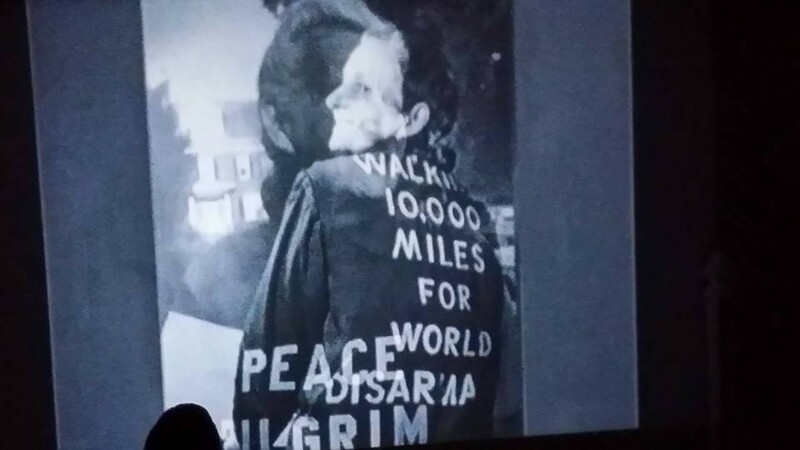 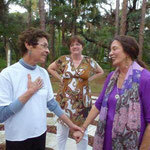 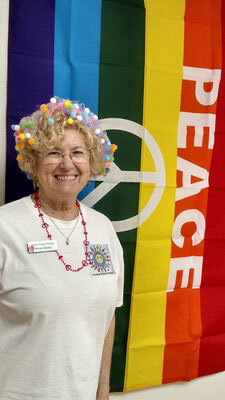 This vision is totally in alignment with Peace Pilgrim who reminded us that peace always begins with inner peace. 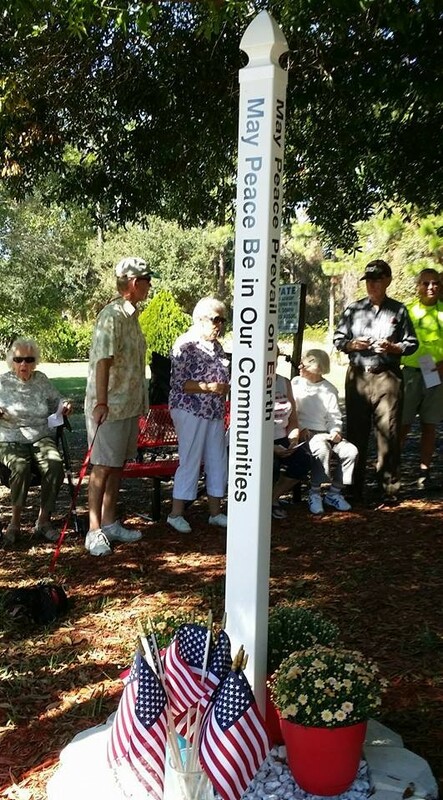 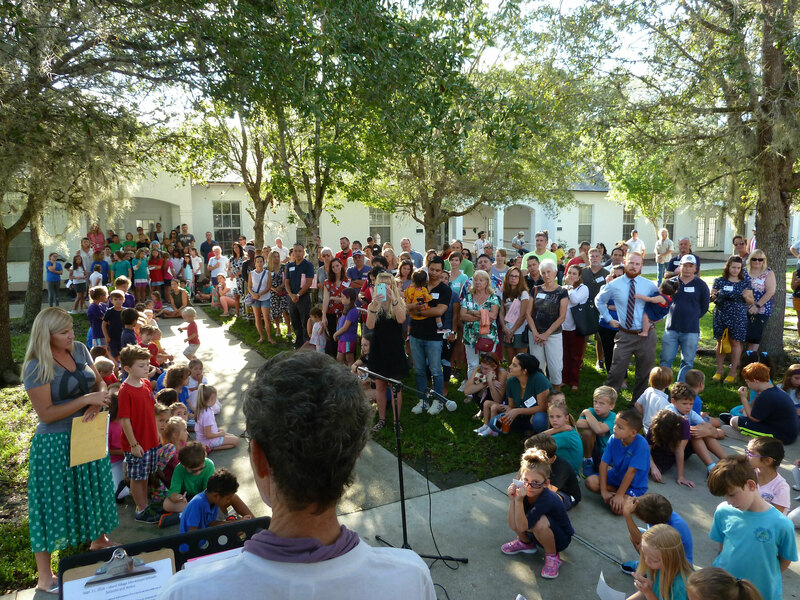 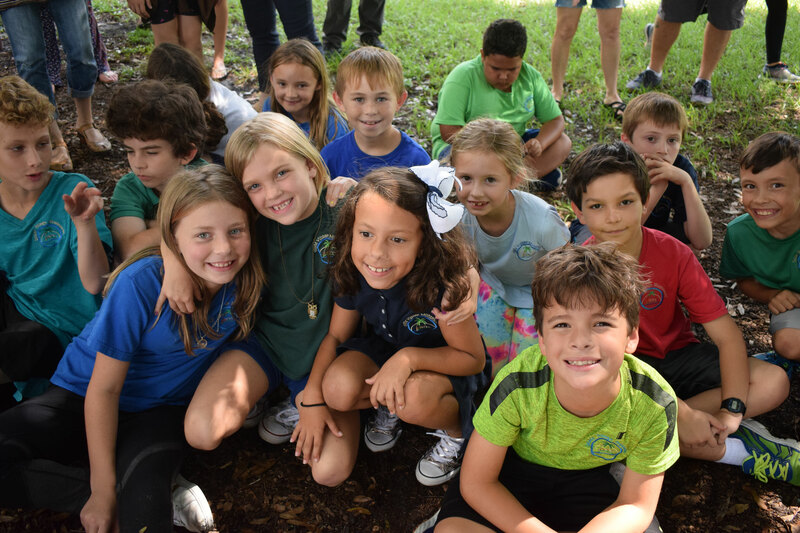 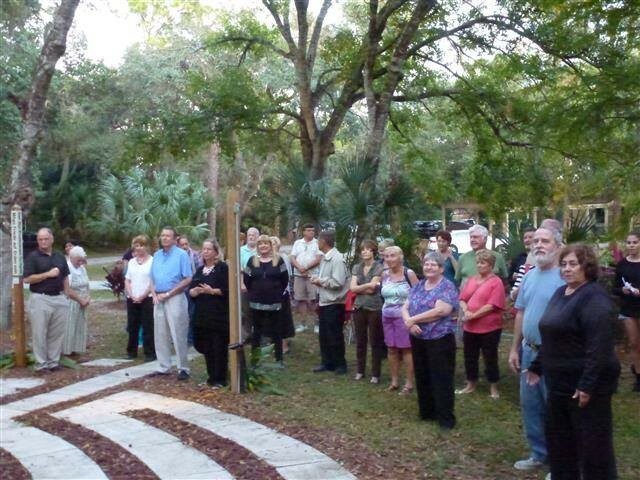 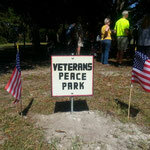 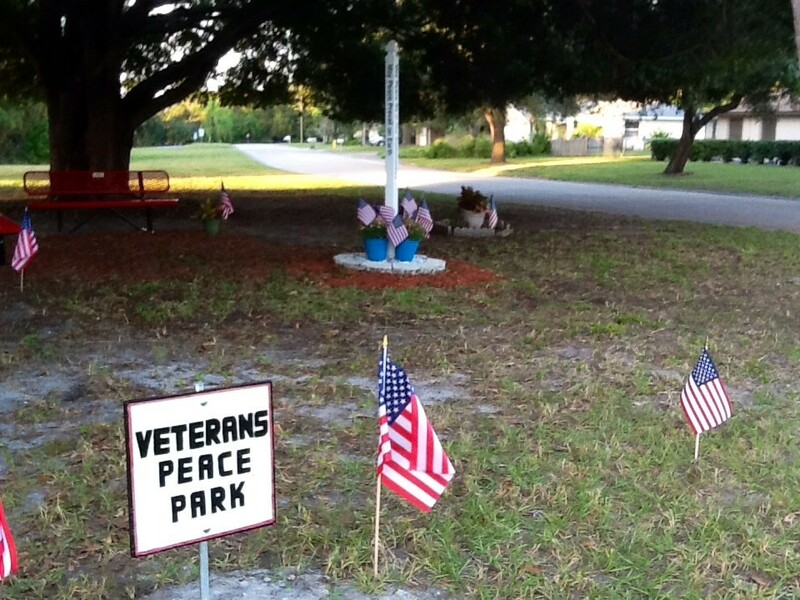 Dedication of Pinebrook Community's Veterans Peace Park on November 11, 2014. 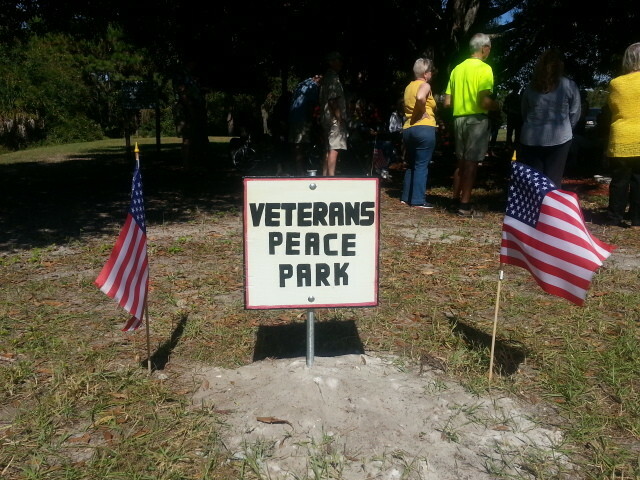 It was a profound and moving event with many Veterans present and honored. 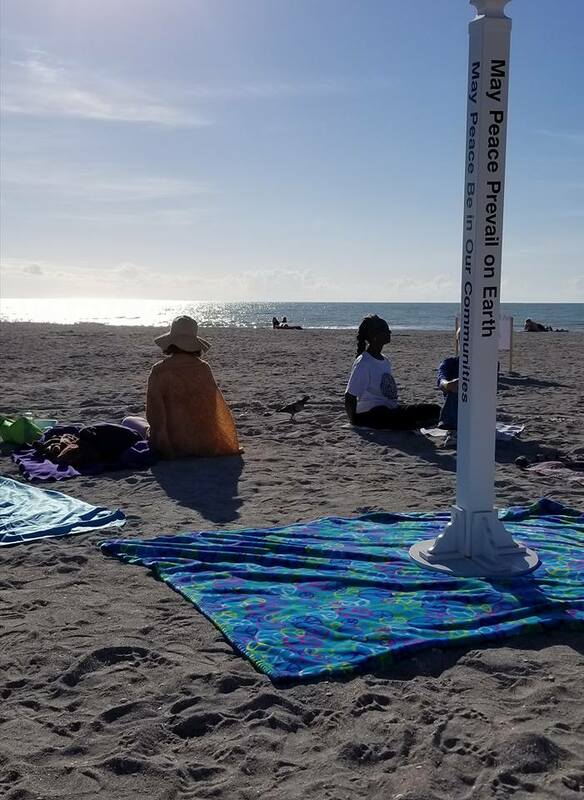 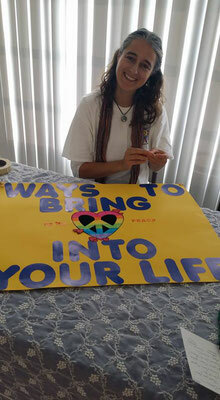 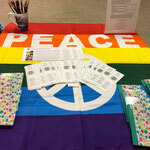 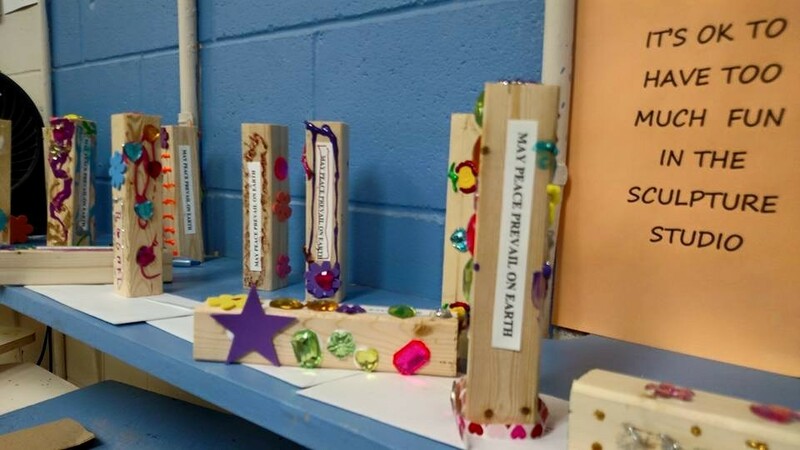 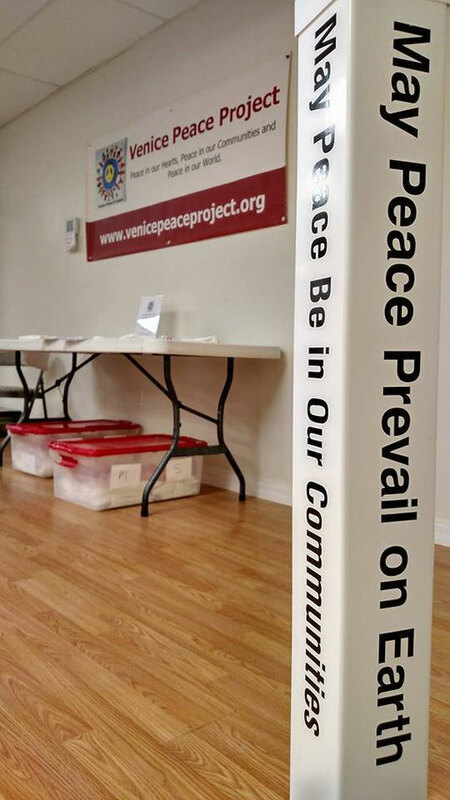 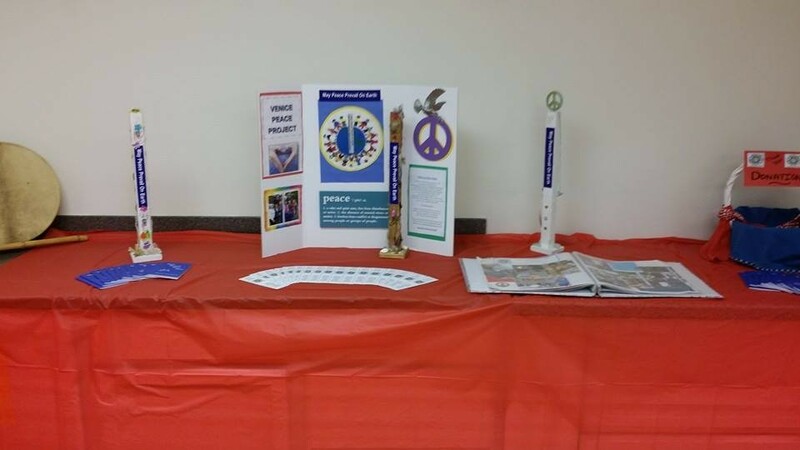 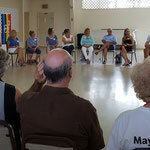 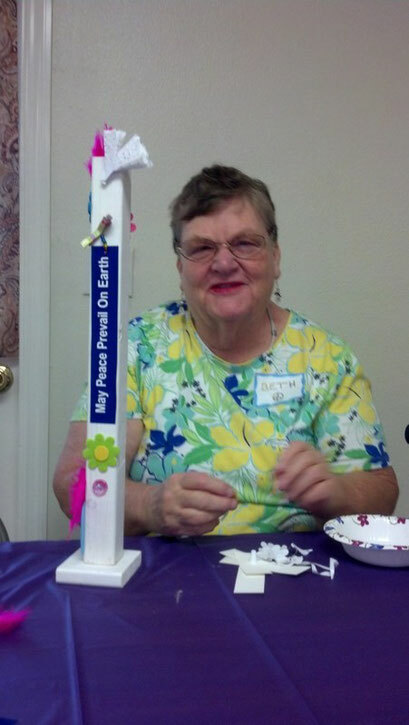 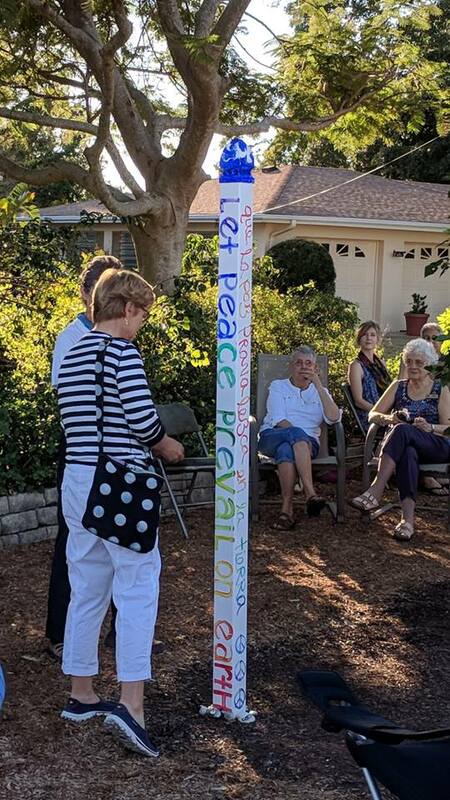 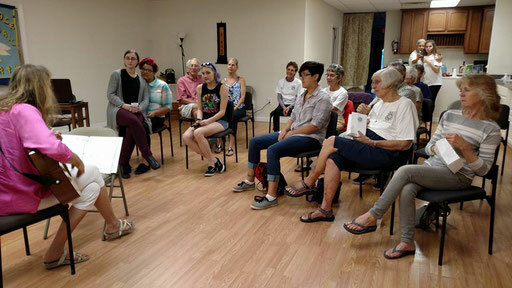 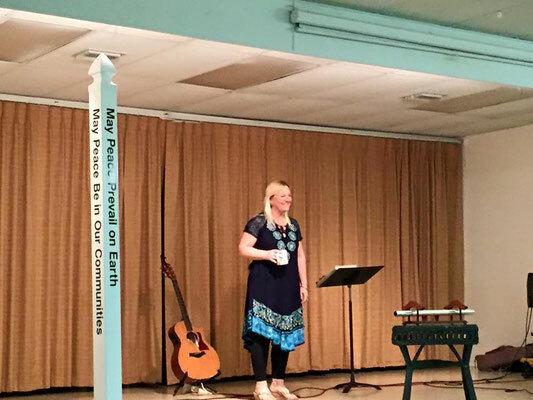 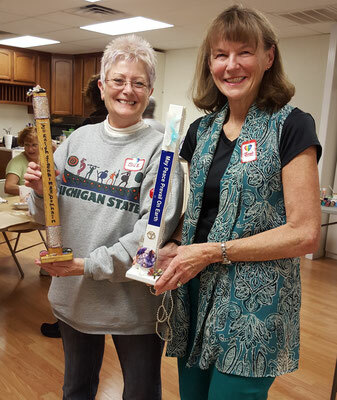 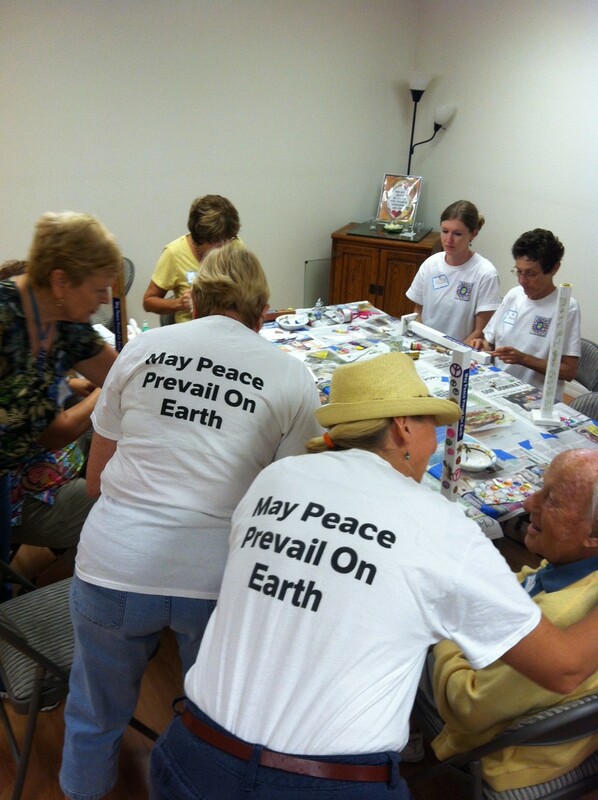 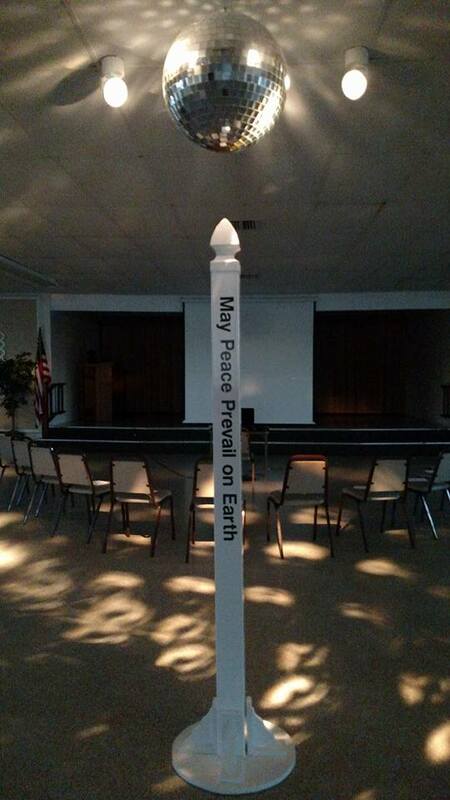 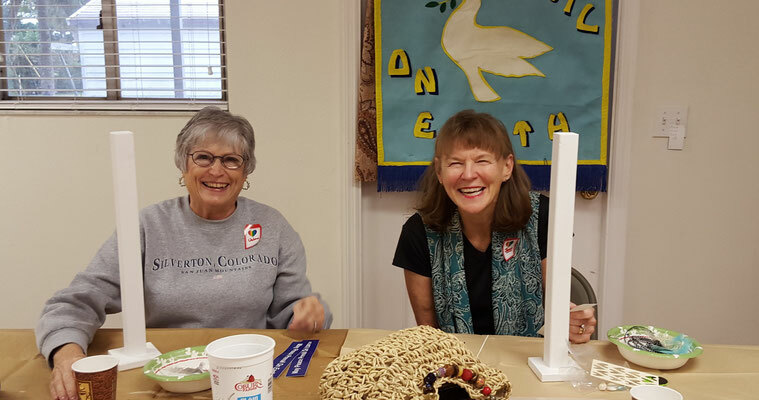 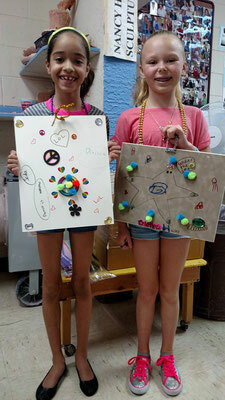 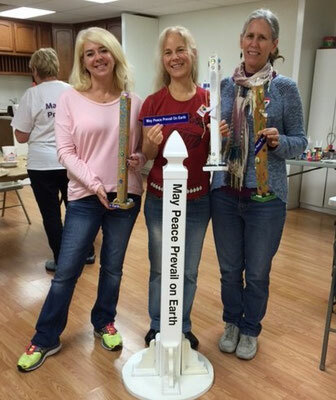 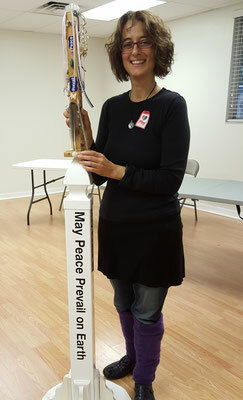 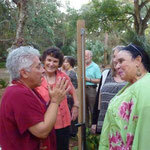 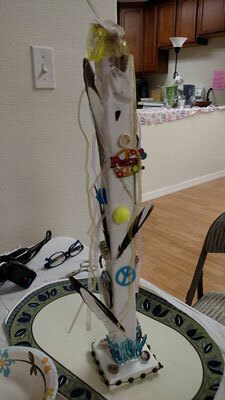 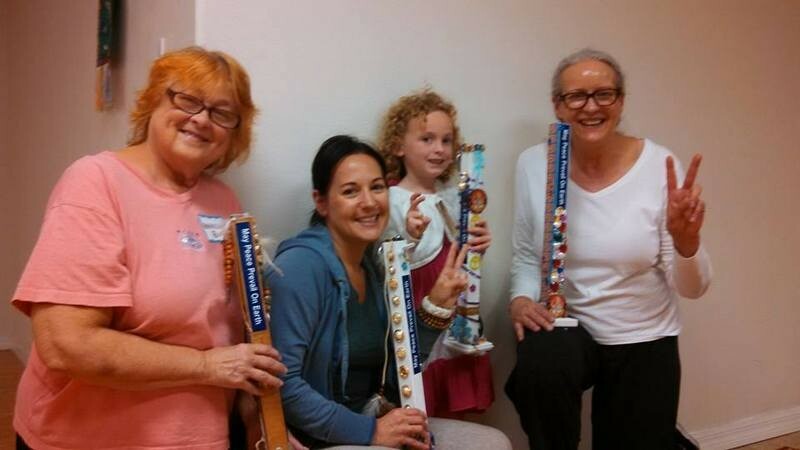 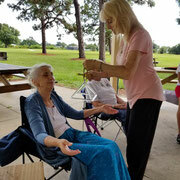 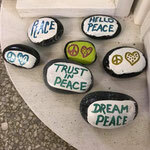 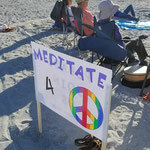 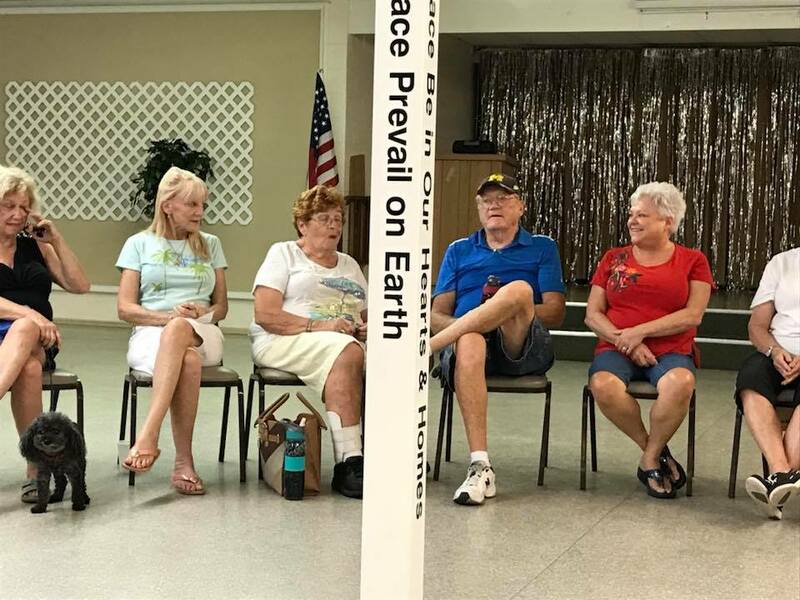 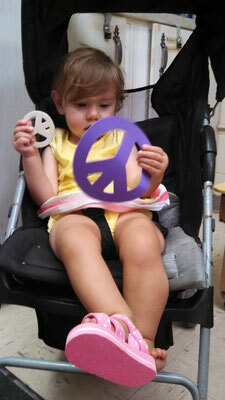 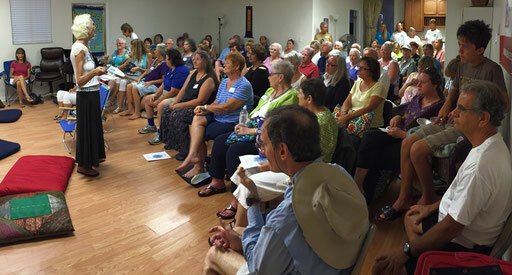 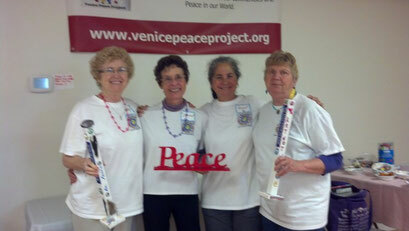 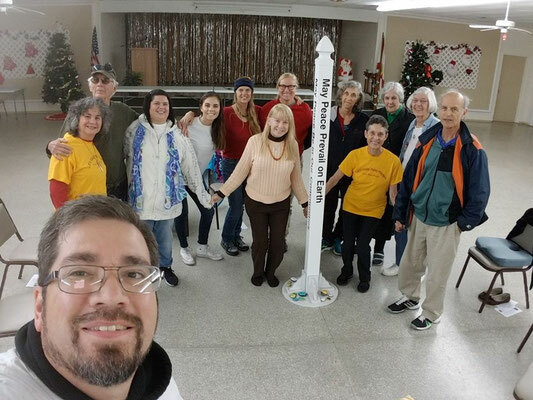 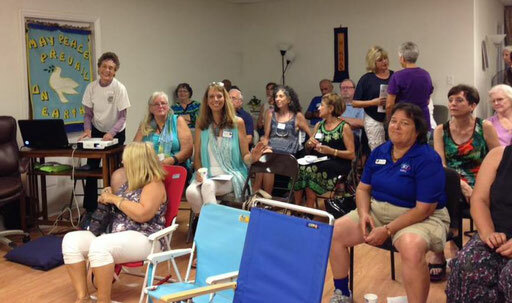 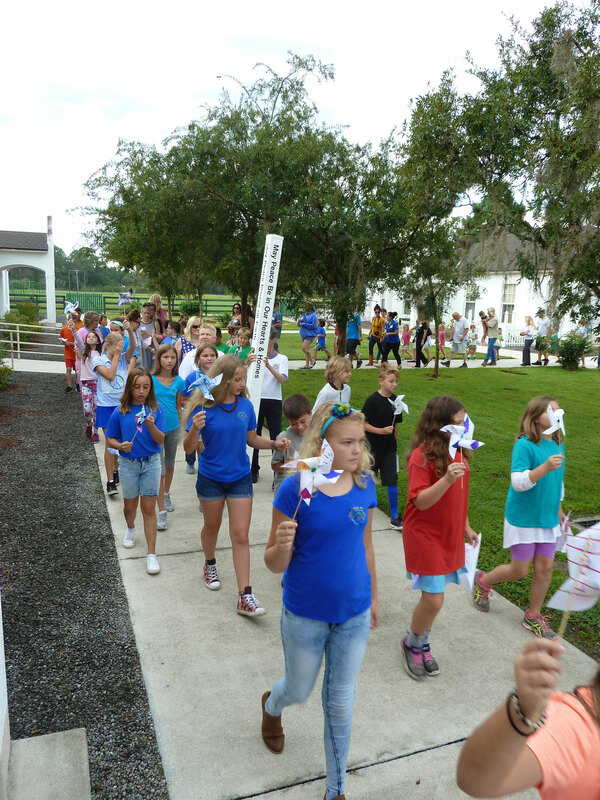 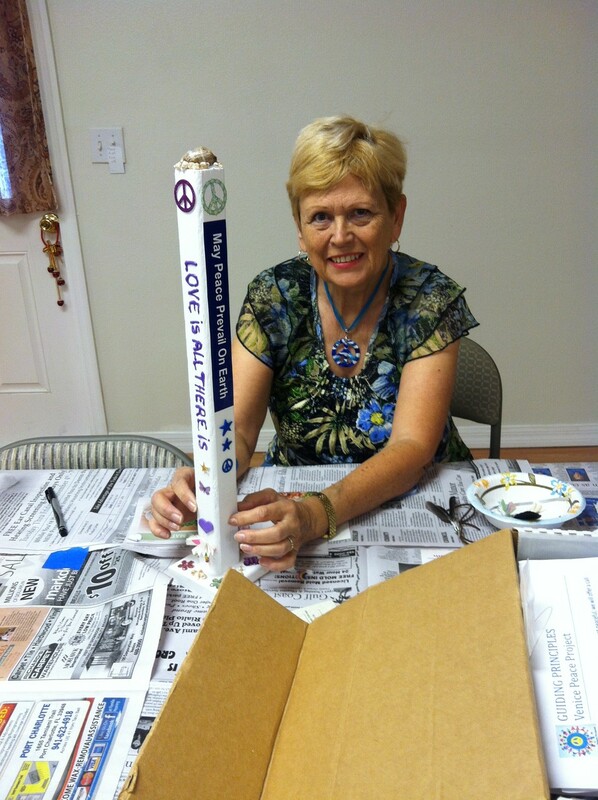 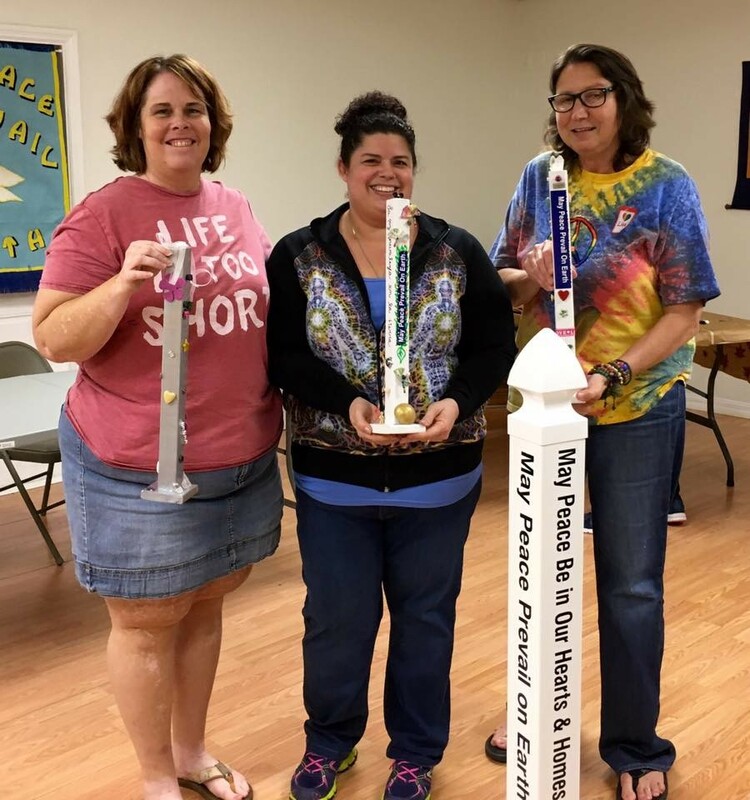 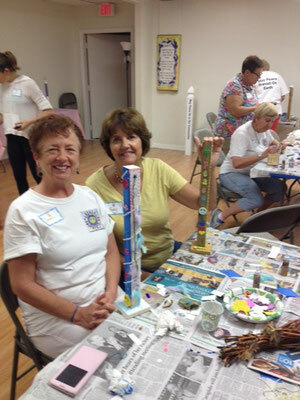 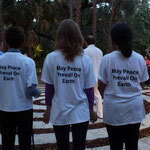 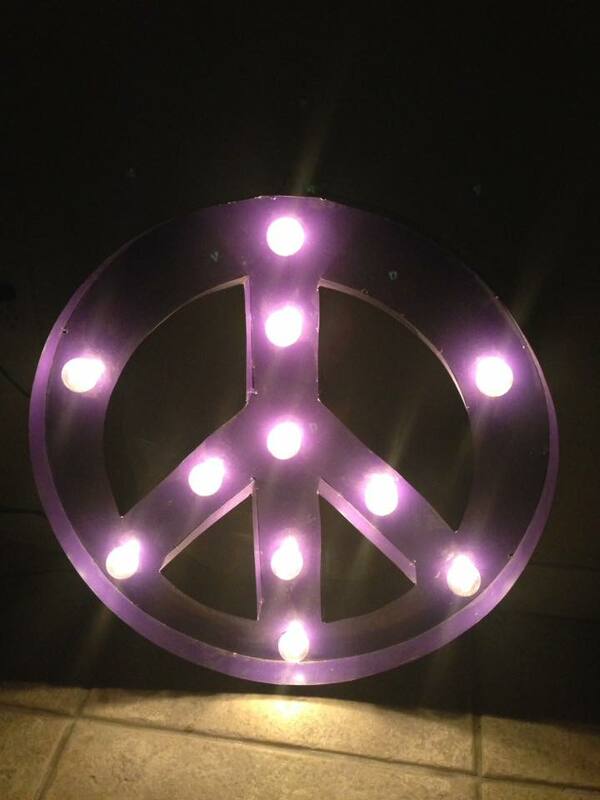 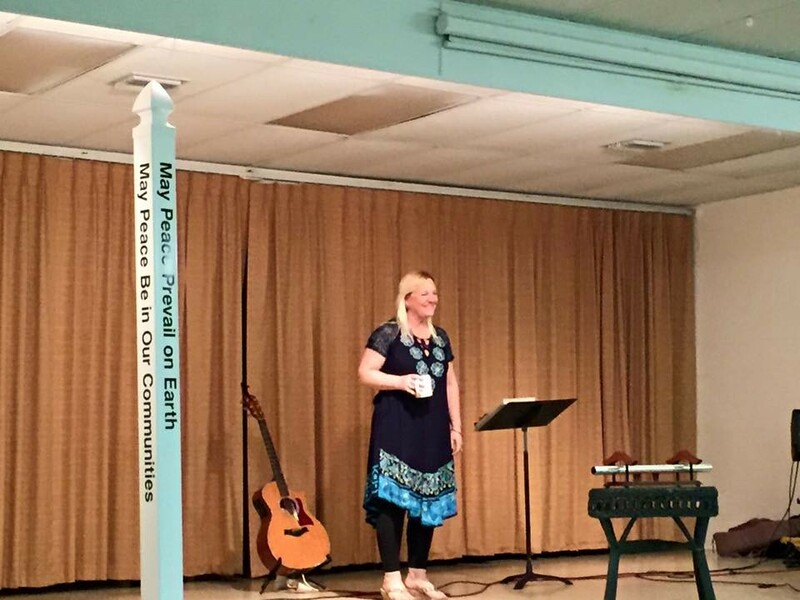 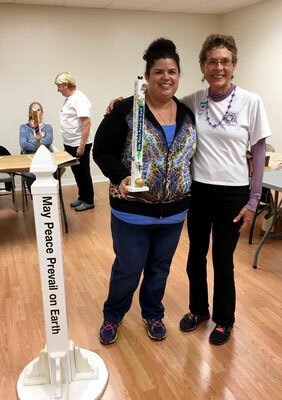 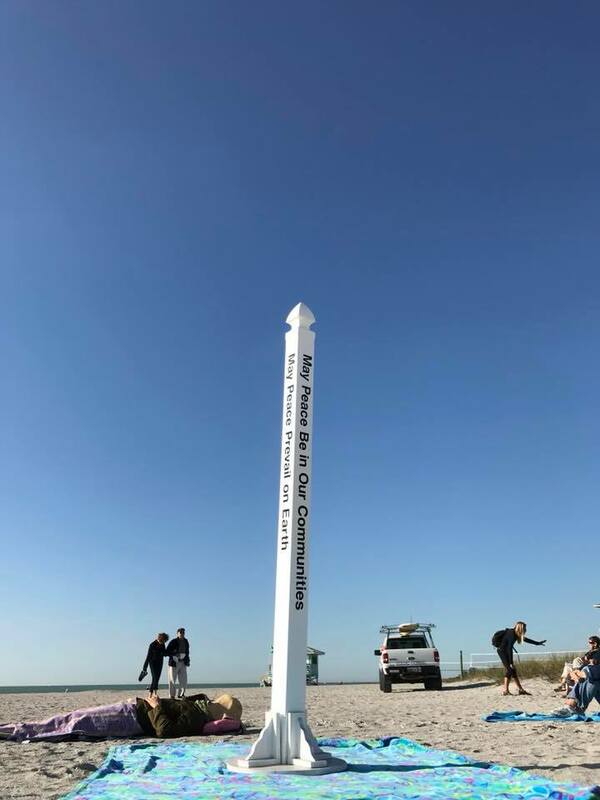 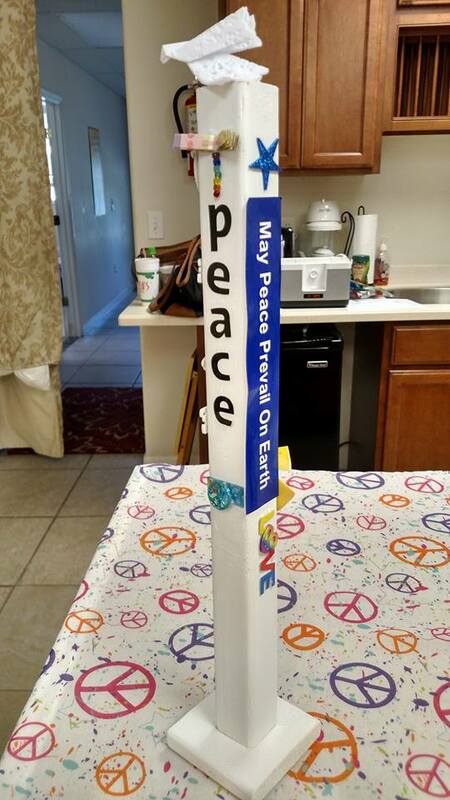 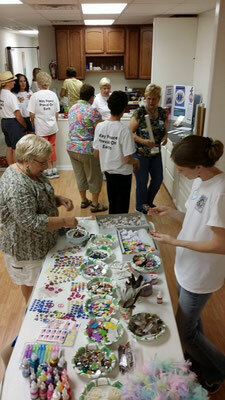 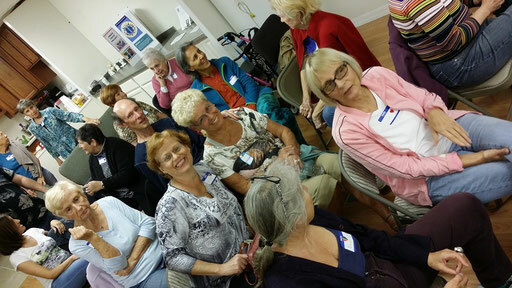 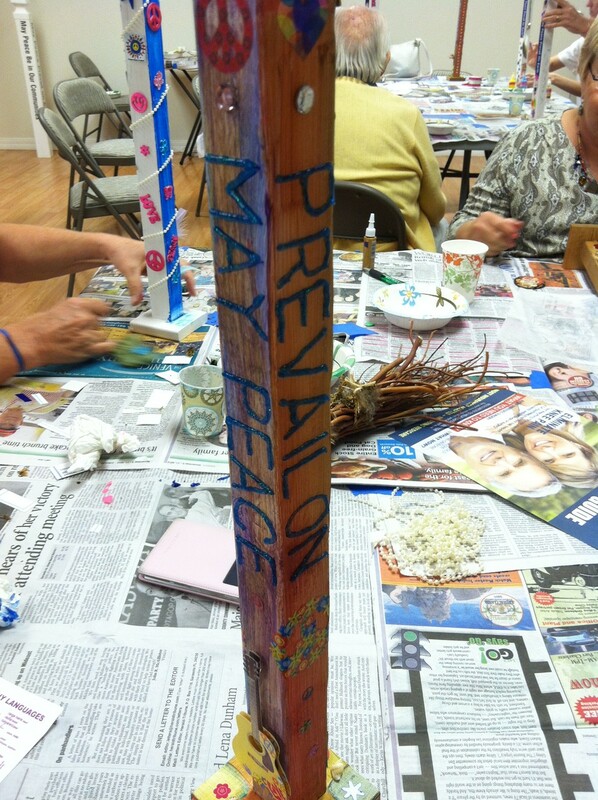 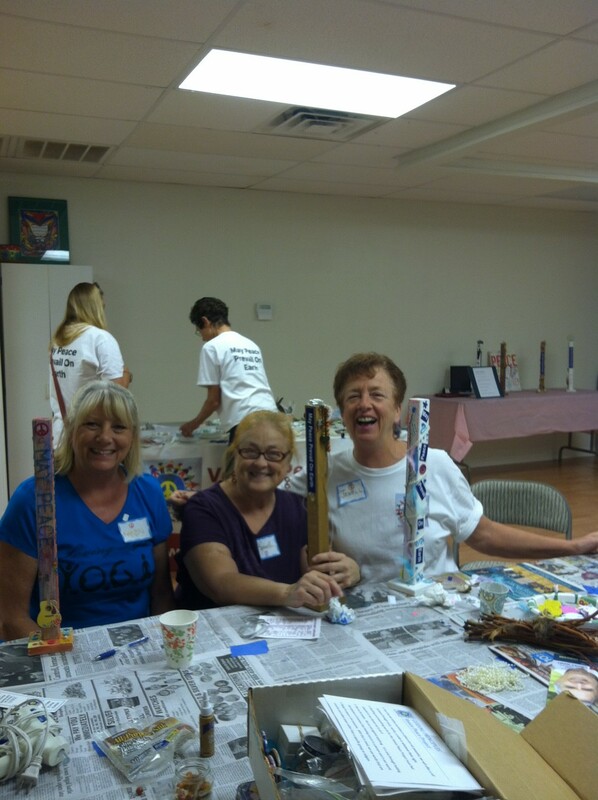 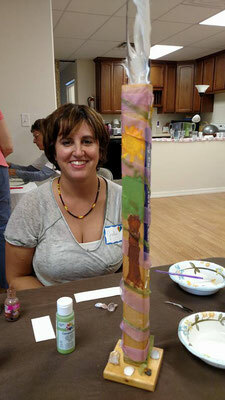 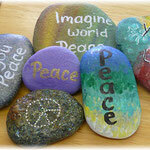 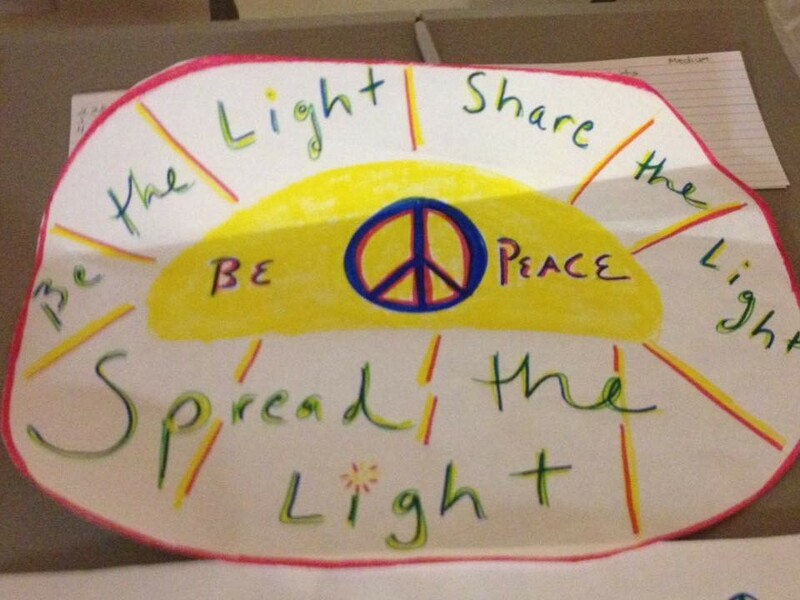 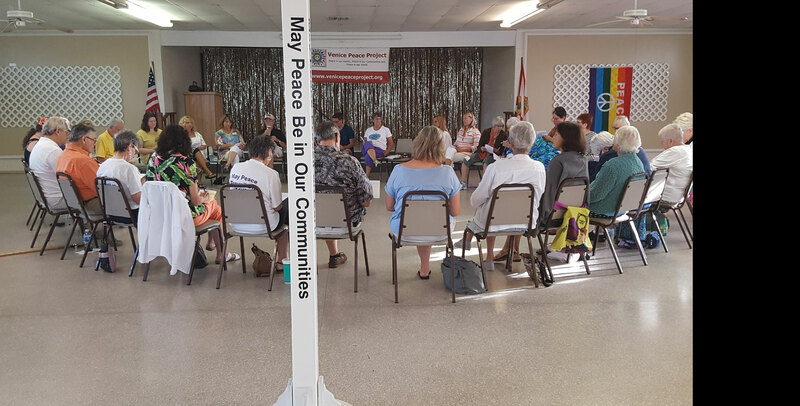 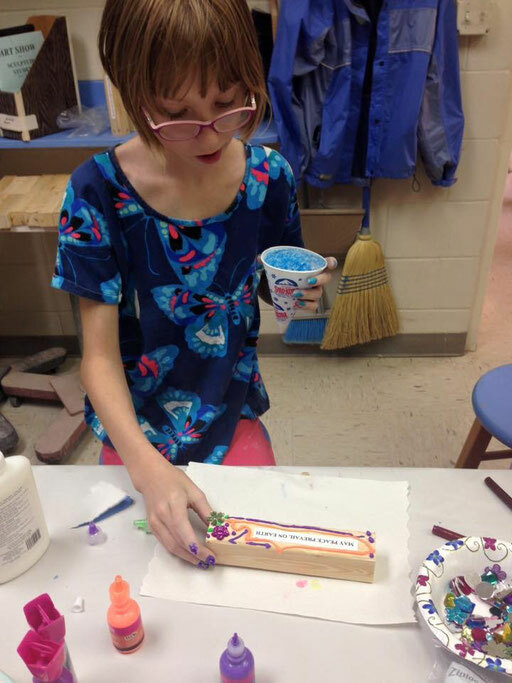 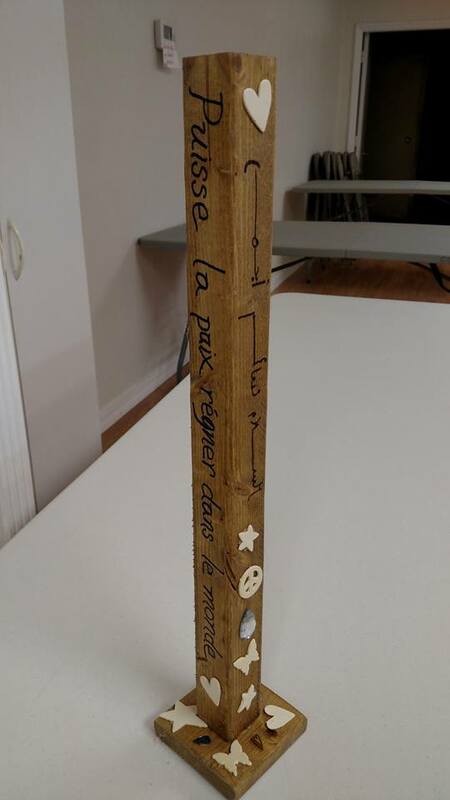 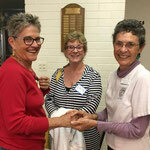 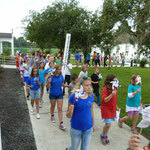 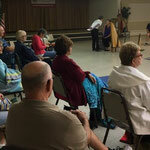 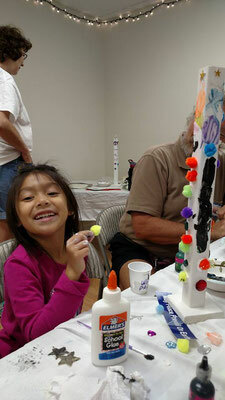 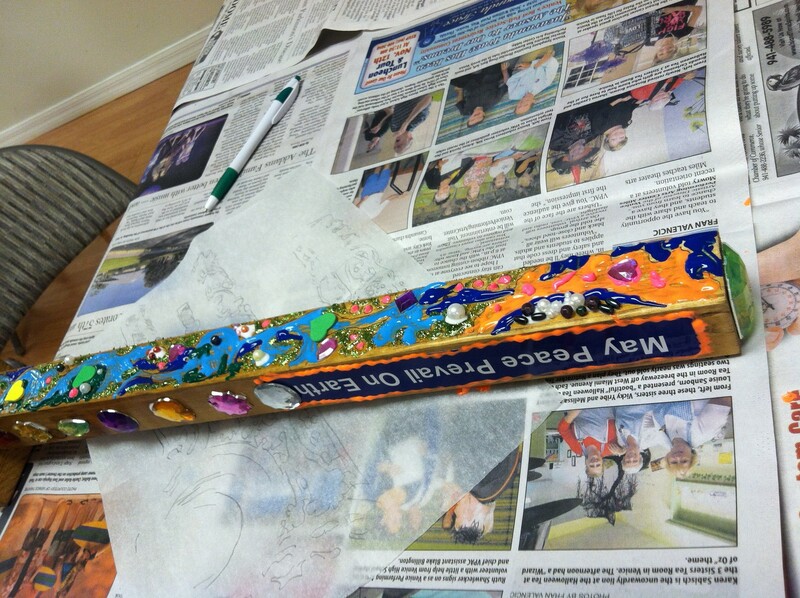 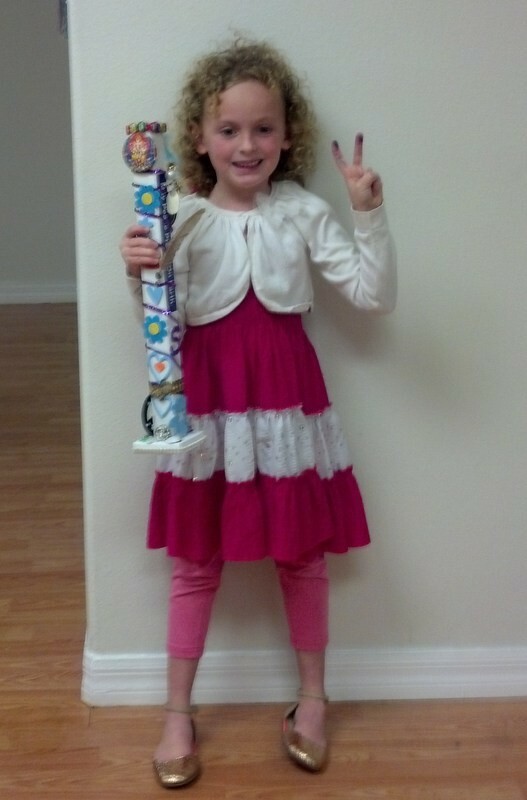 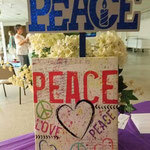 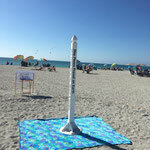 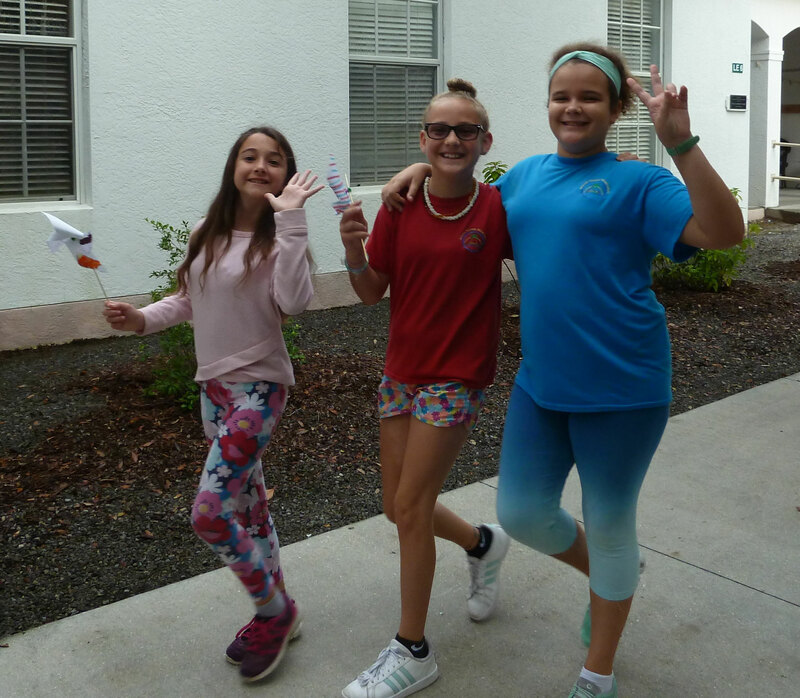 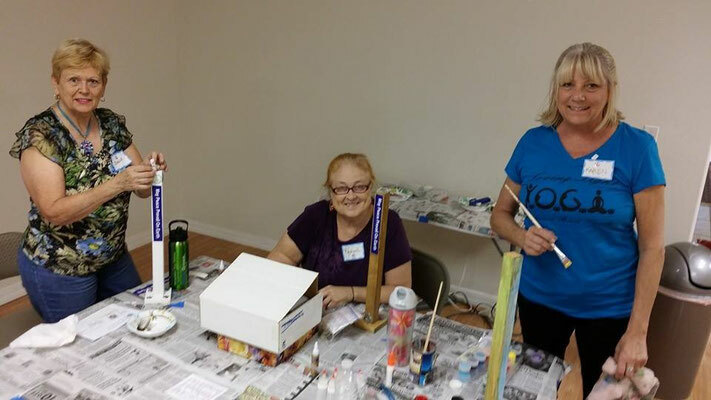 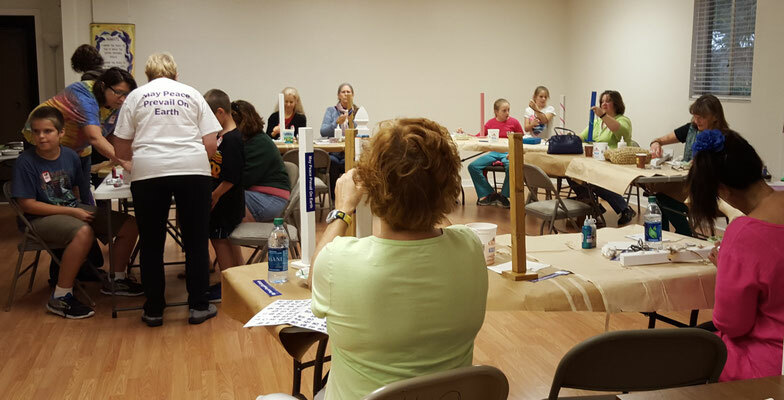 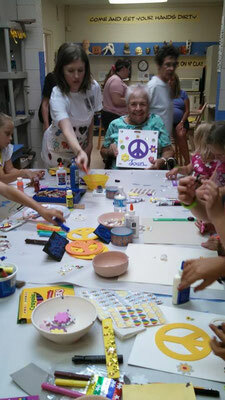 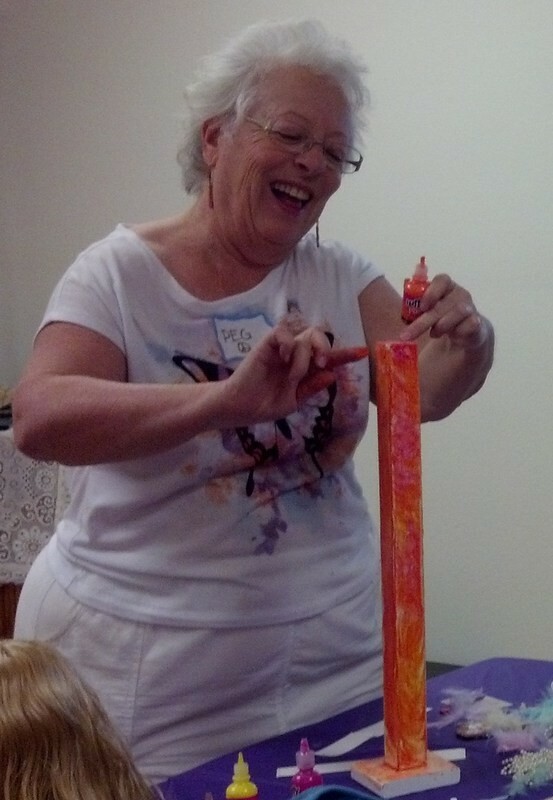 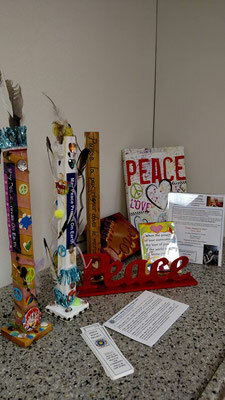 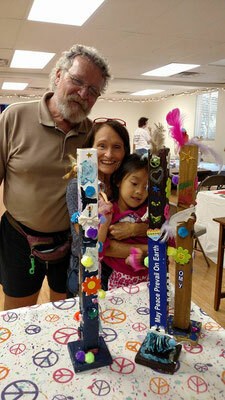 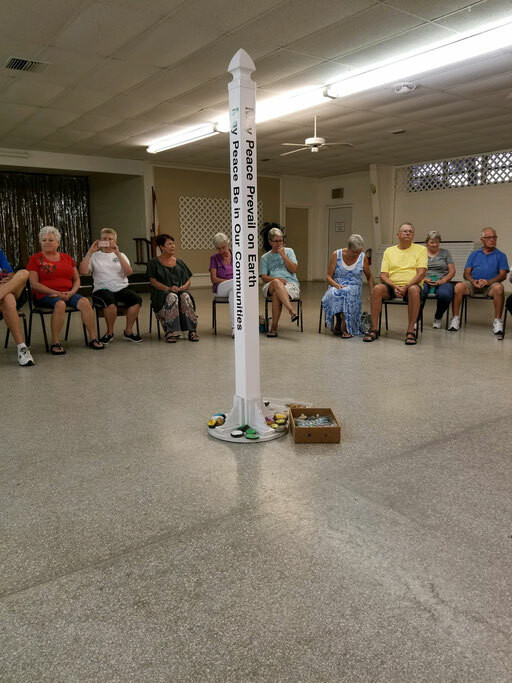 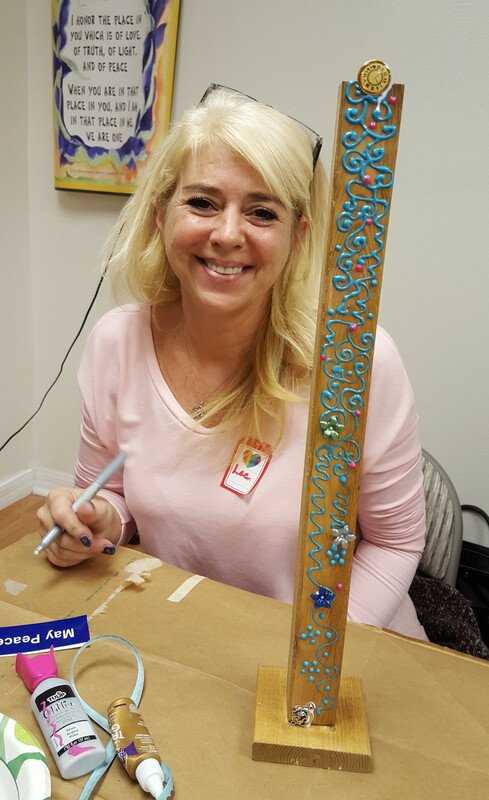 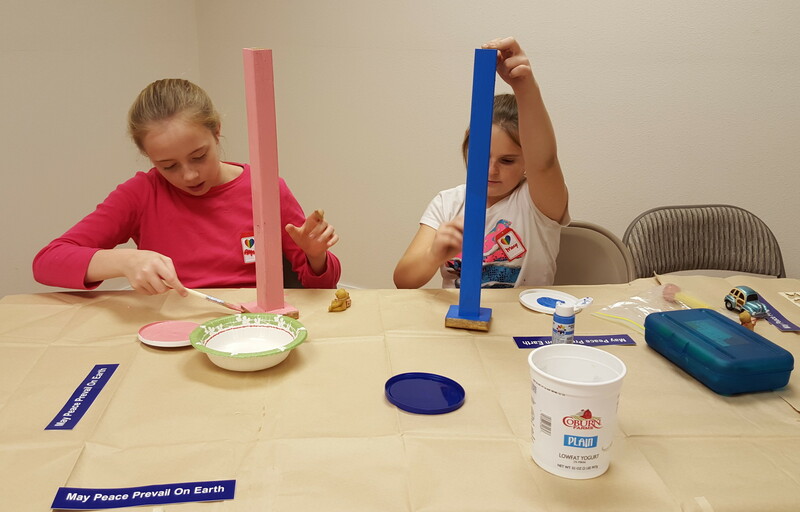 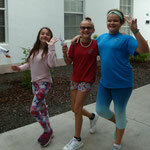 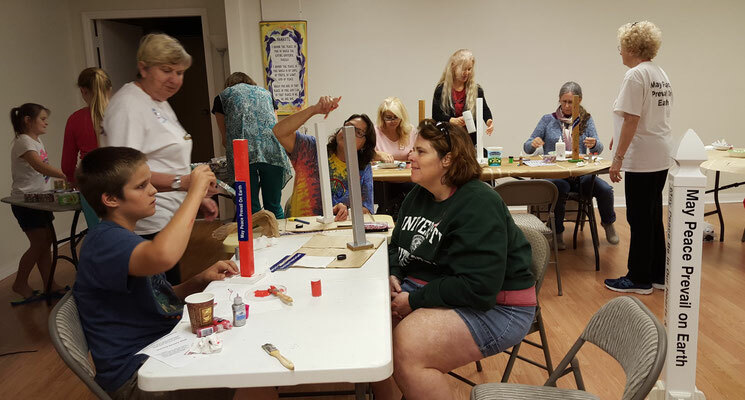 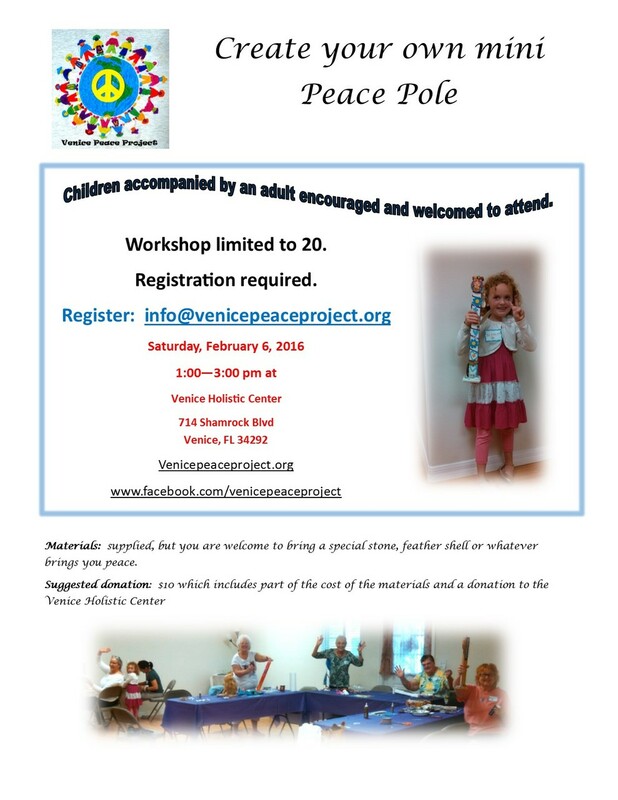 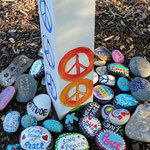 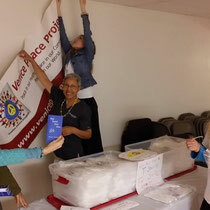 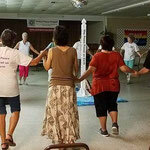 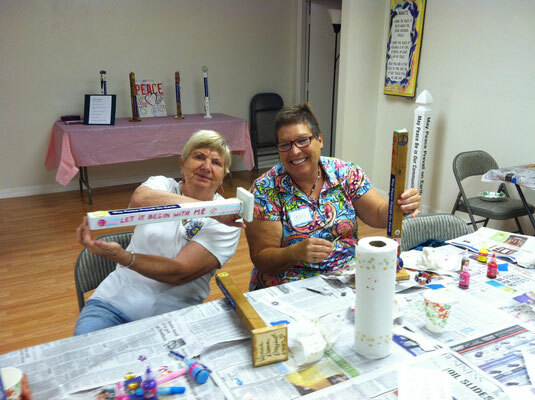 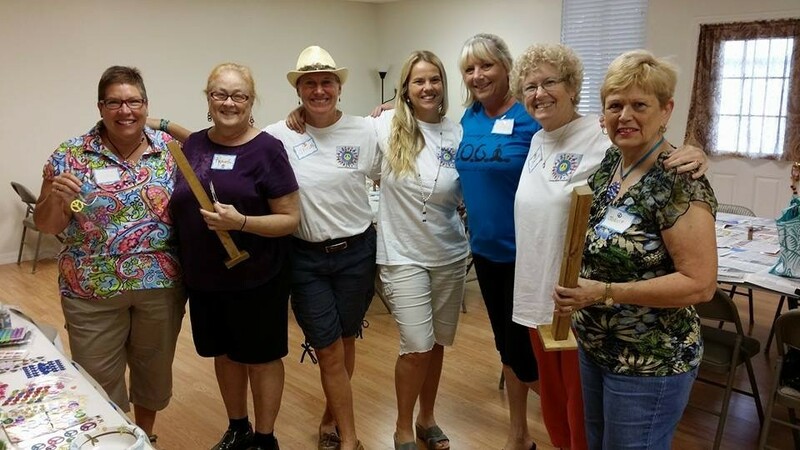 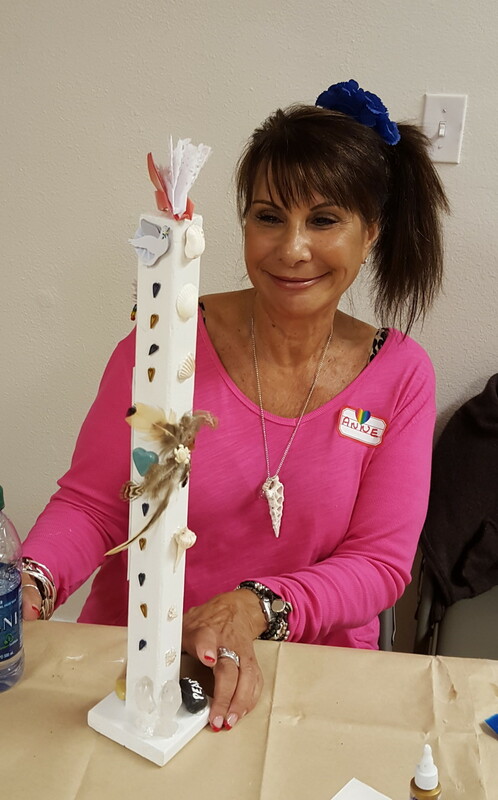 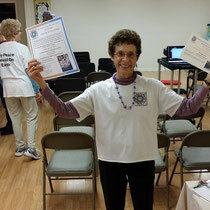 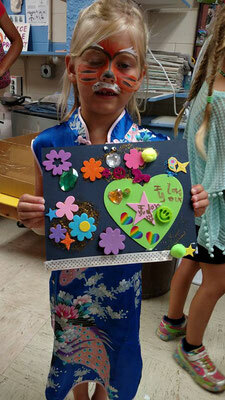 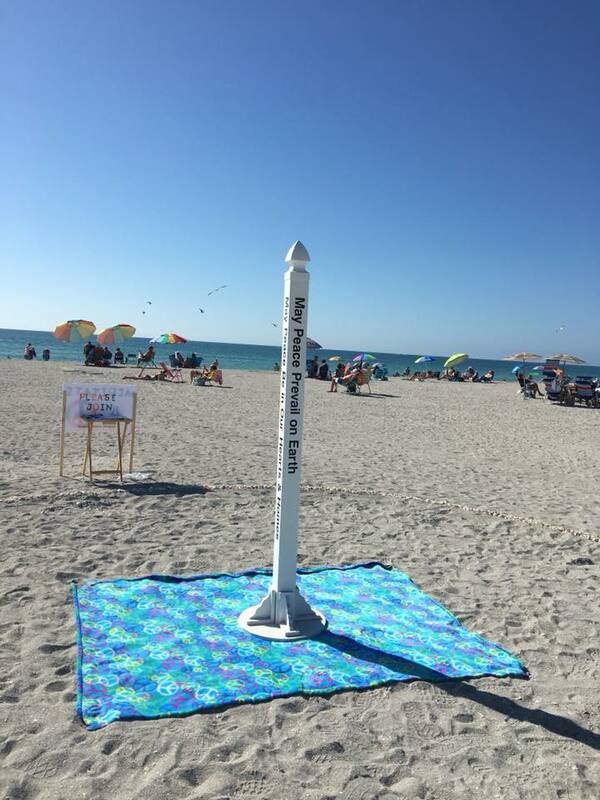 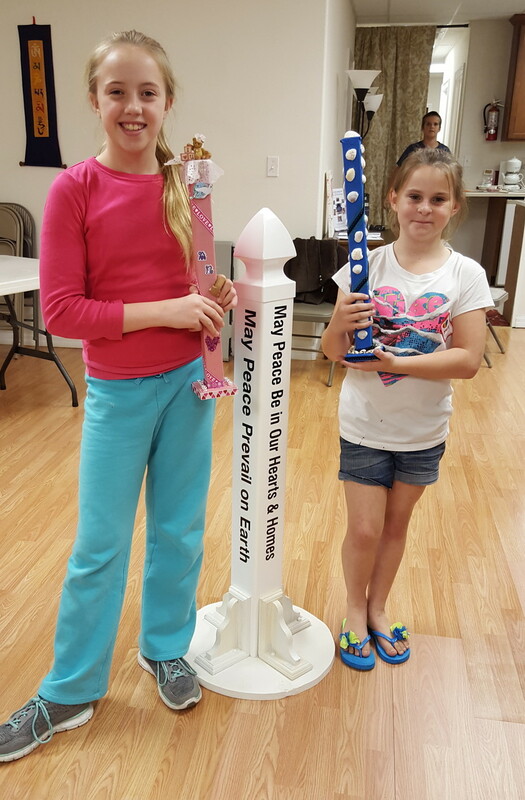 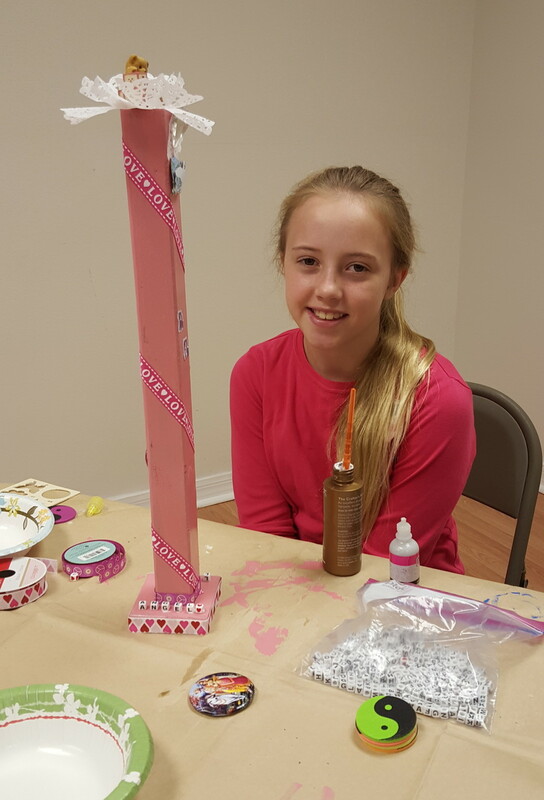 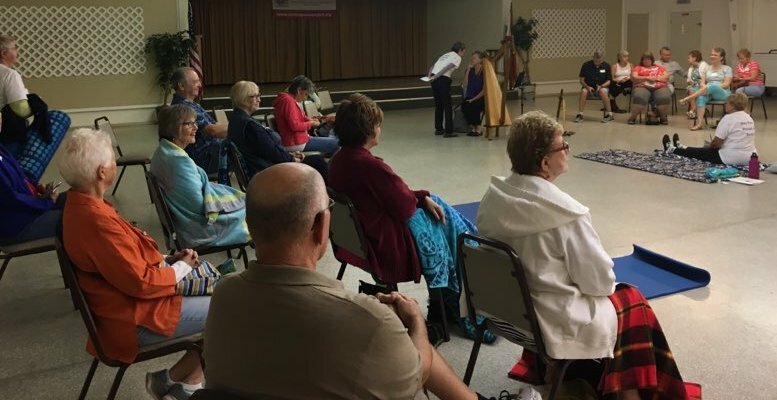 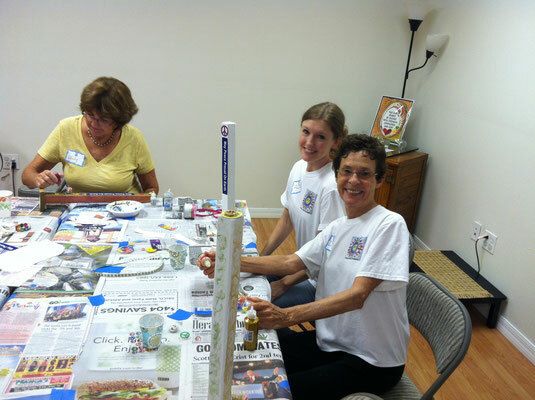 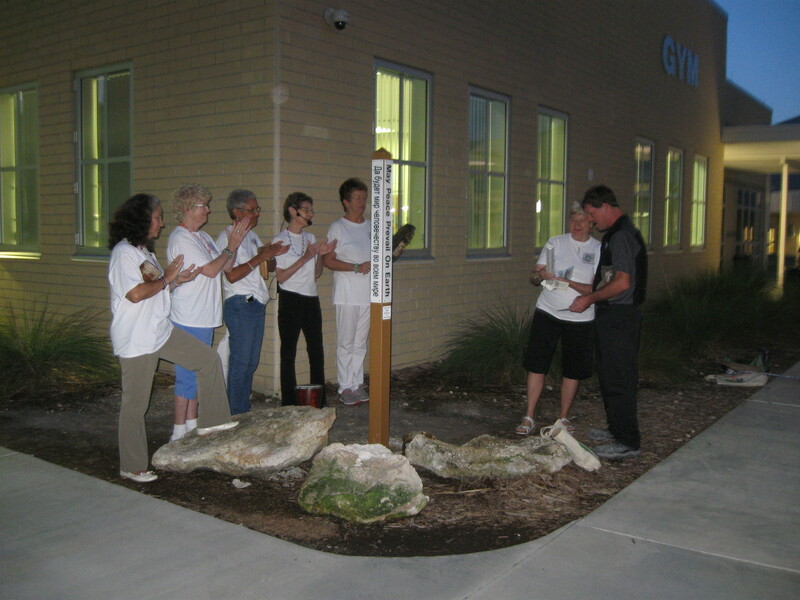 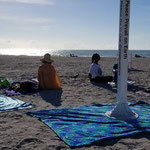 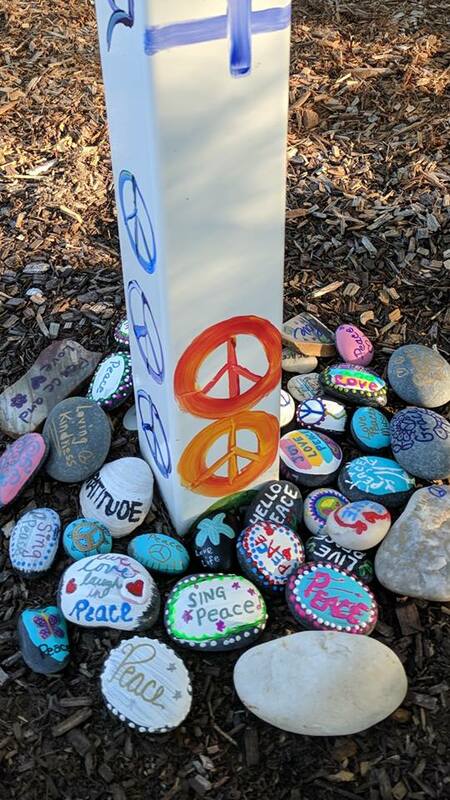 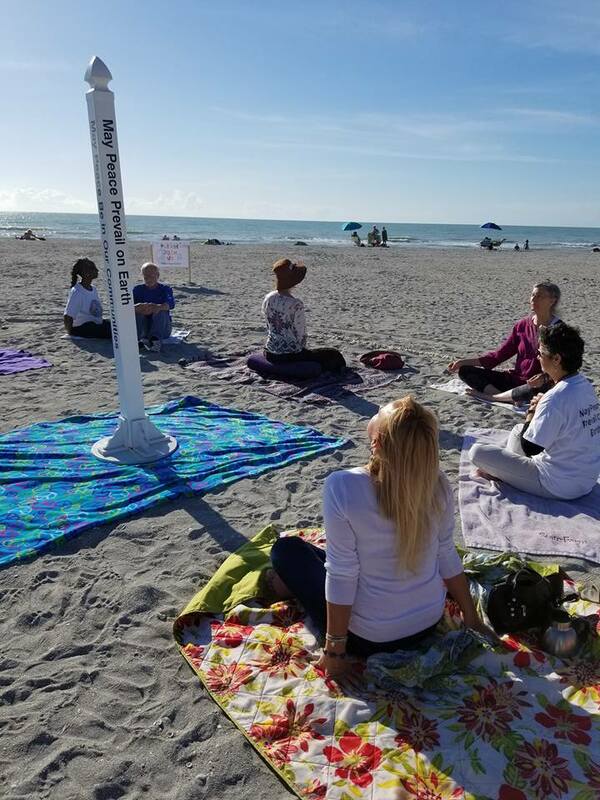 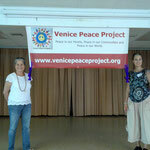 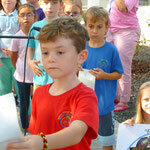 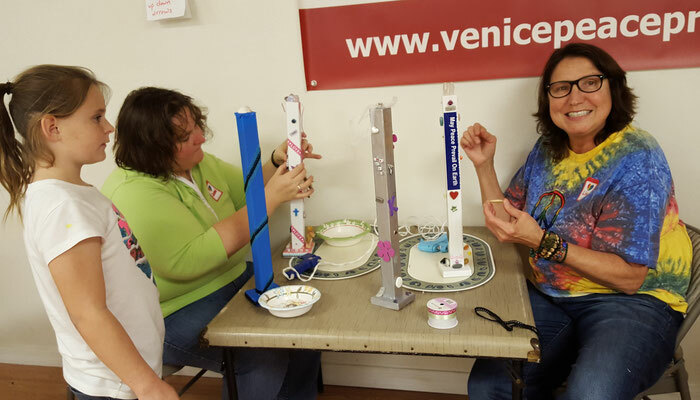 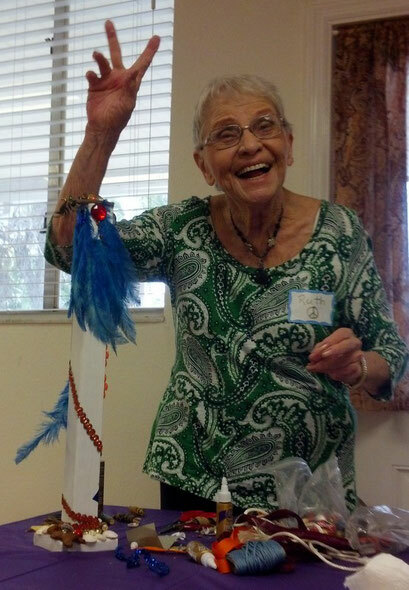 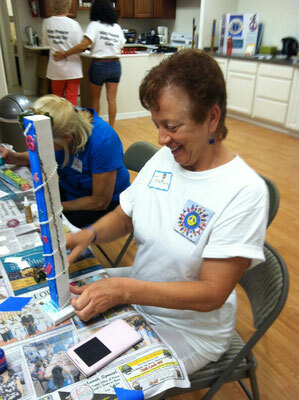 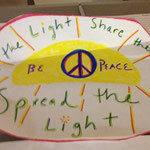 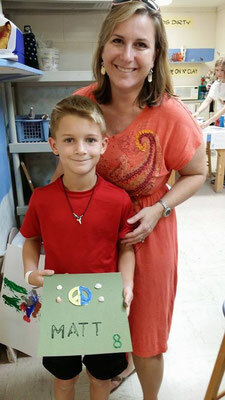 Venice Peace Project's first workshop, Creating your own mini Peace Pole was a peace-filled event. 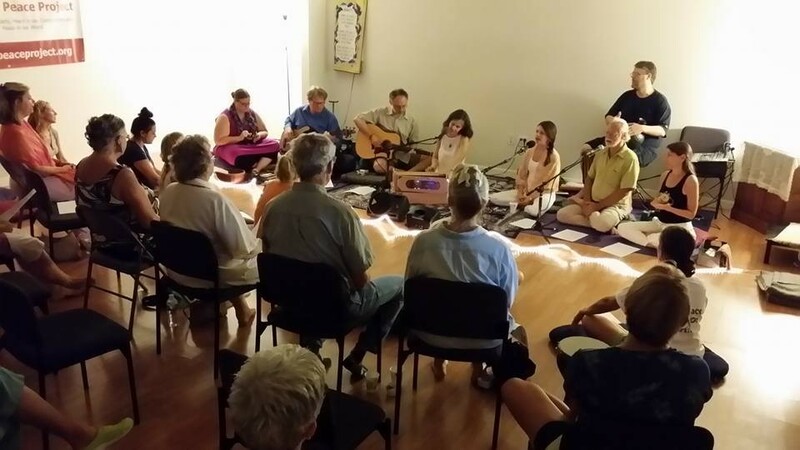 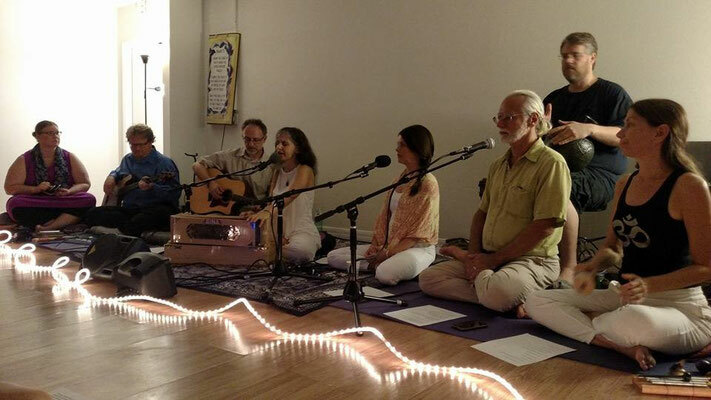 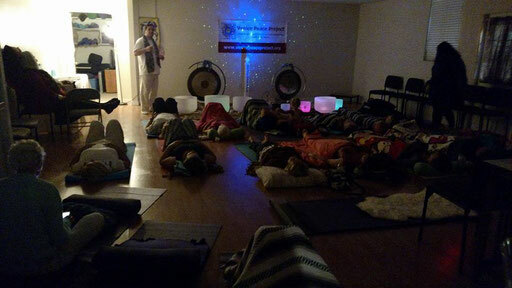 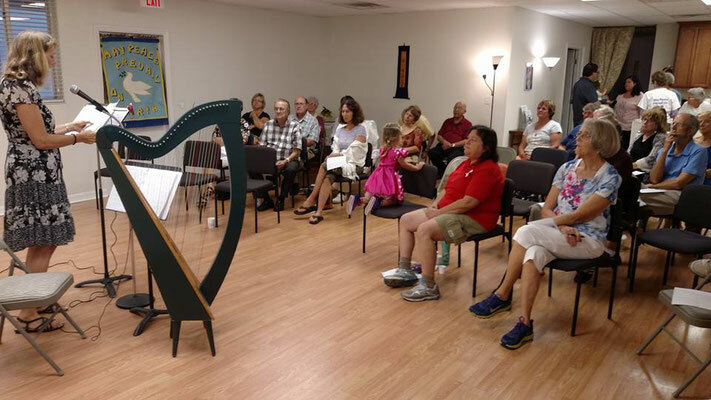 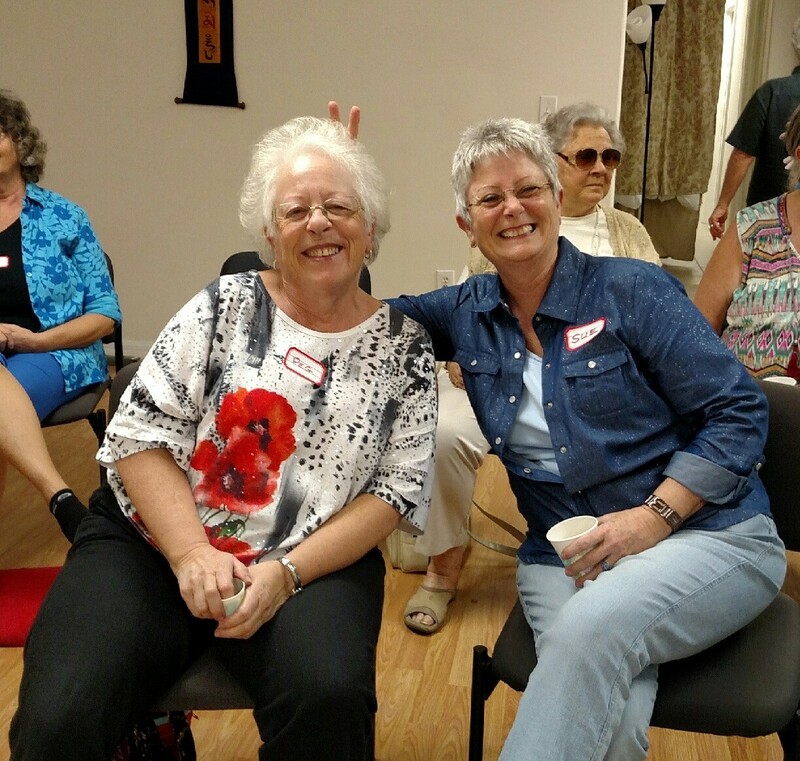 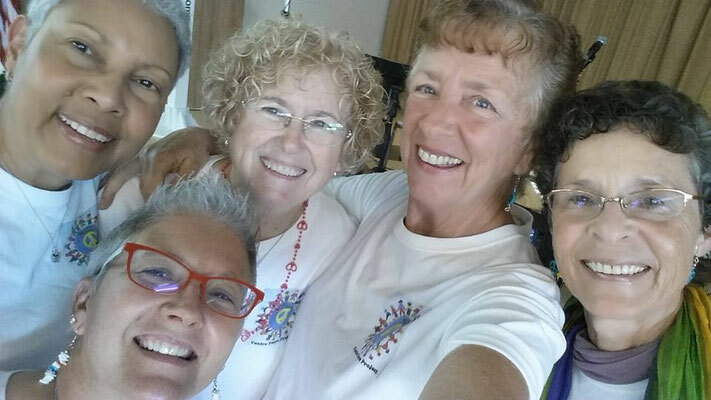 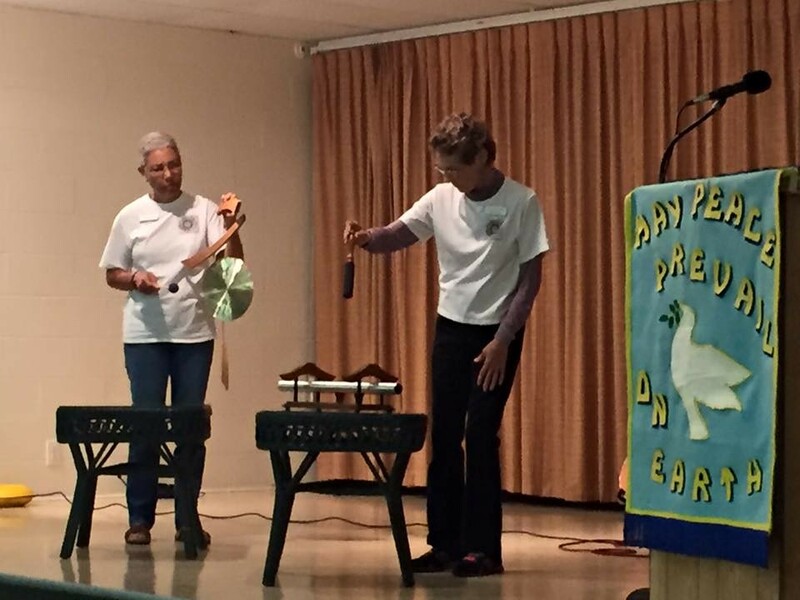 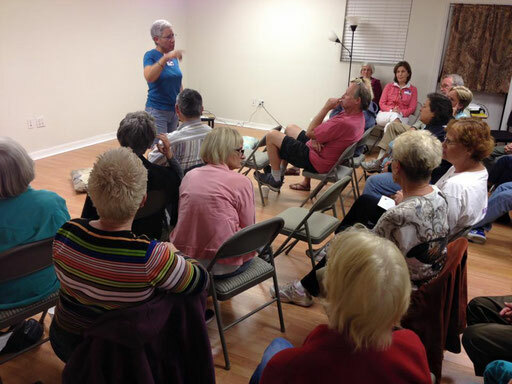 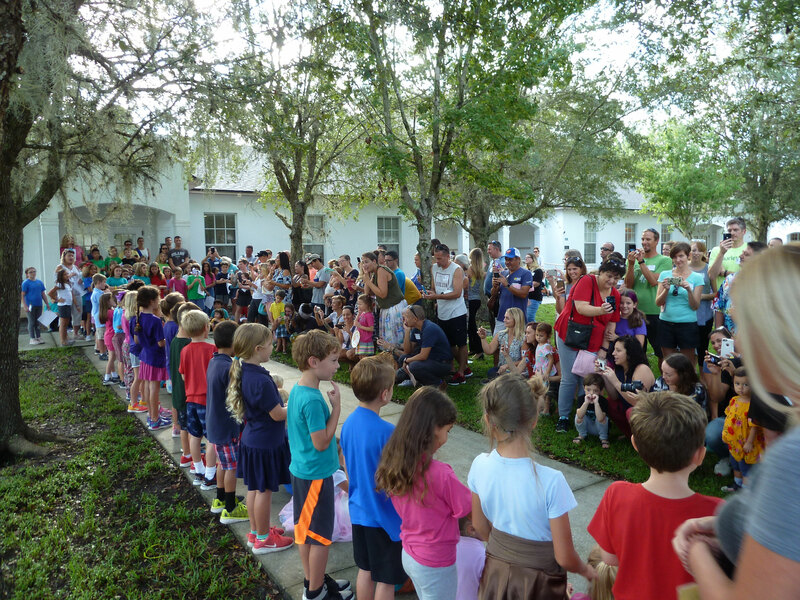 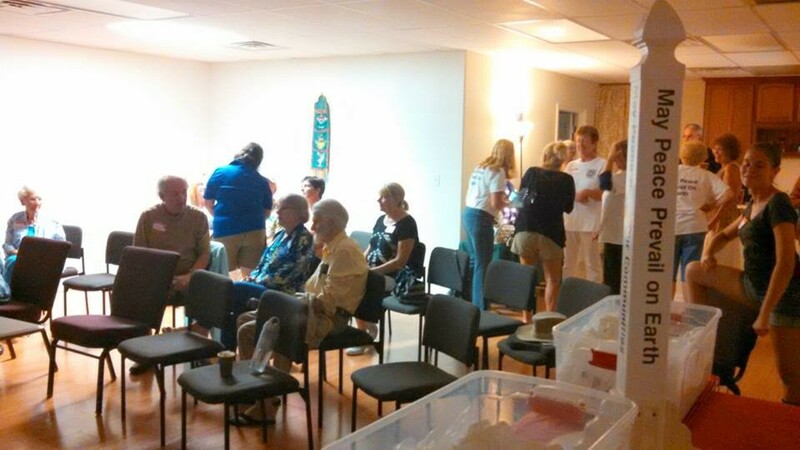 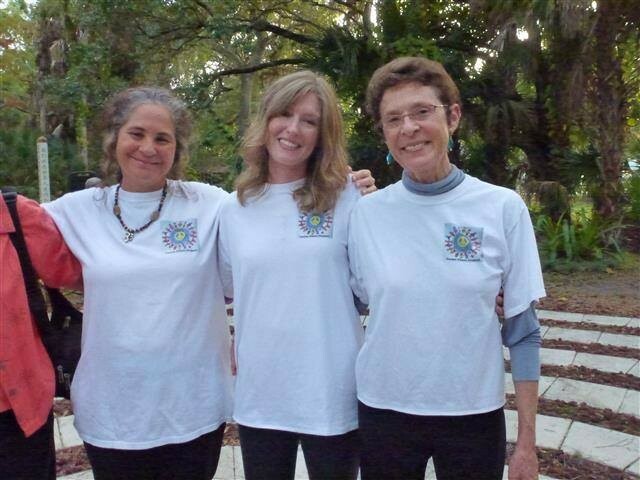 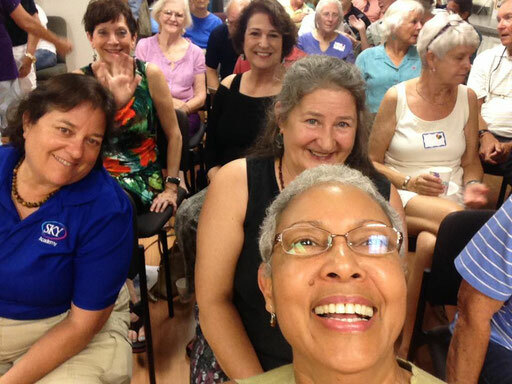 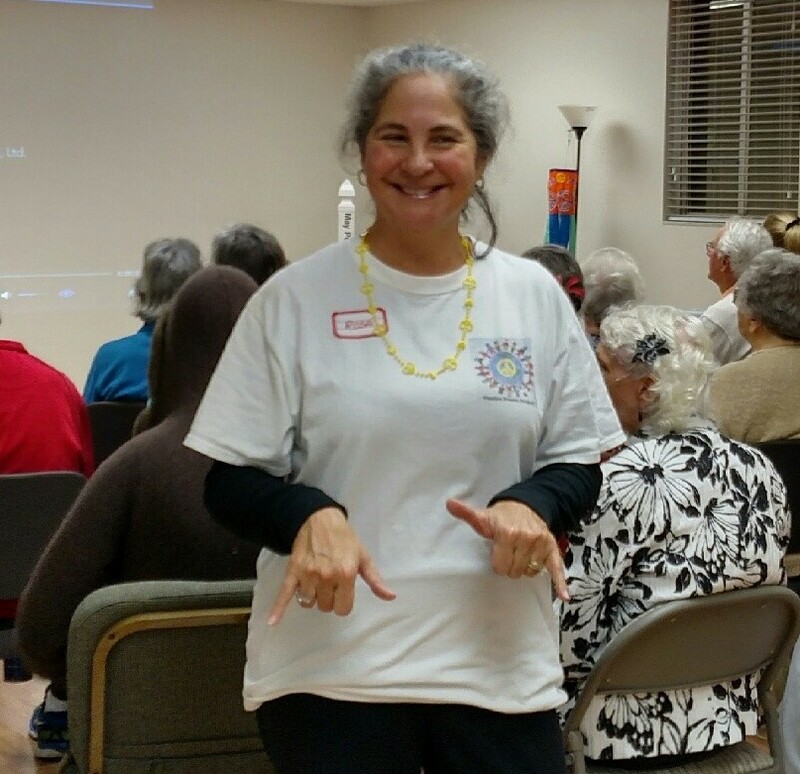 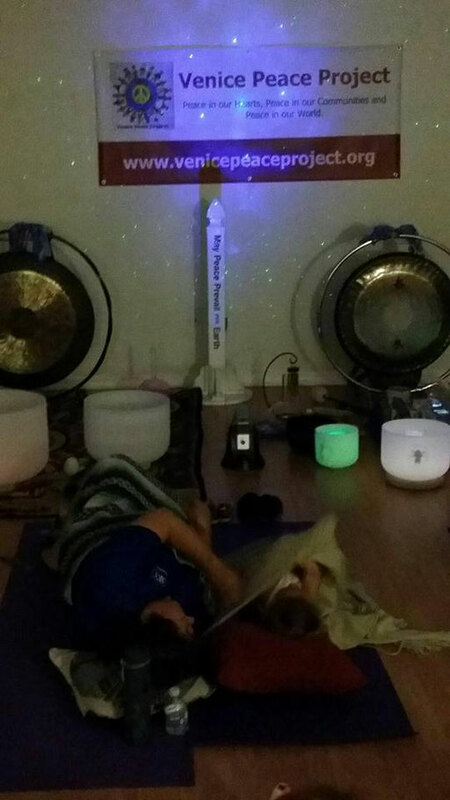 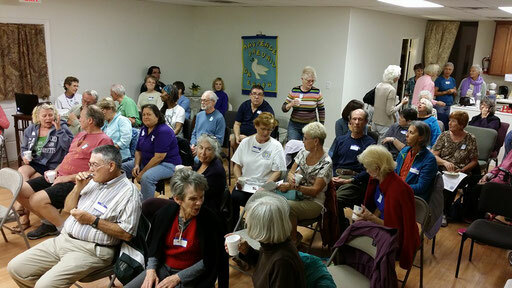 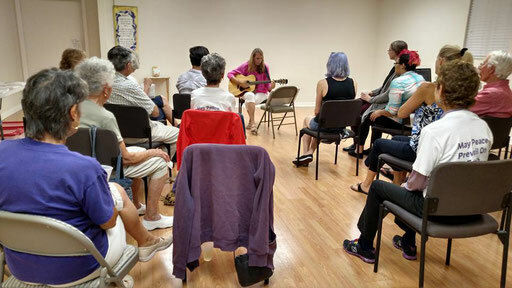 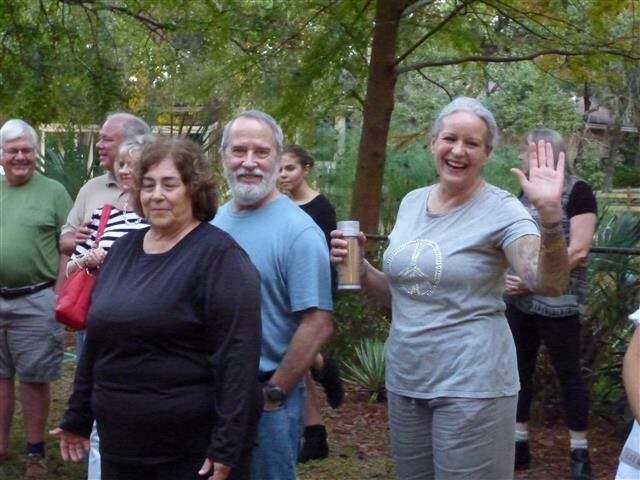 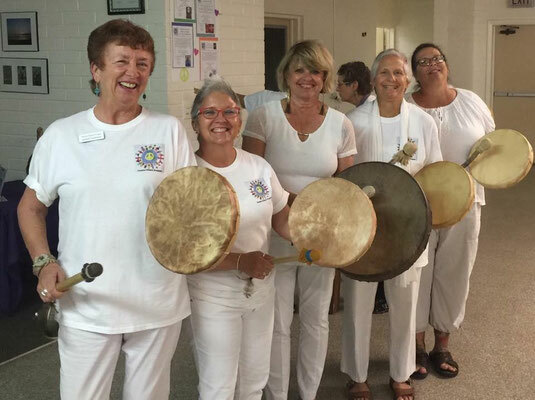 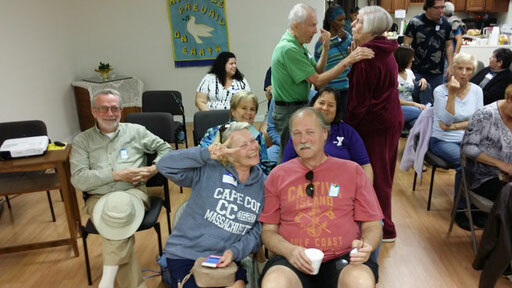 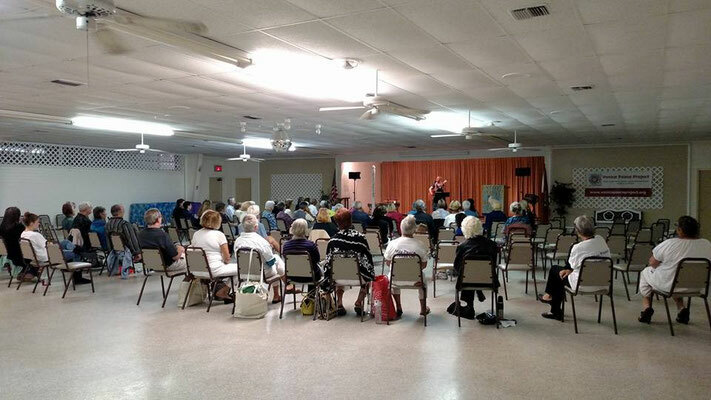 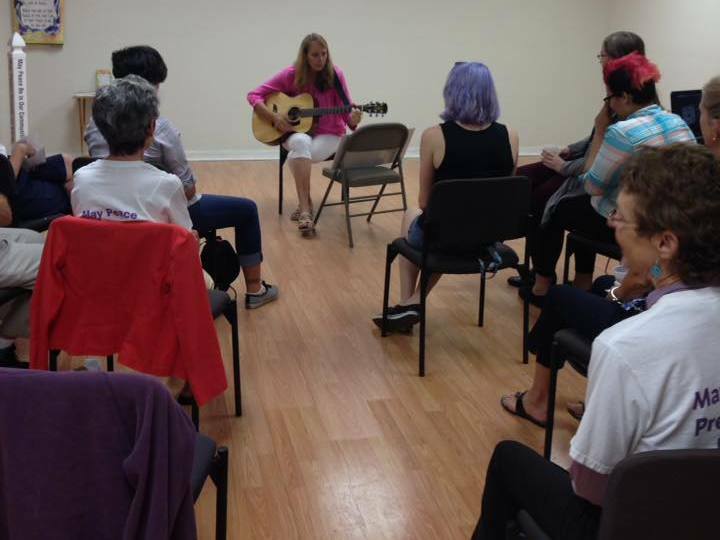 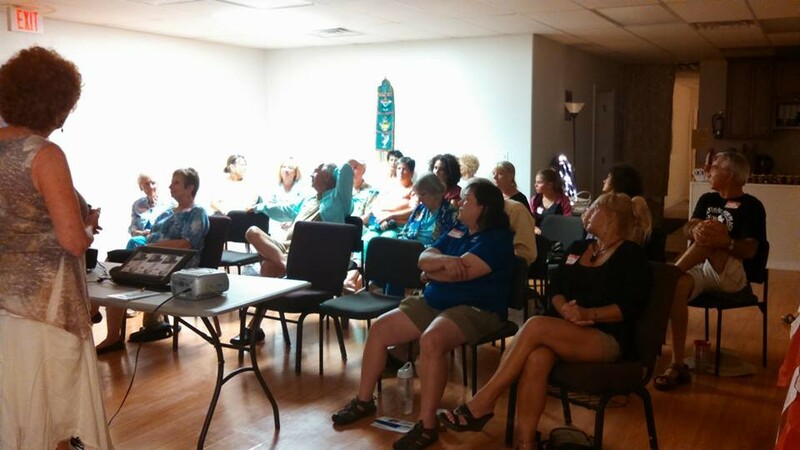 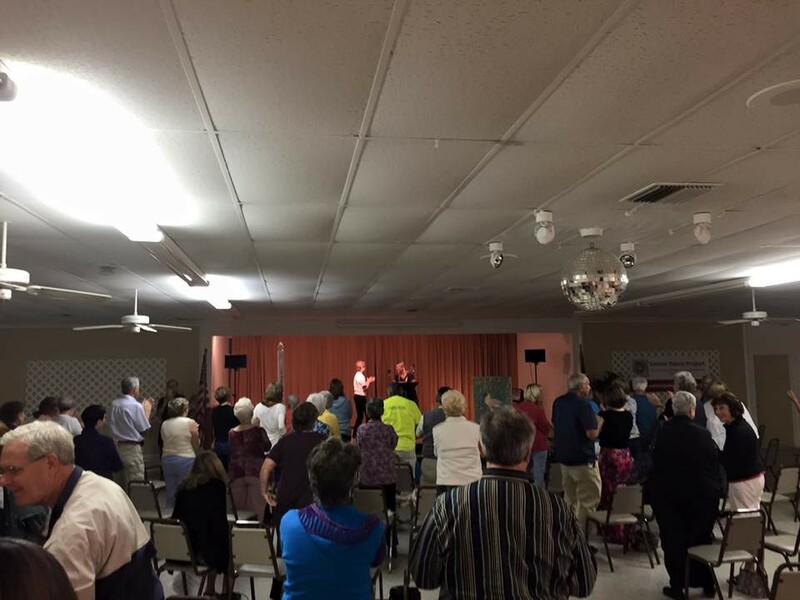 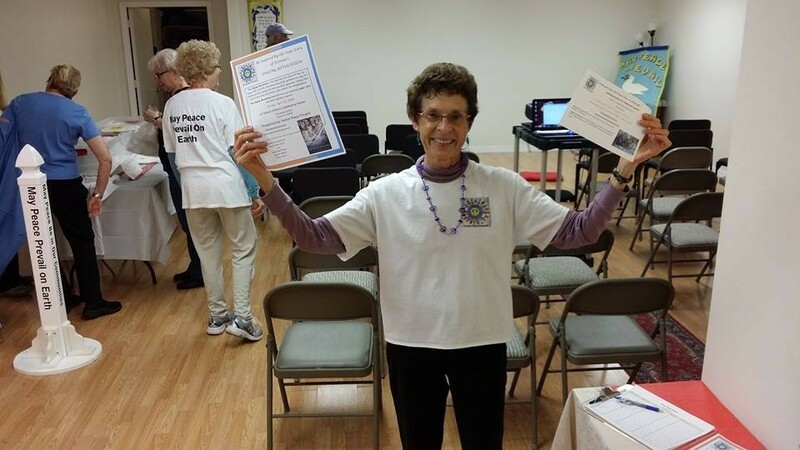 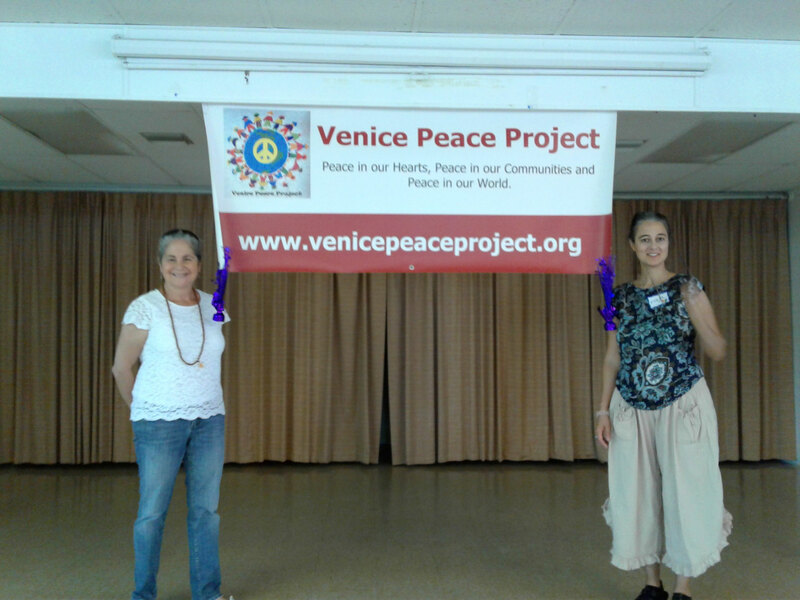 It was held on Saturday, Nov. 8, 2014 at Venice Holistic Center. 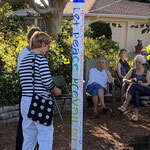 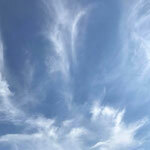 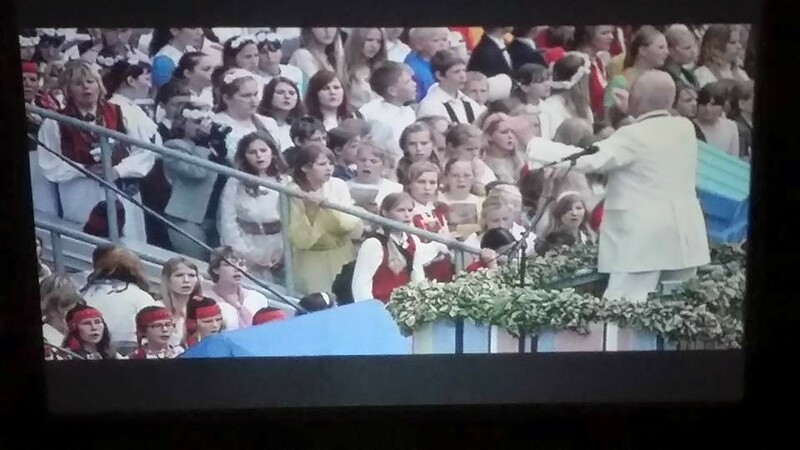 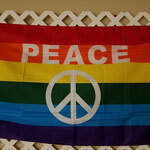 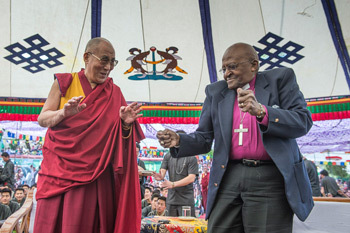 The afternoon was fun and the peace from the event and imbued in the poles will continue spreading and spreading. 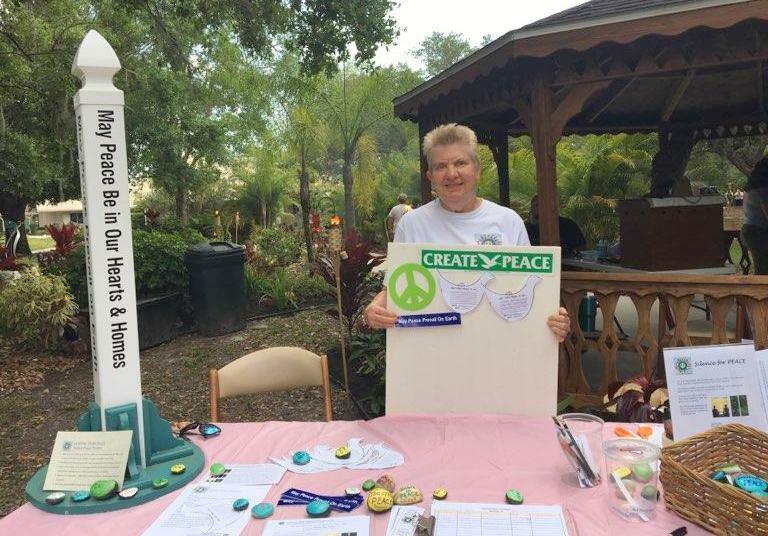 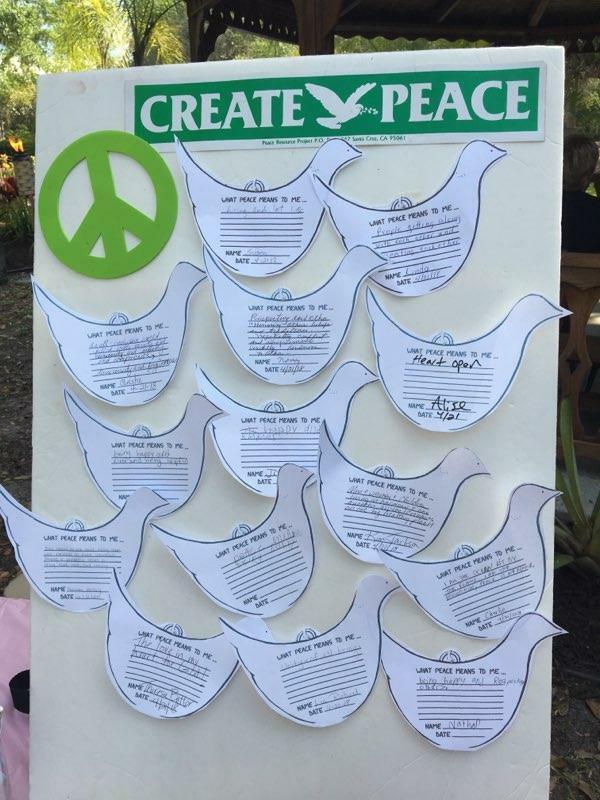 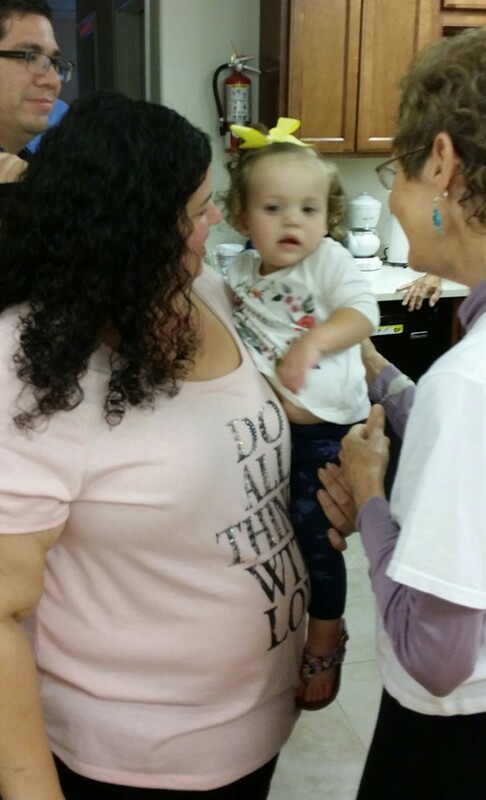 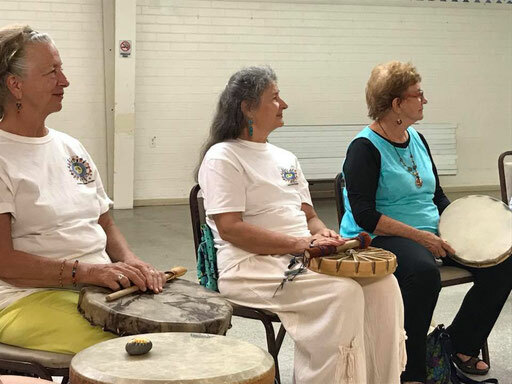 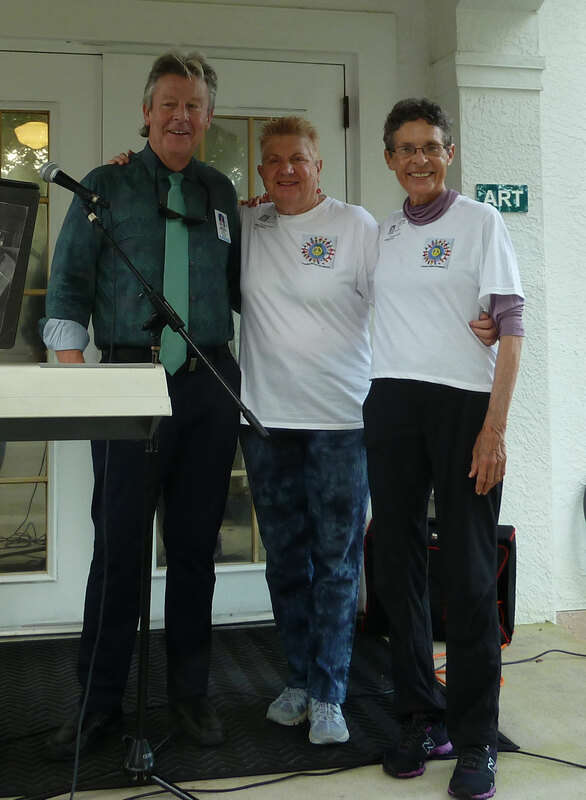 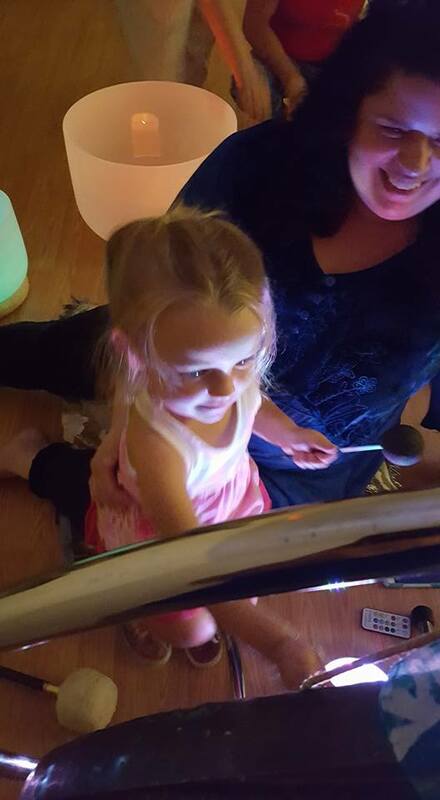 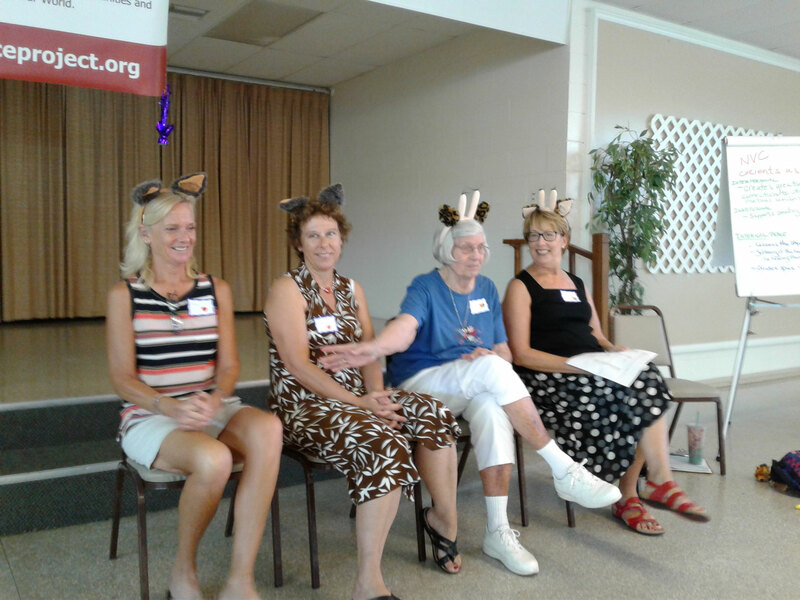 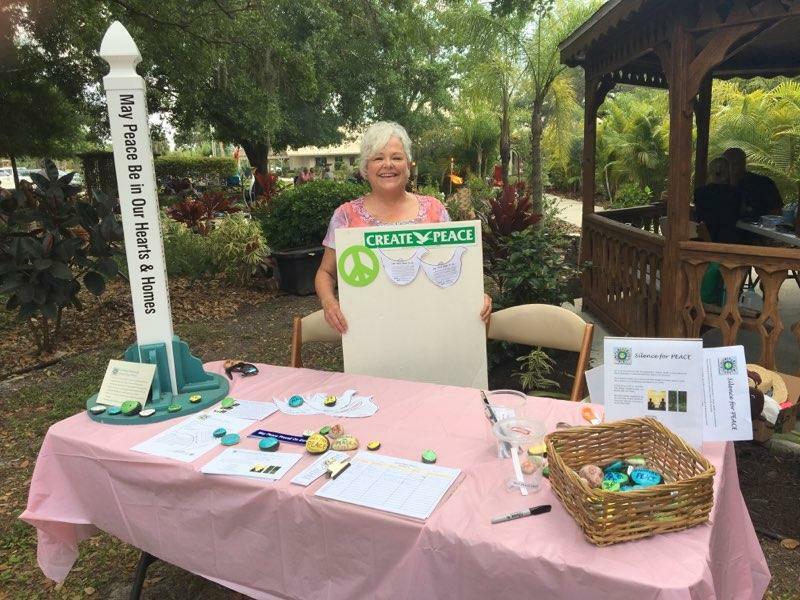 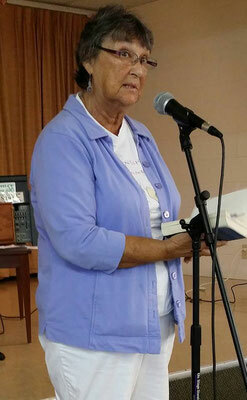 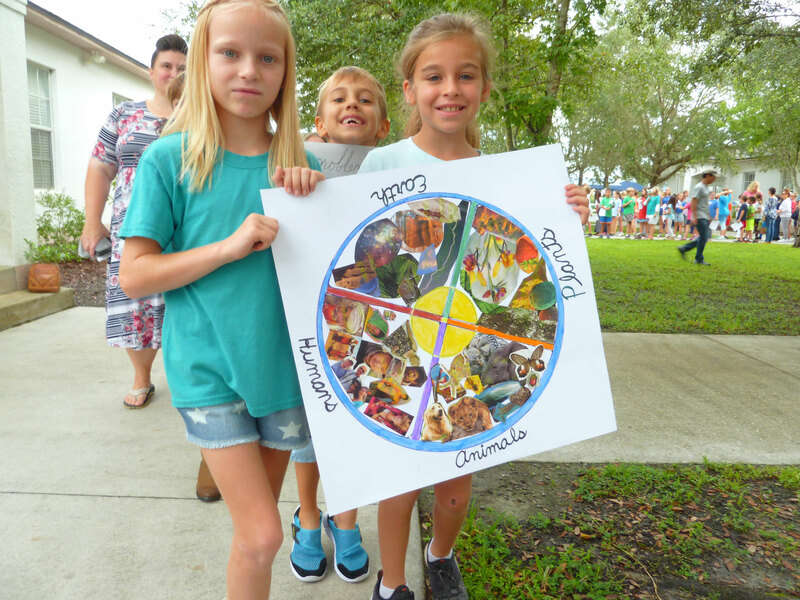 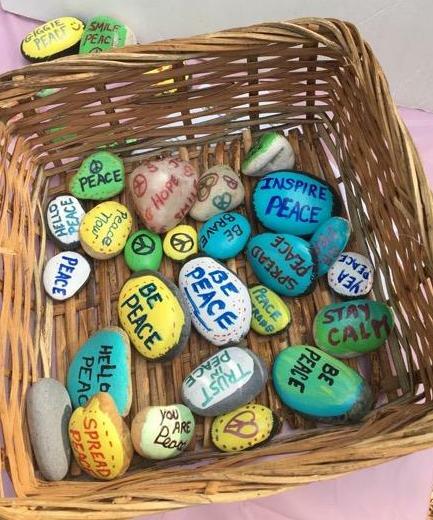 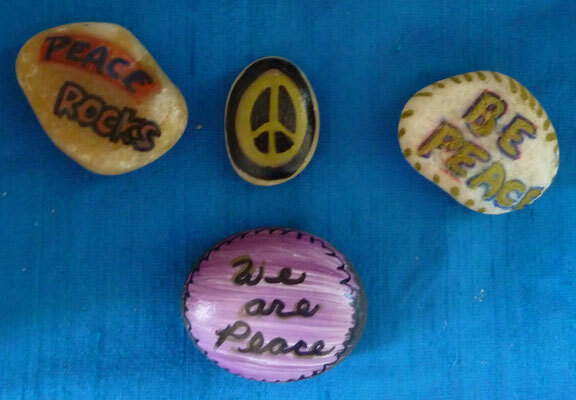 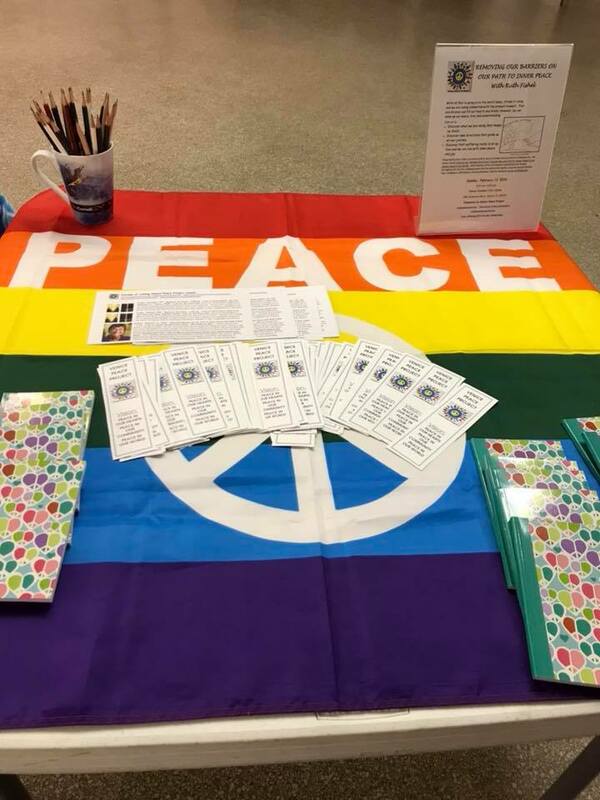 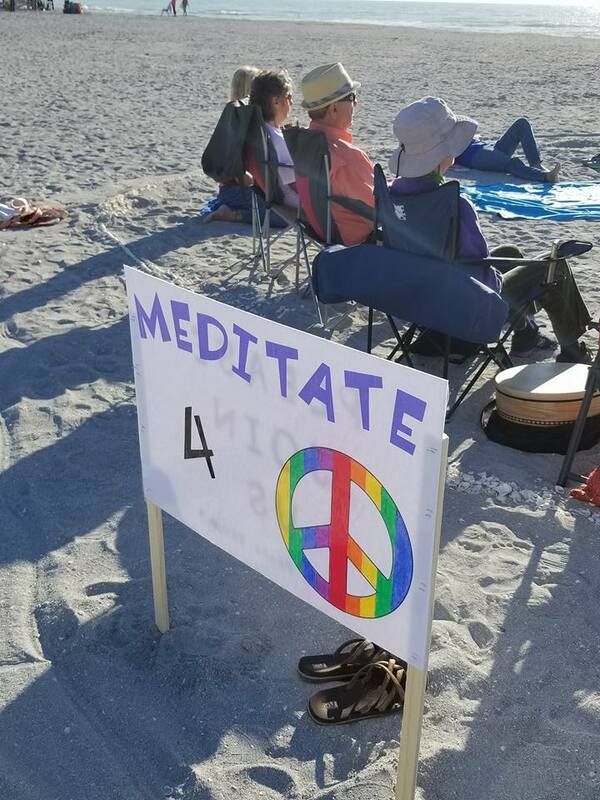 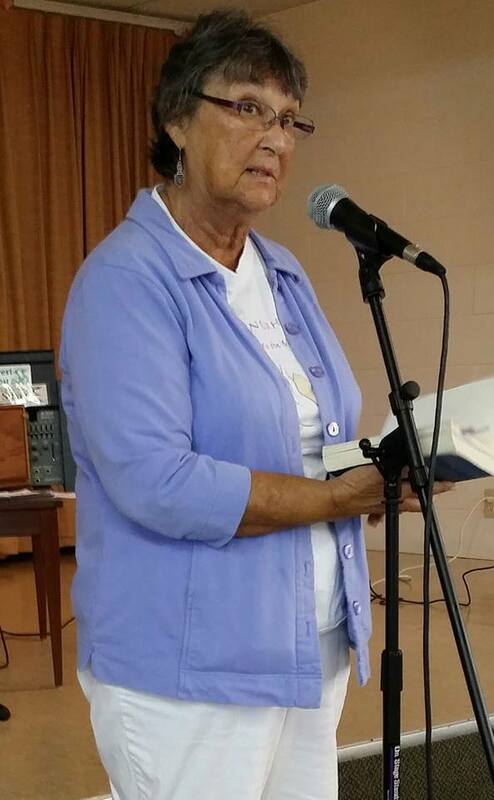 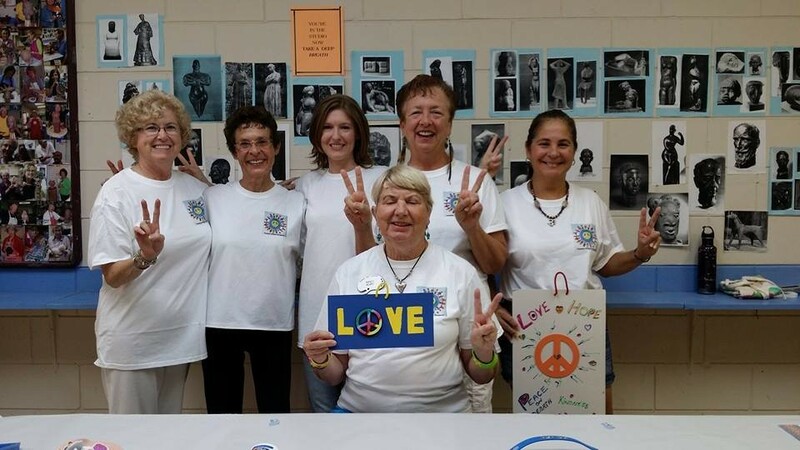 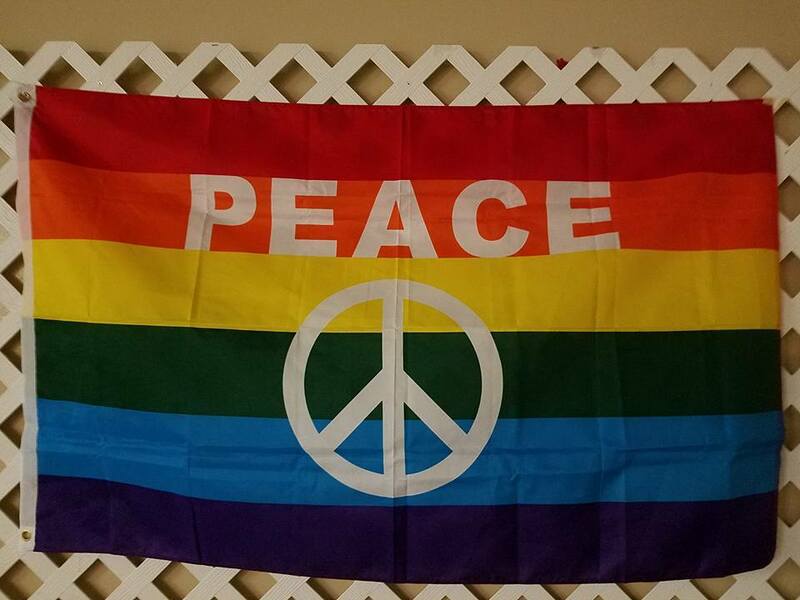 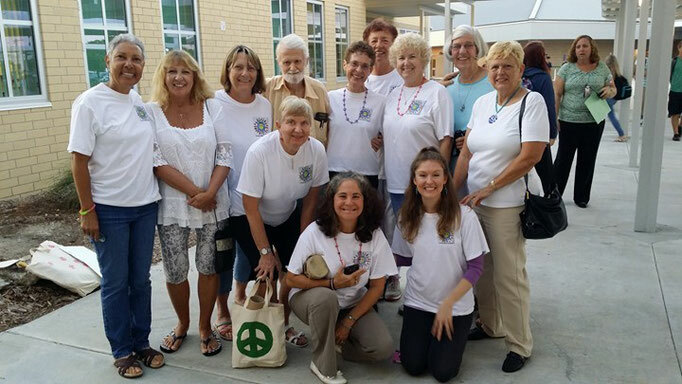 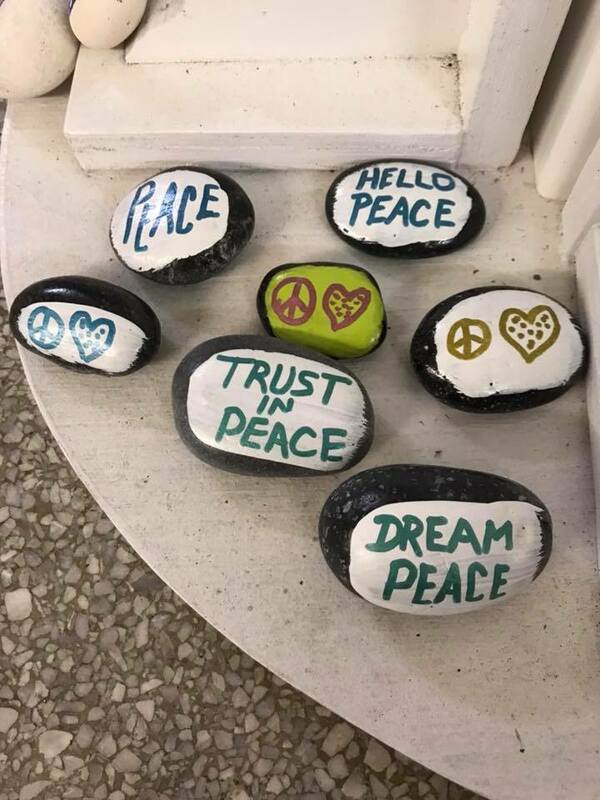 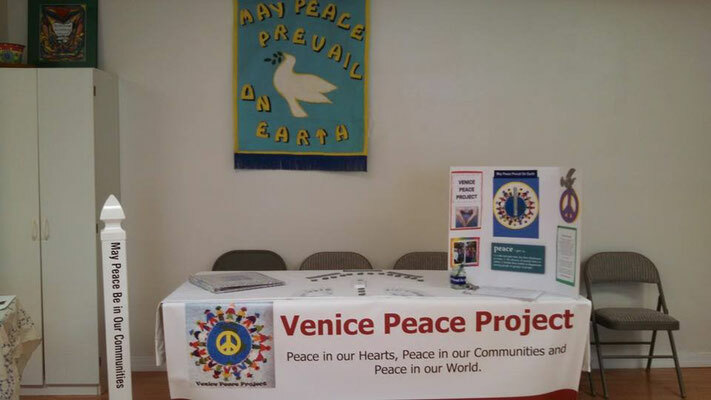 Venice Peace Project was part of the Communty Harvest Festival at the Venice Holistic Center on Saturday, September 13, 2014. 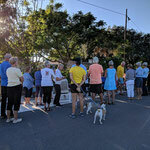 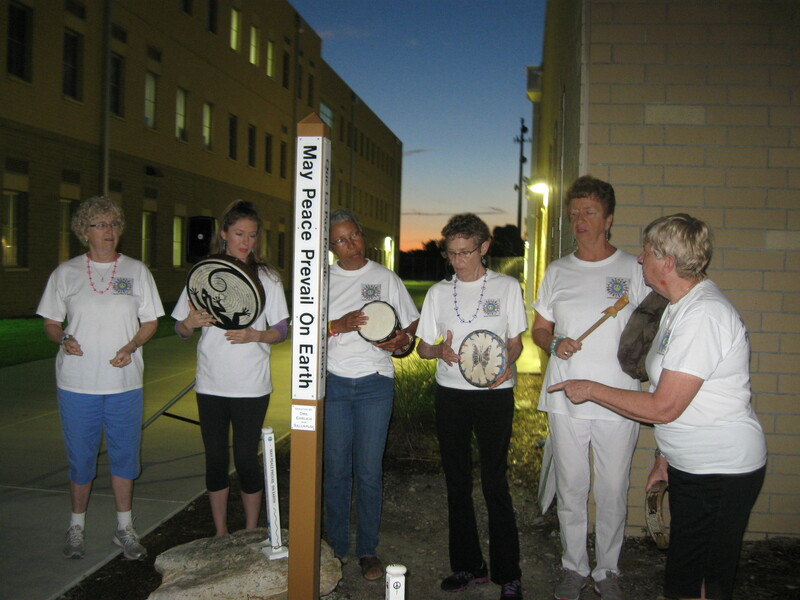 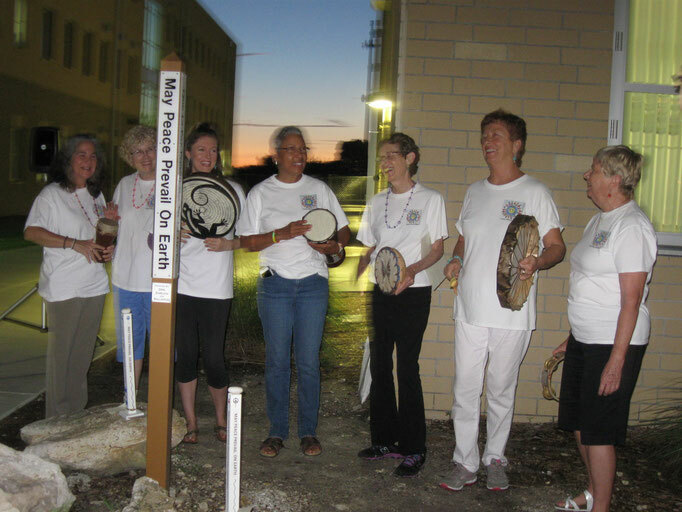 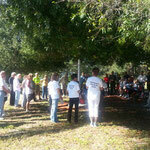 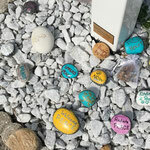 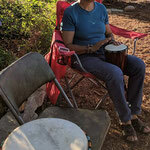 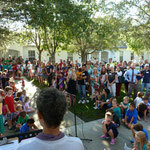 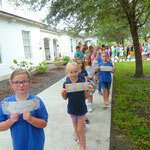 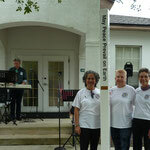 We gathered at the Peace Pole for Peace music and songs. 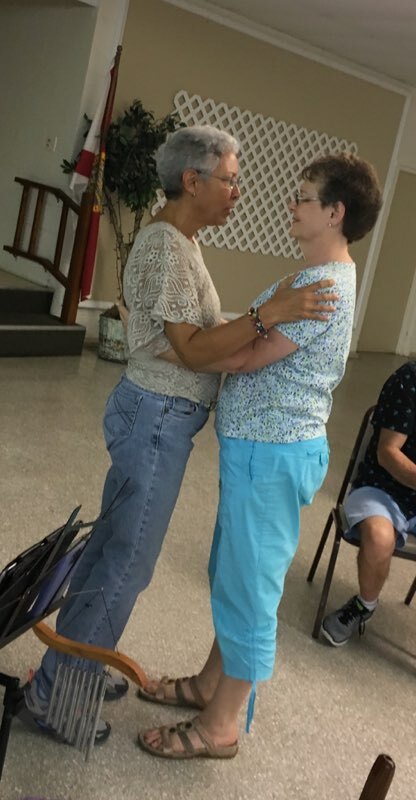 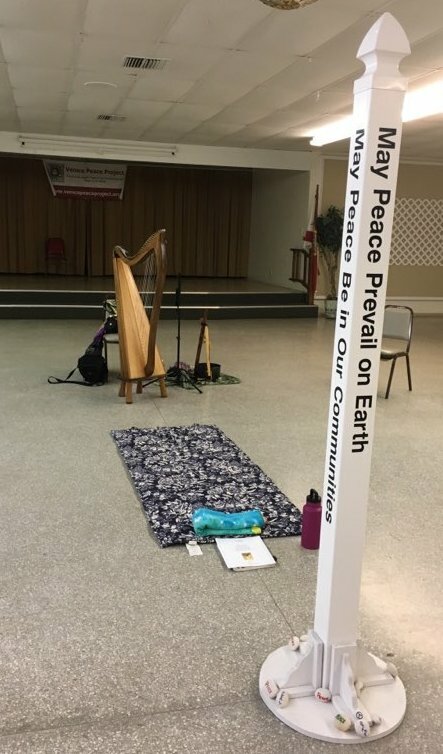 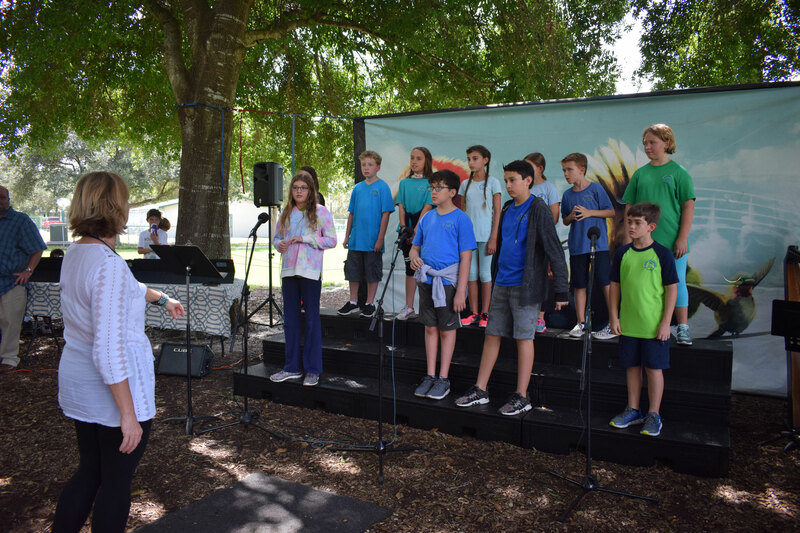 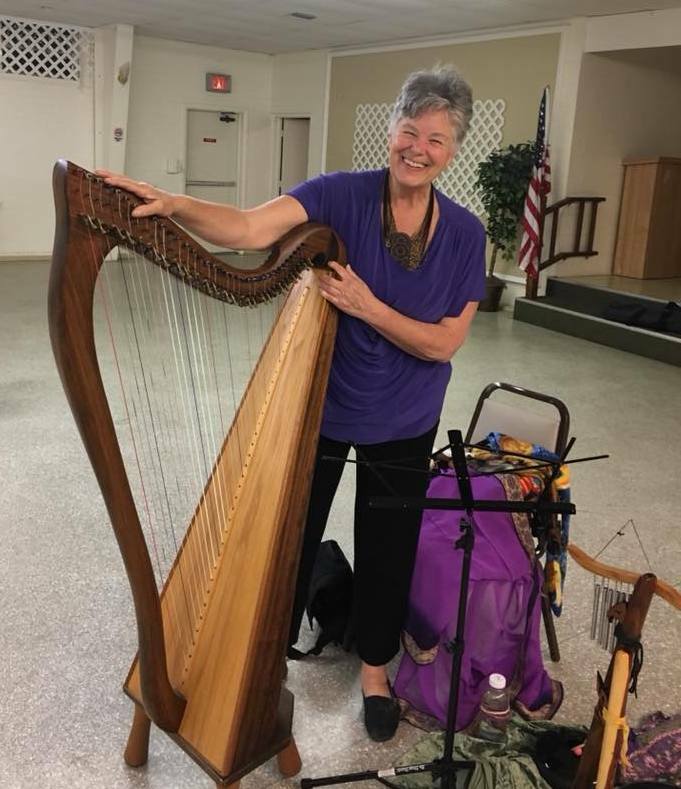 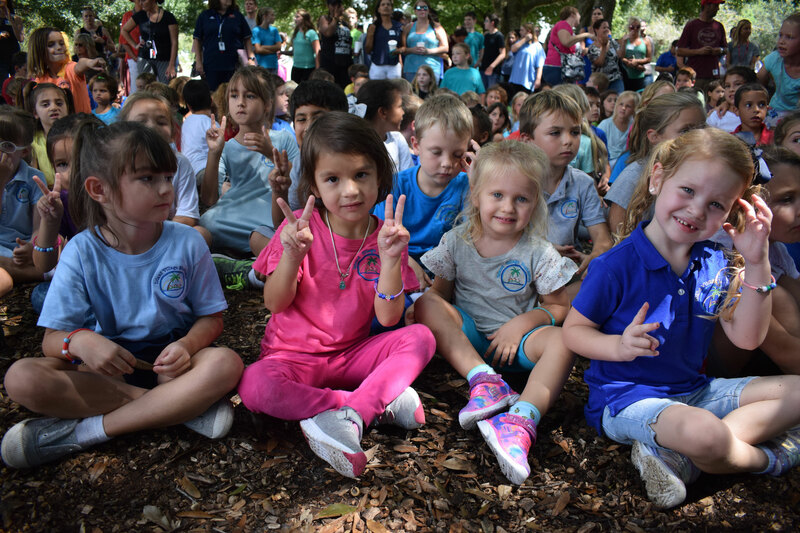 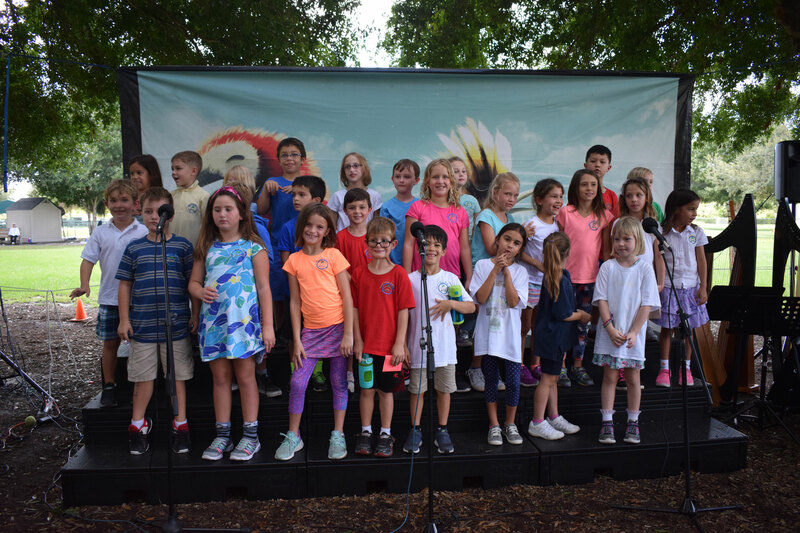 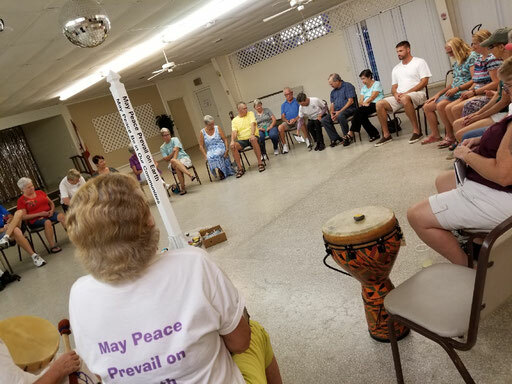 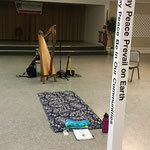 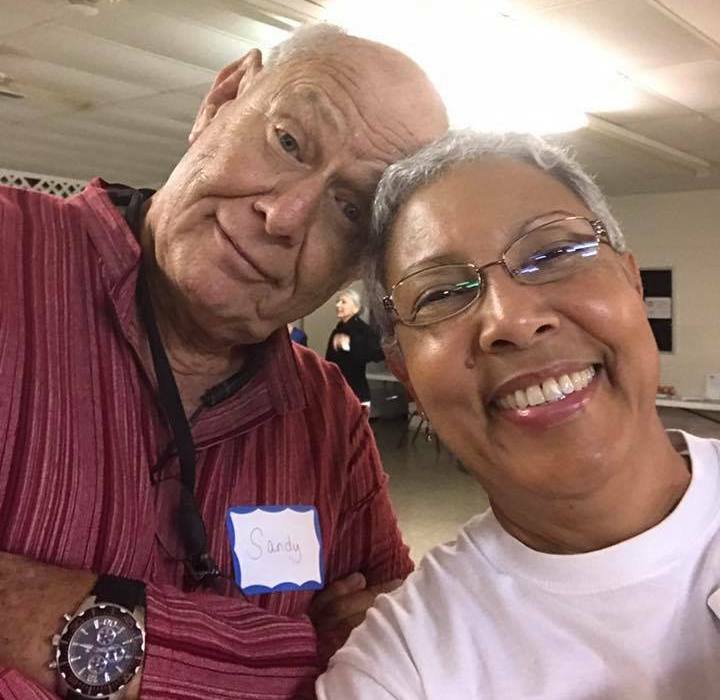 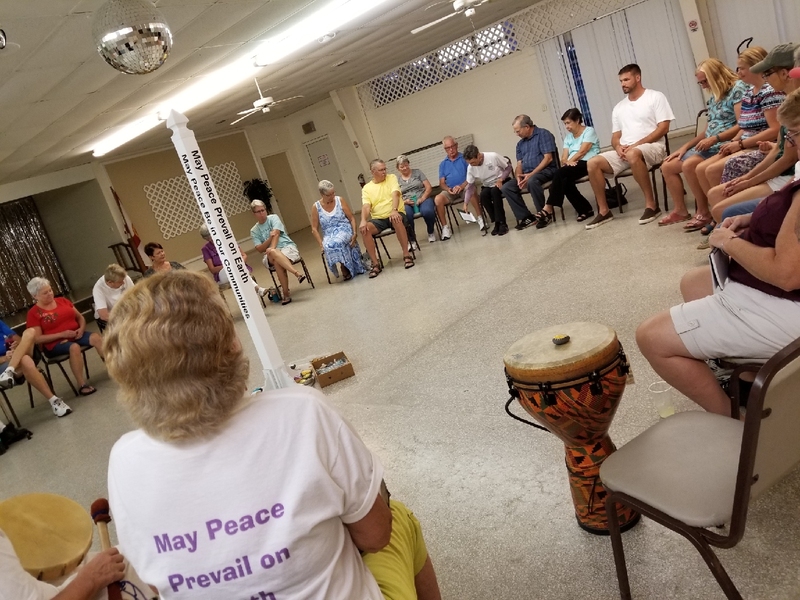 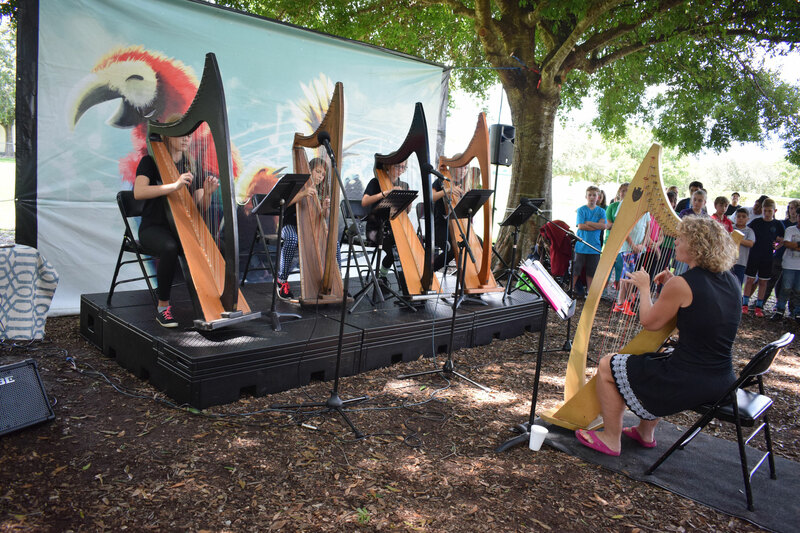 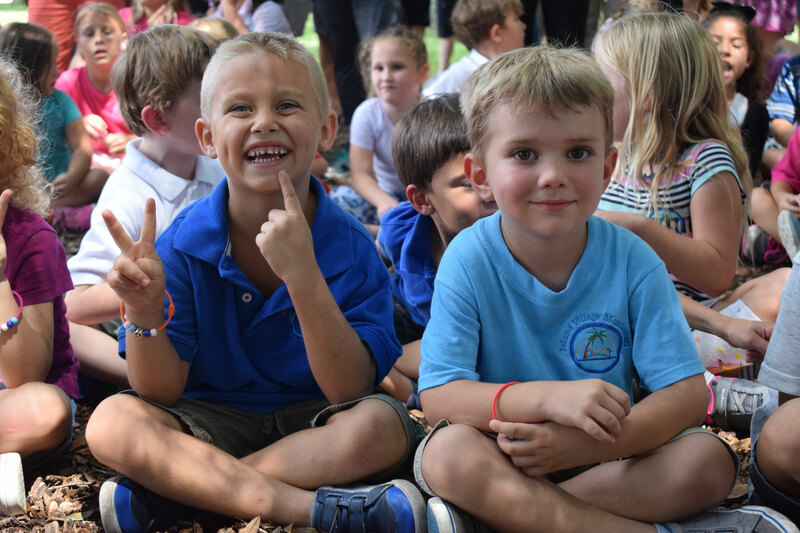 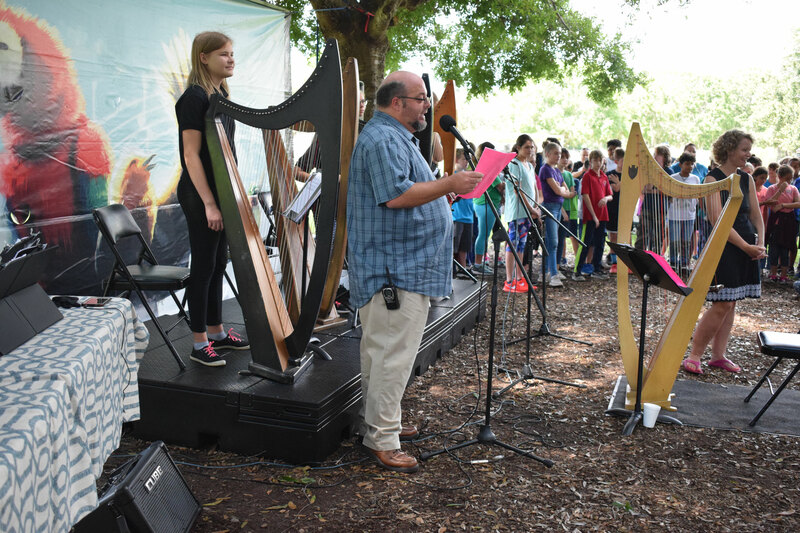 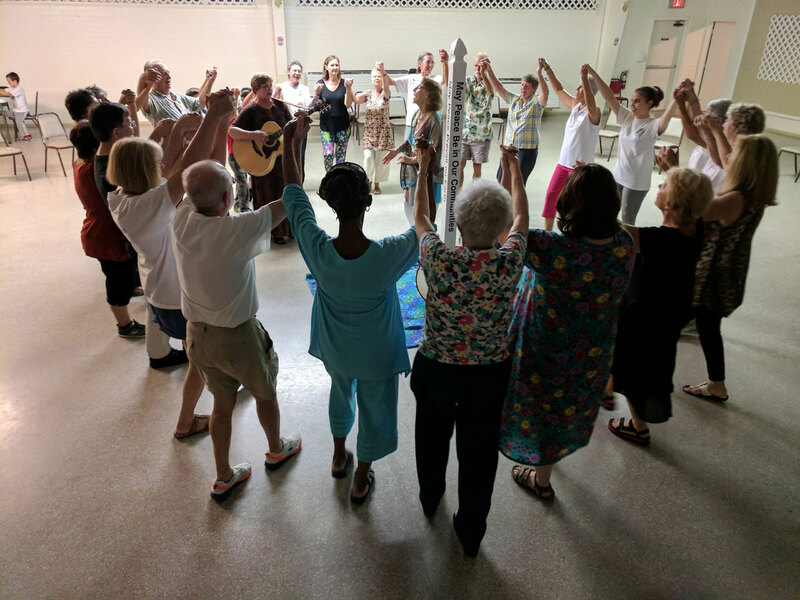 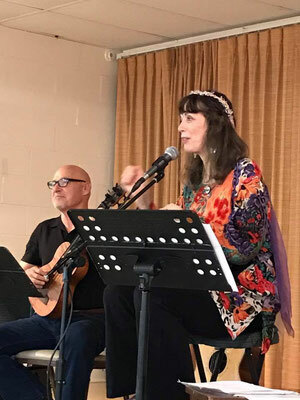 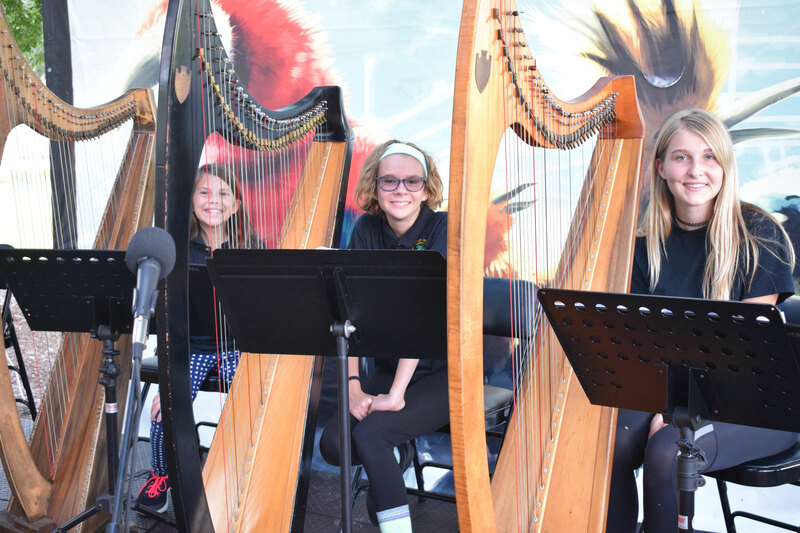 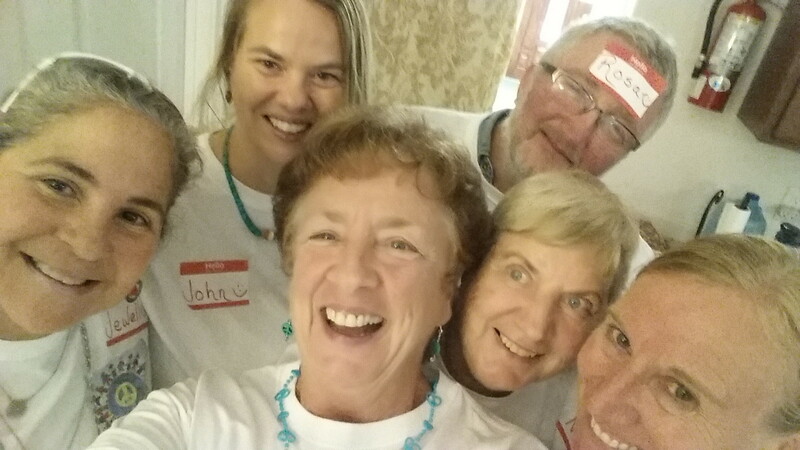 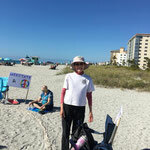 After the music, we were so happy to meet old and new friends who share our vision of "Peace in our hearts, peace in our community and peace in our world." 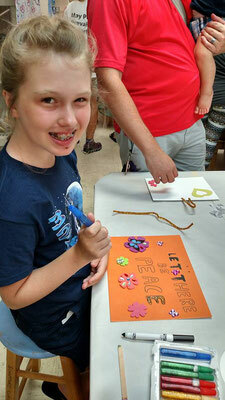 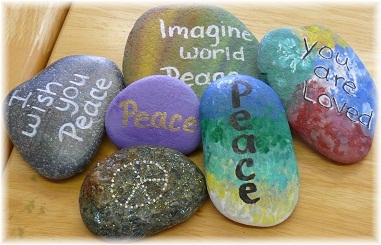 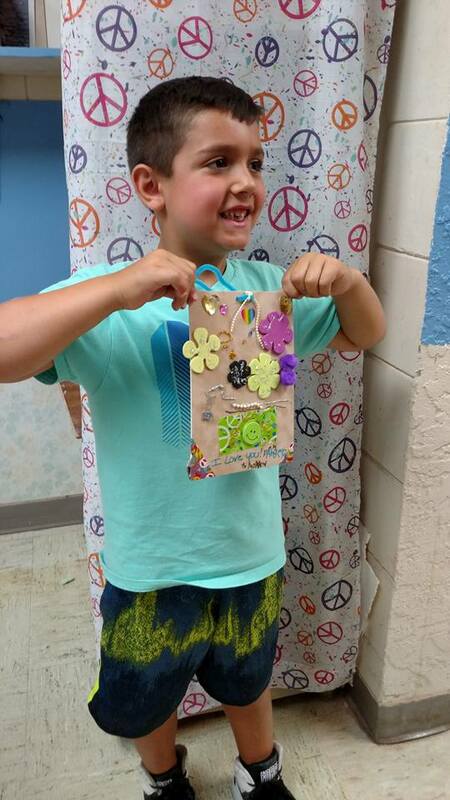 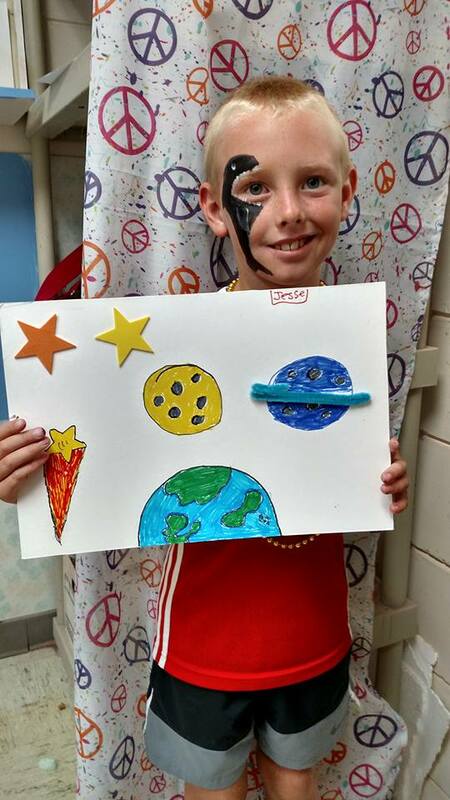 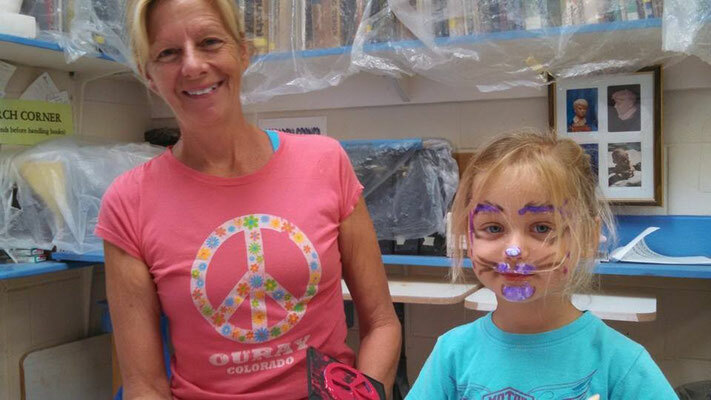 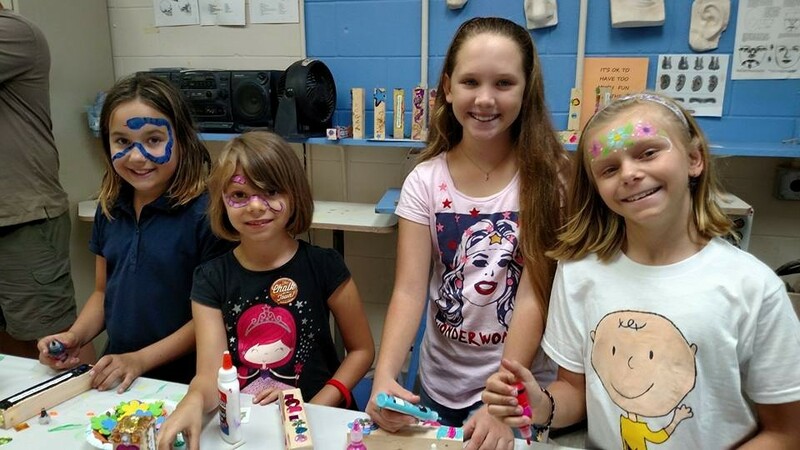 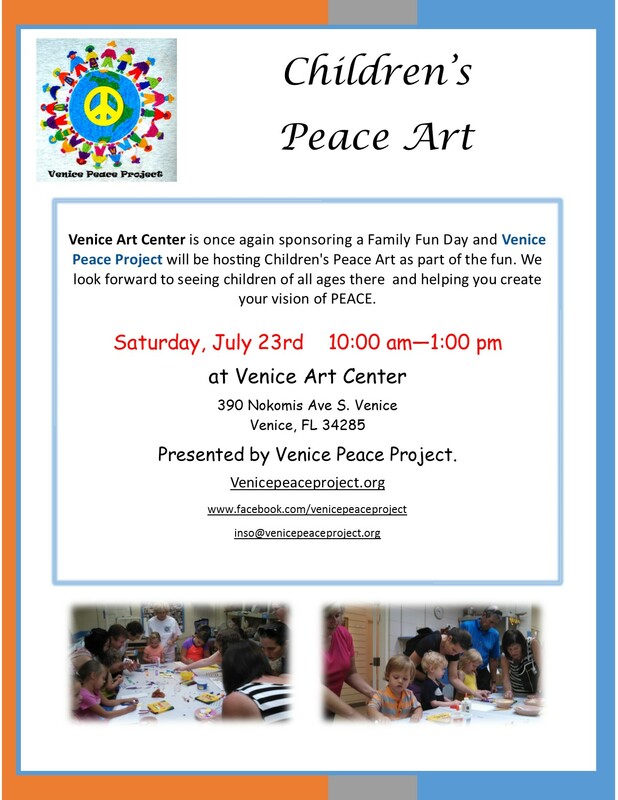 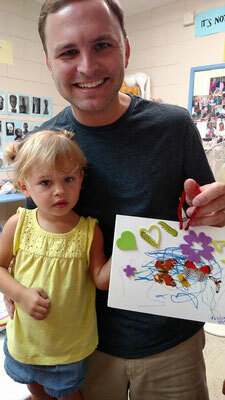 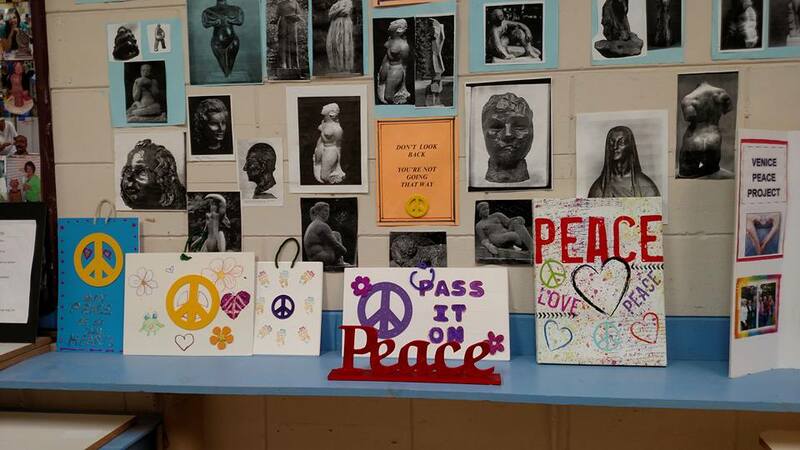 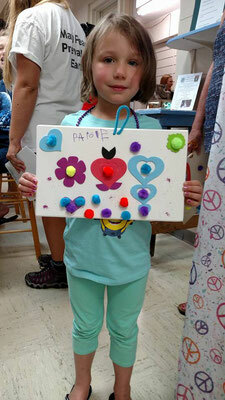 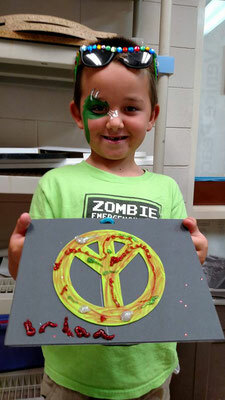 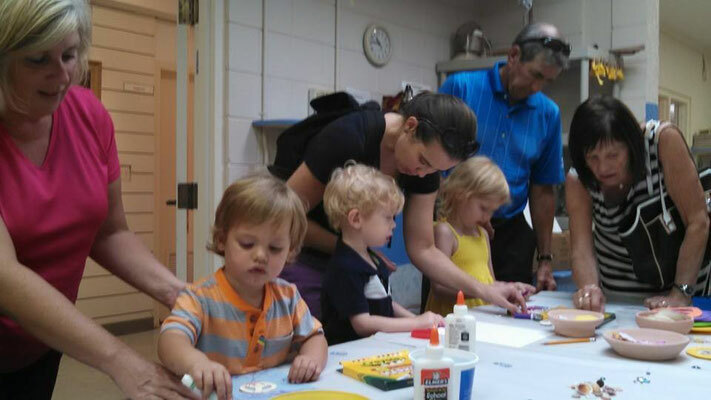 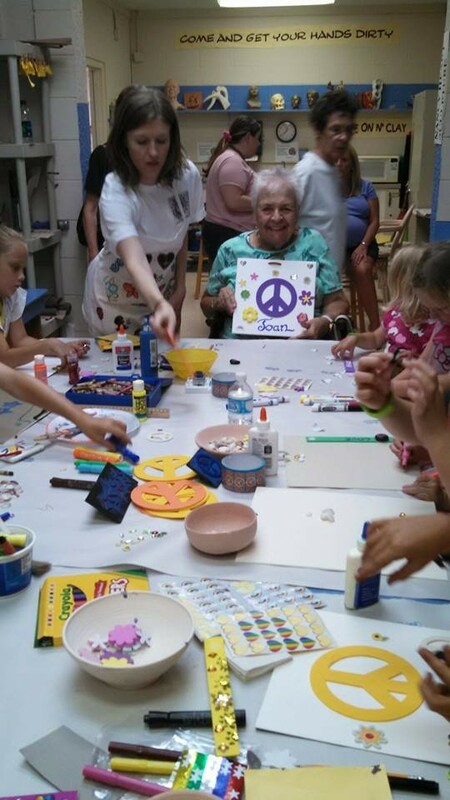 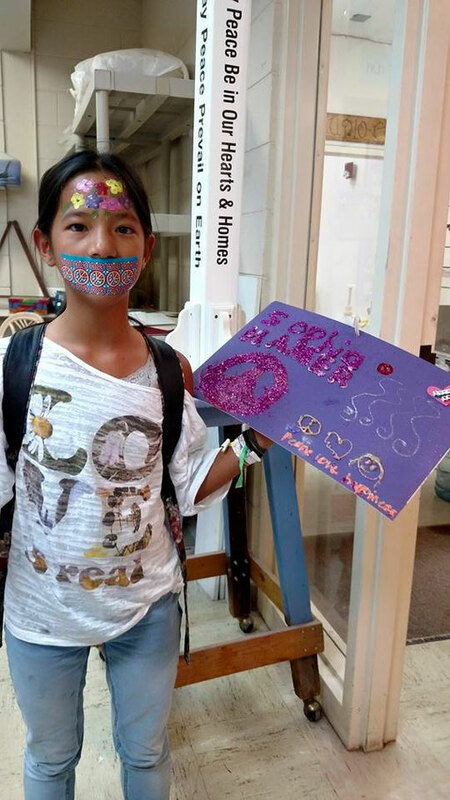 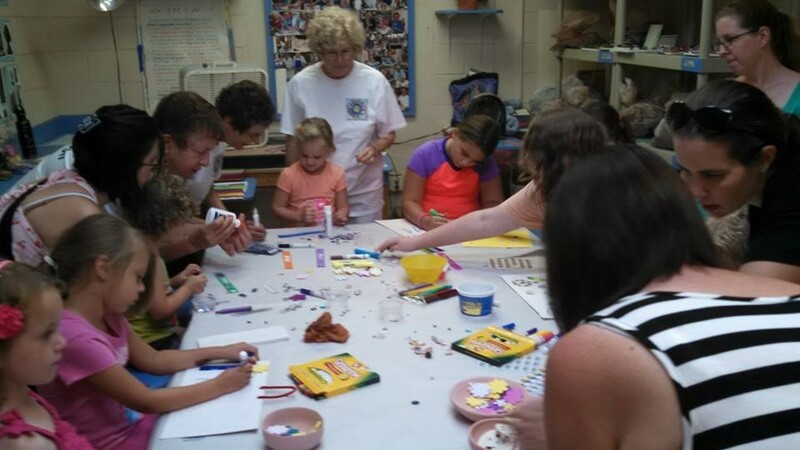 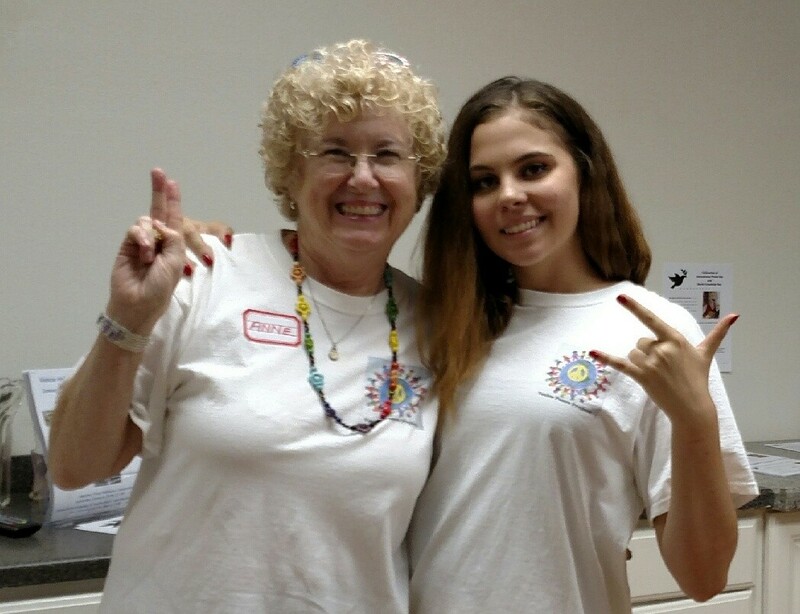 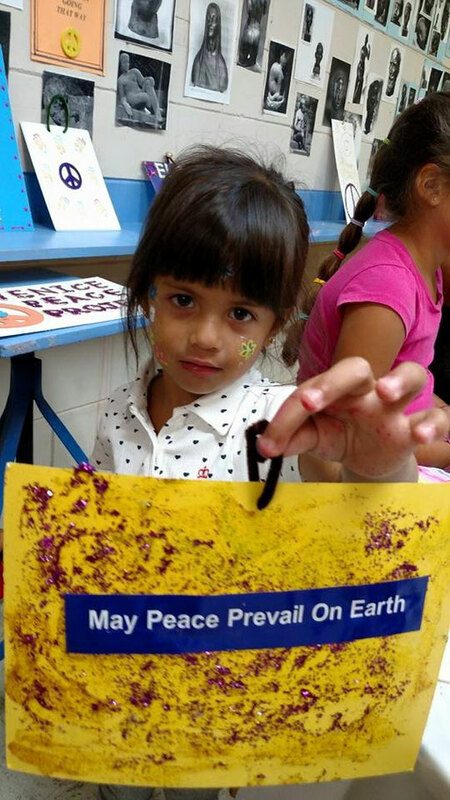 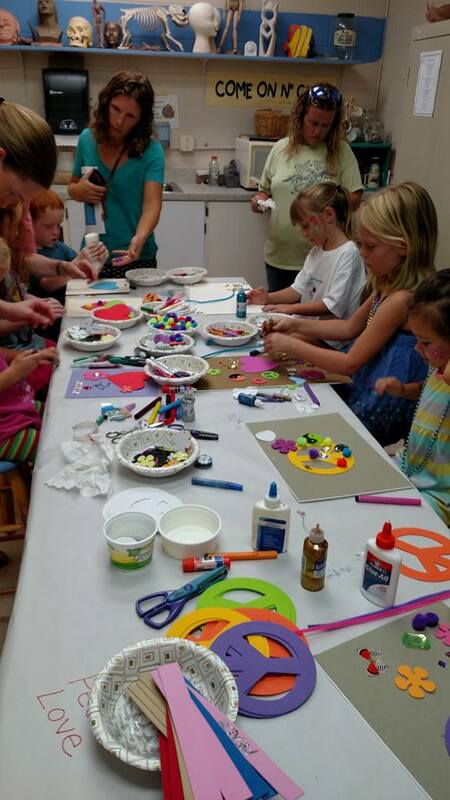 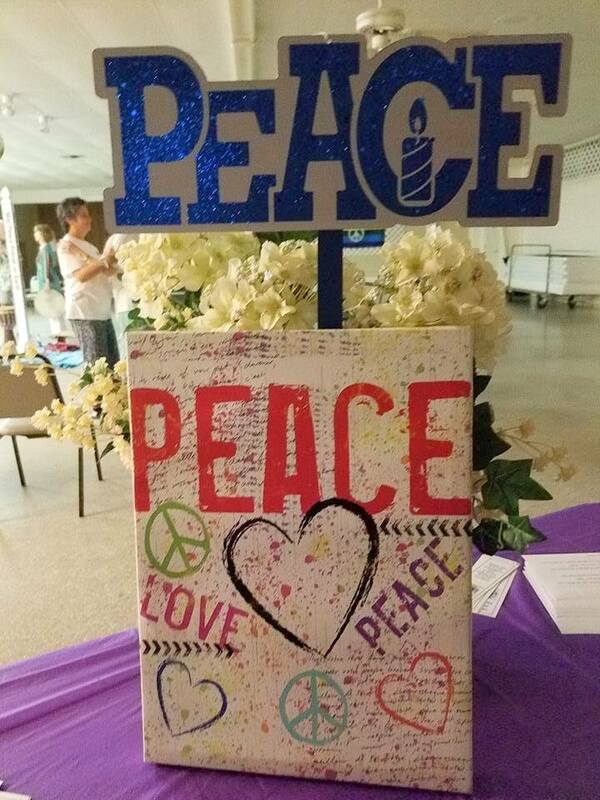 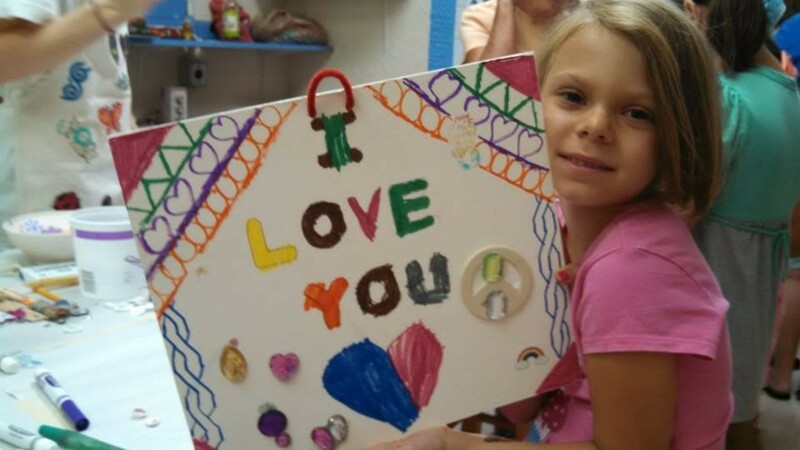 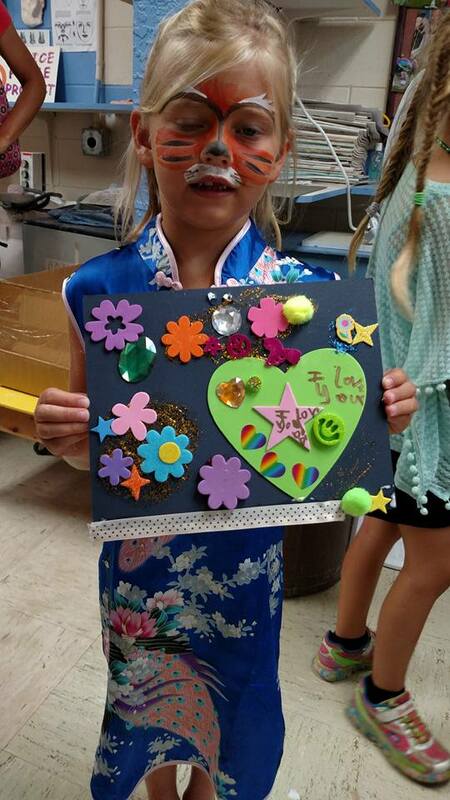 Venice Peace Project had a Children's Peace Art room at the Family Fun Day on July 26, 2014. 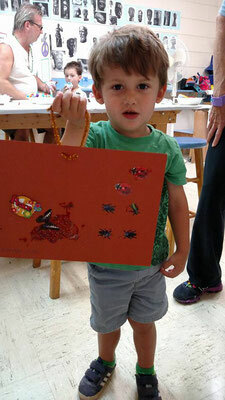 Venice Art Center does much good for our community and we are honored to have been part of their Family Fun Day!